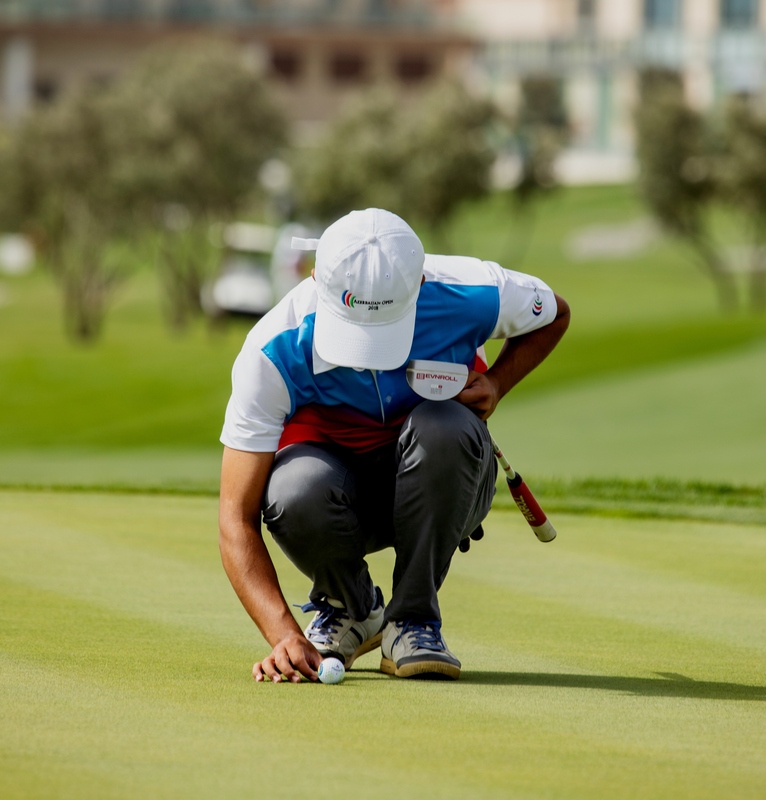 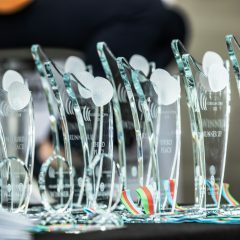 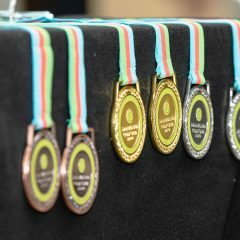 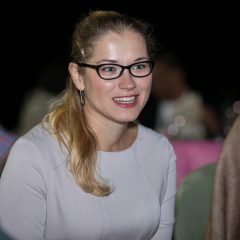 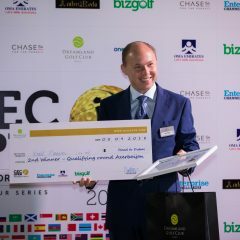 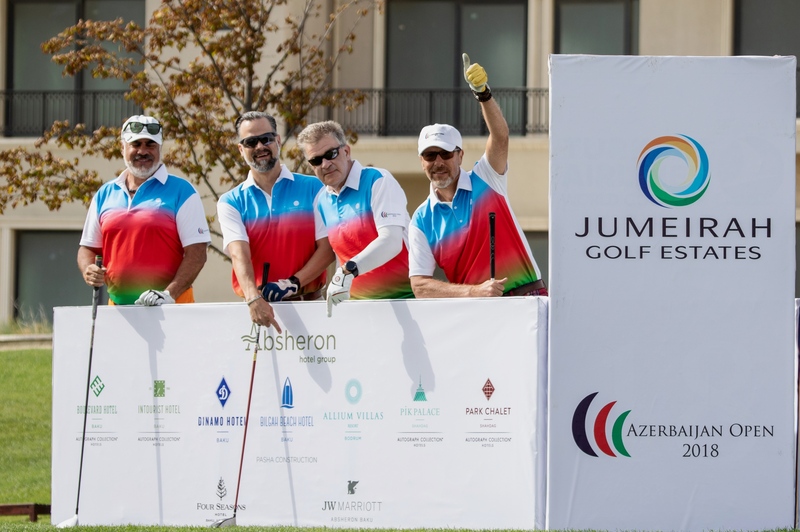 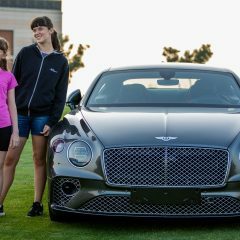 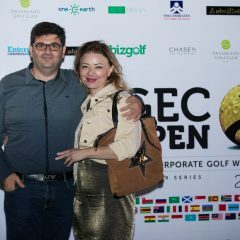 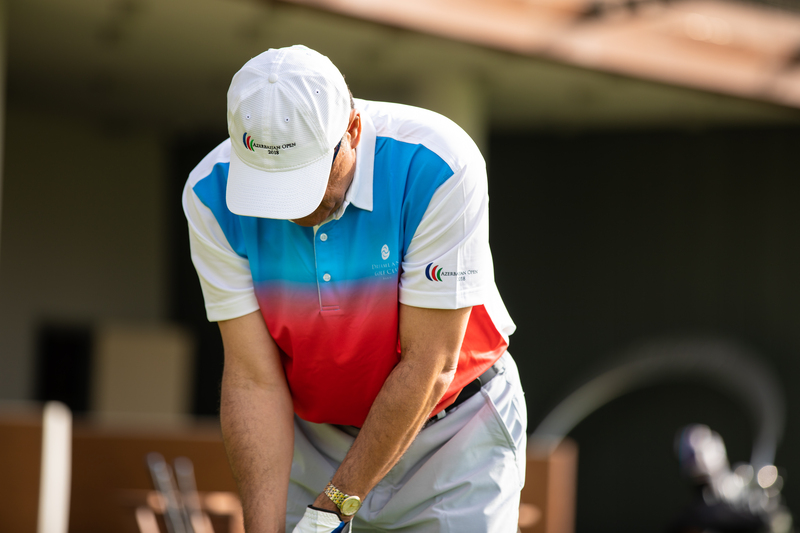 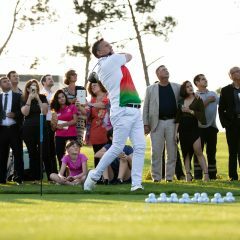 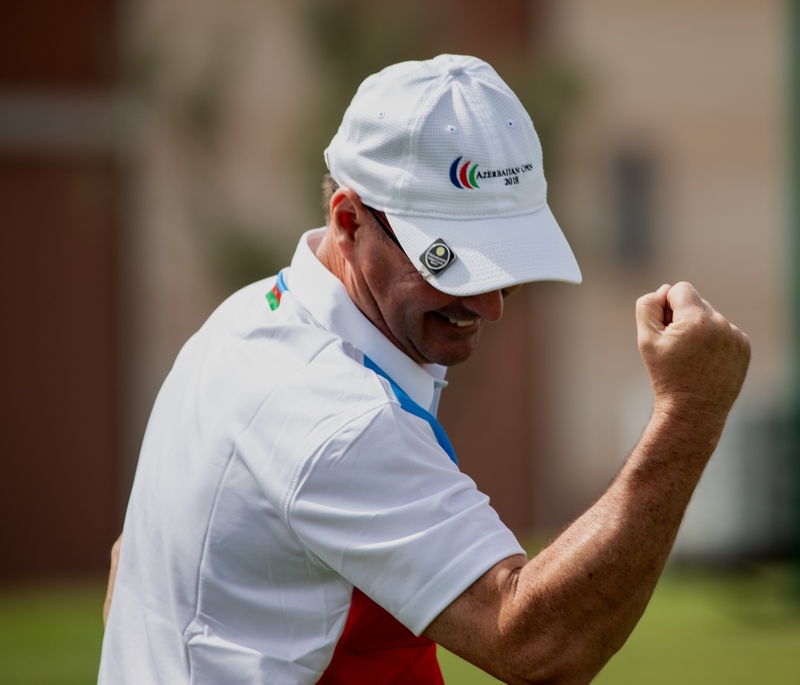 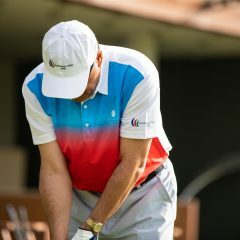 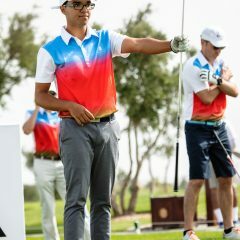 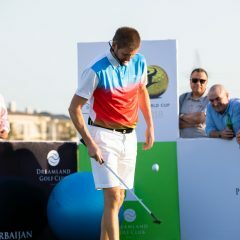 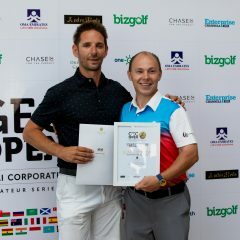 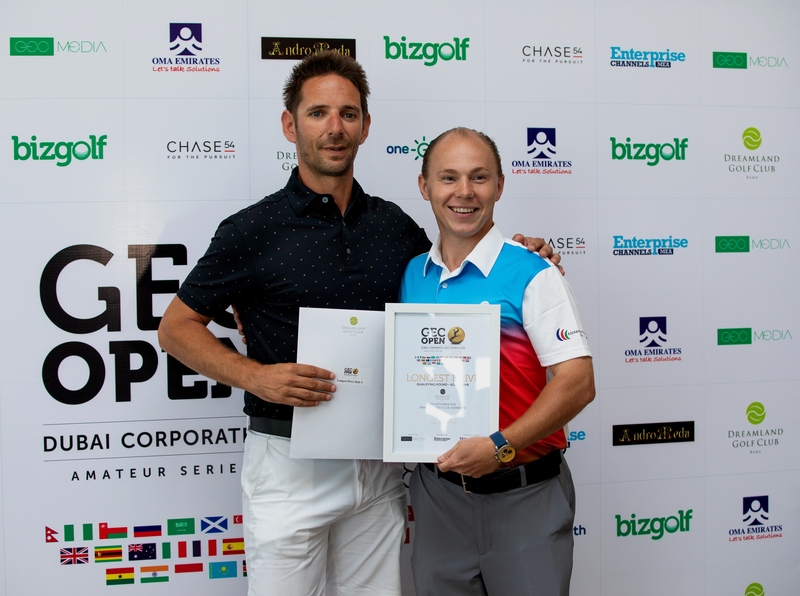 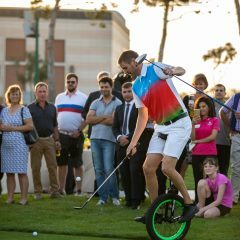 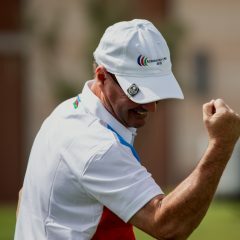 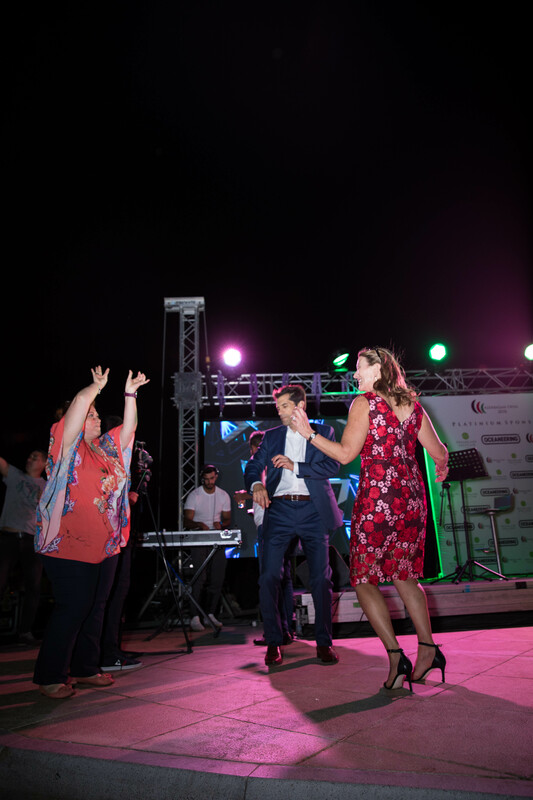 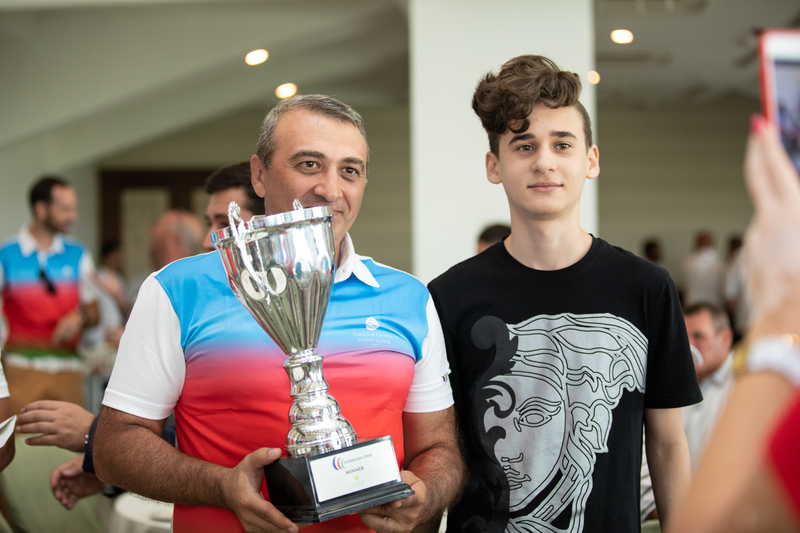 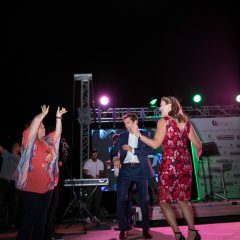 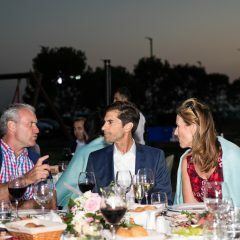 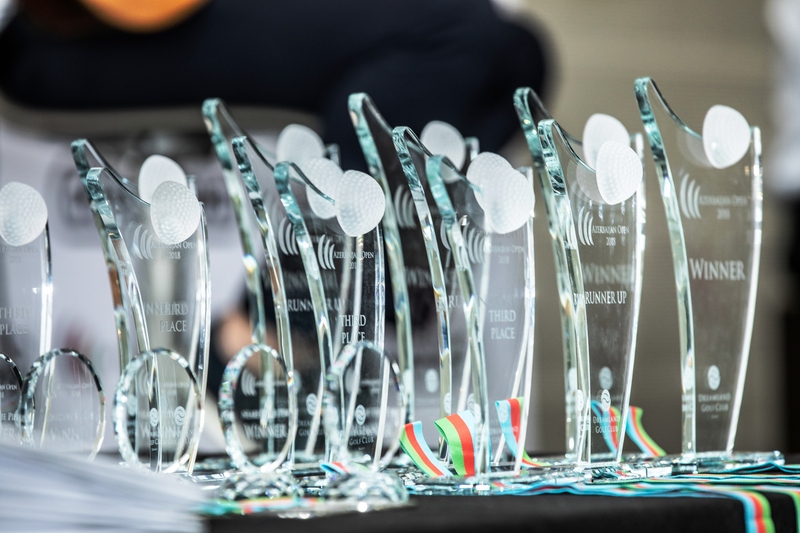 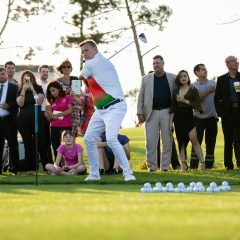 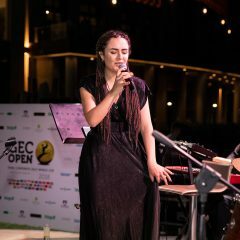 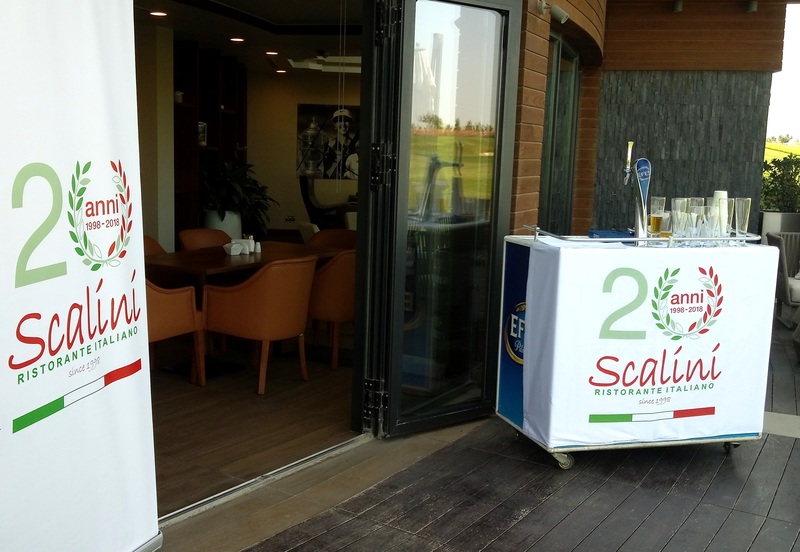 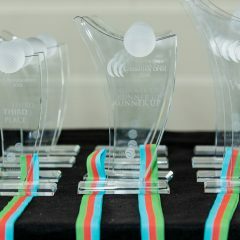 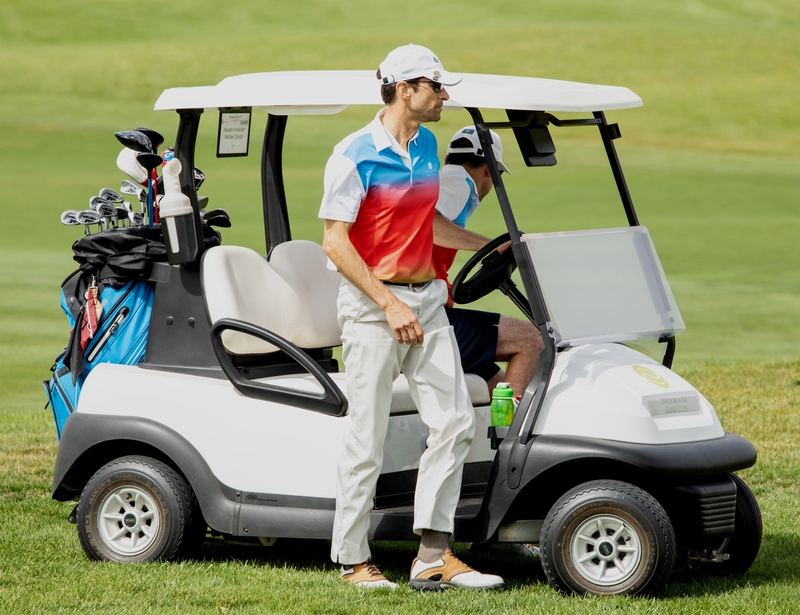 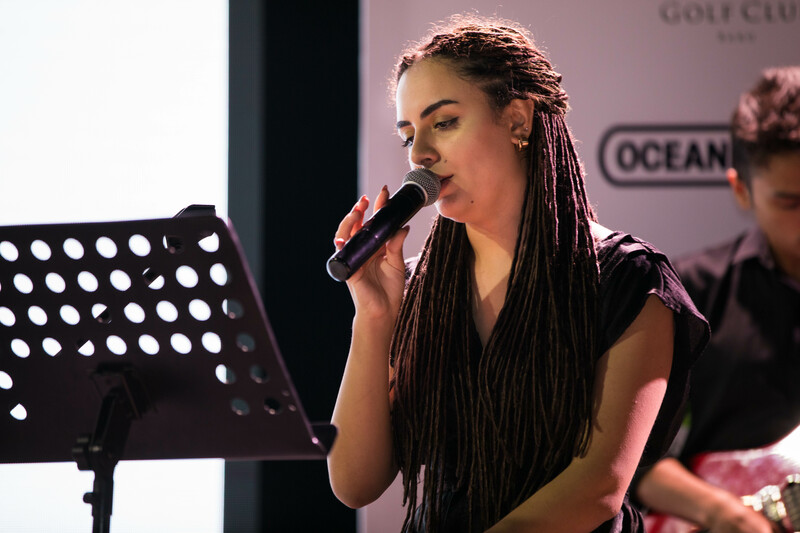 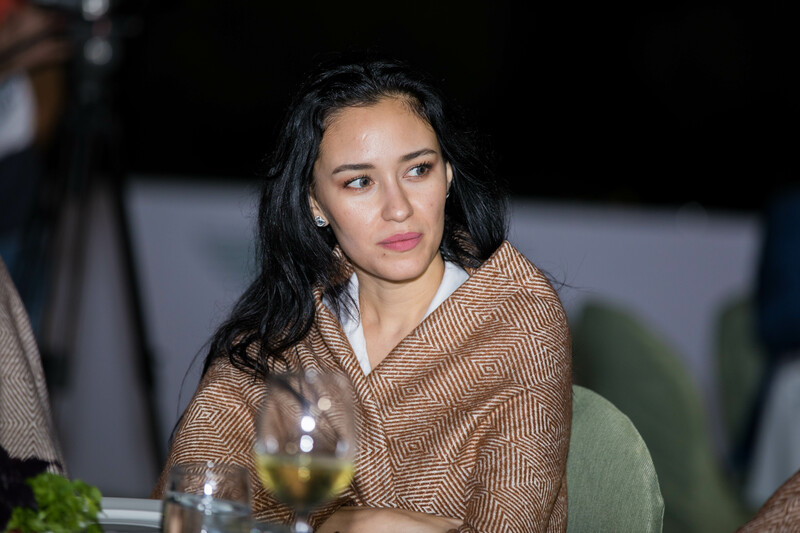 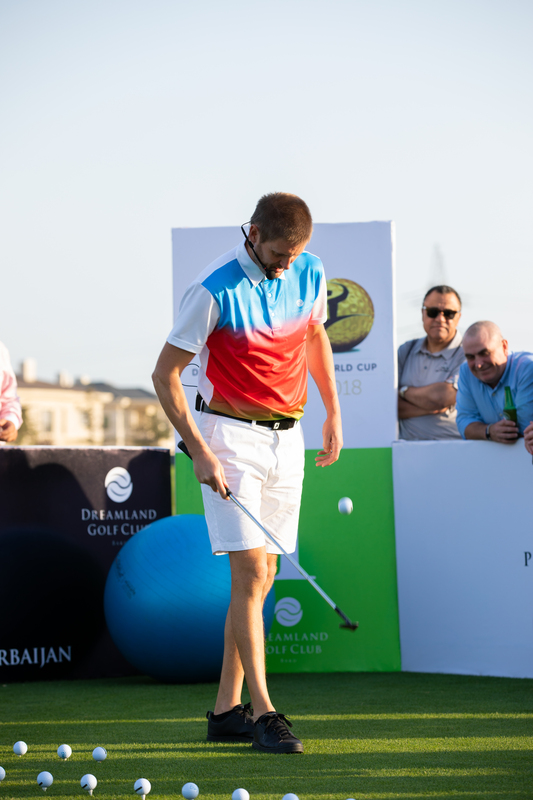 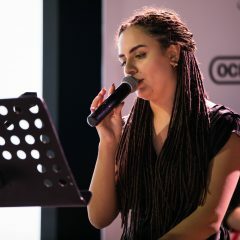 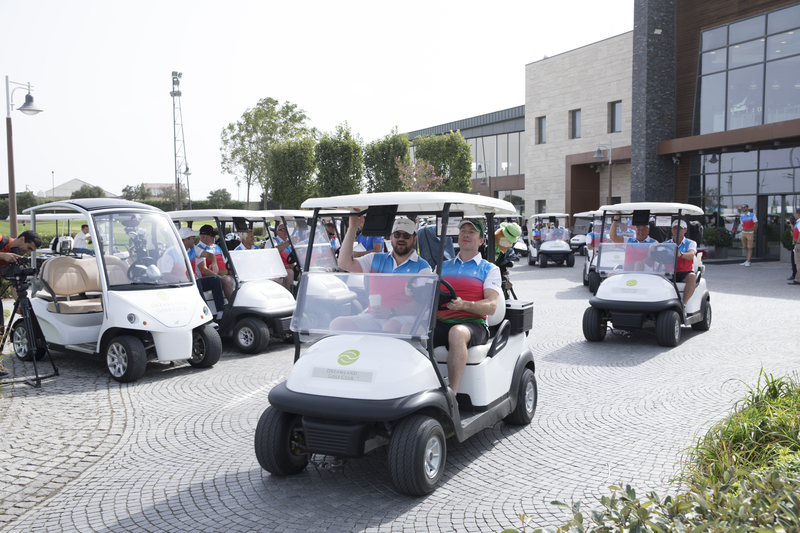 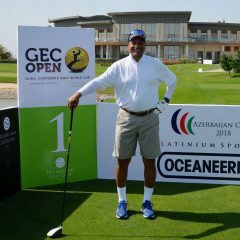 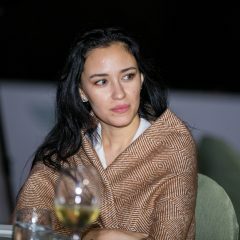 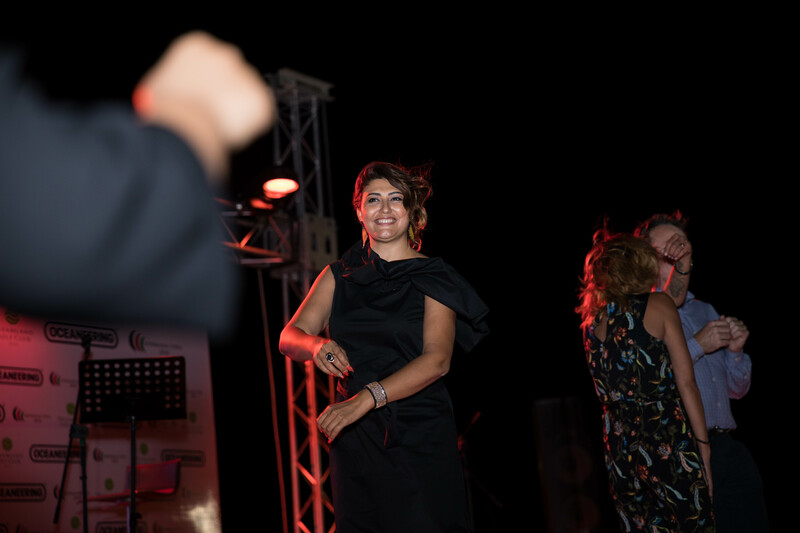 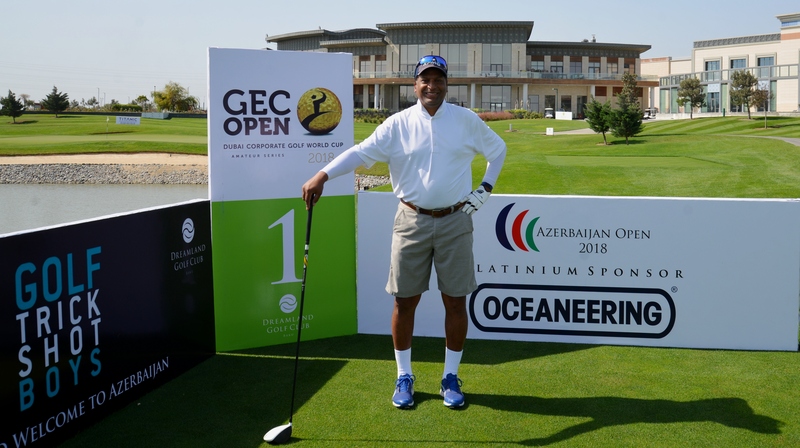 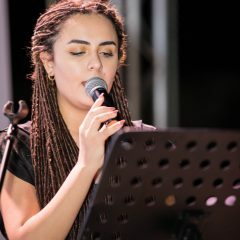 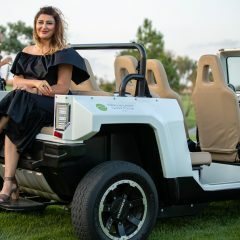 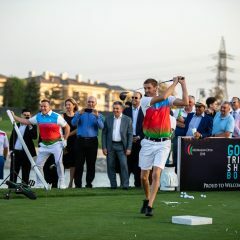 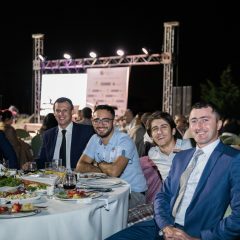 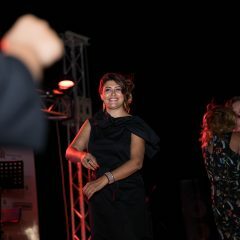 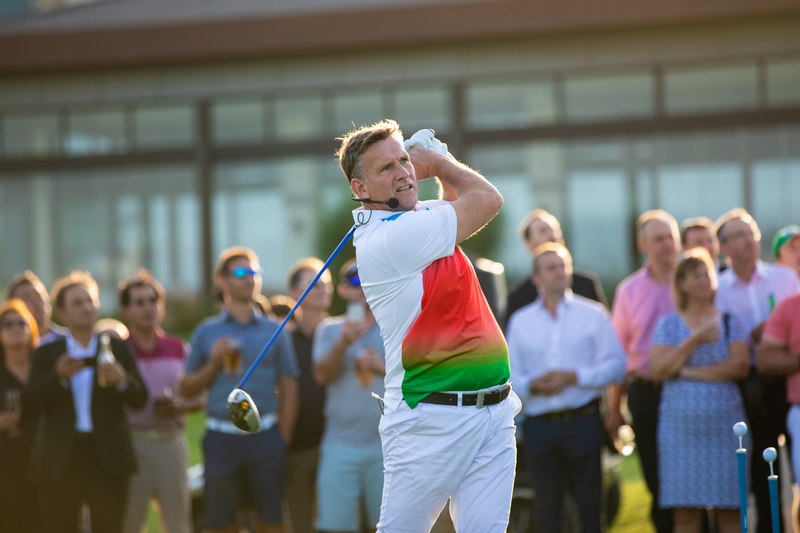 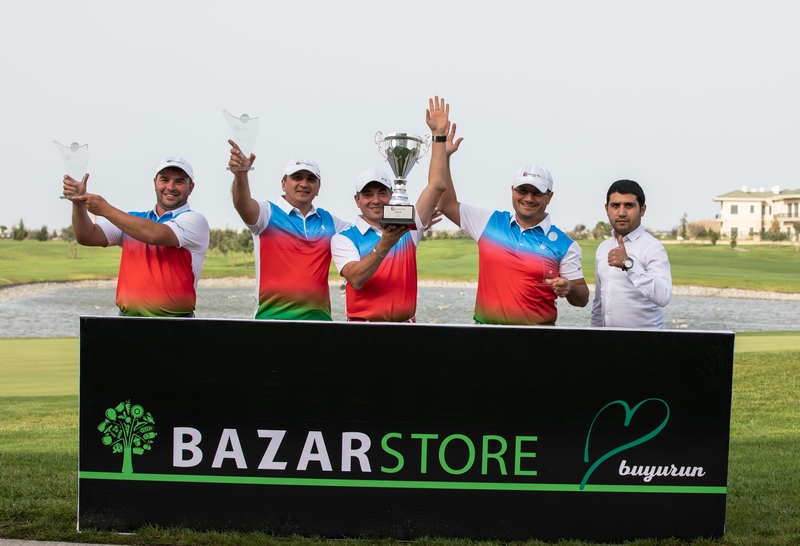 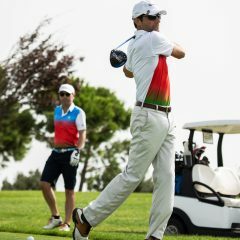 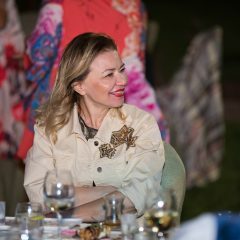 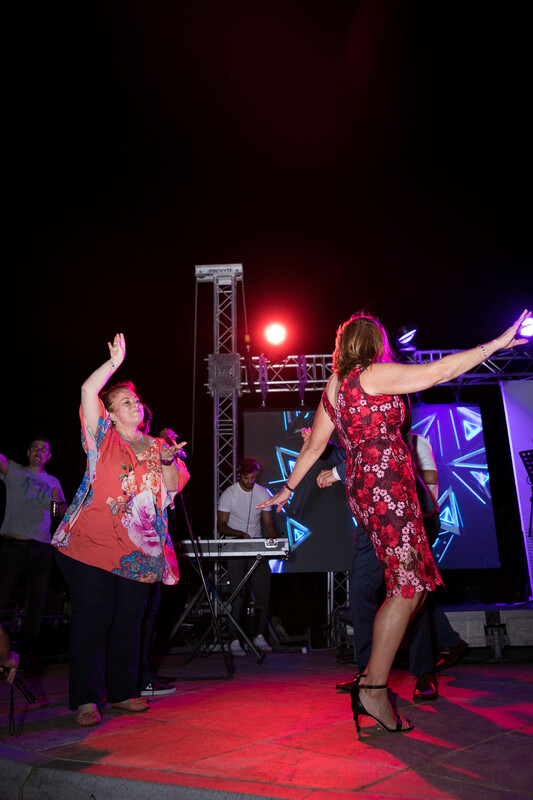 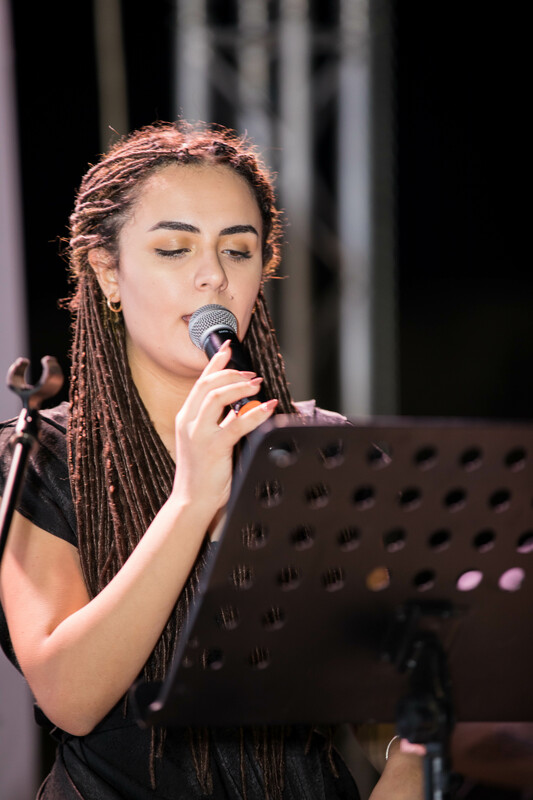 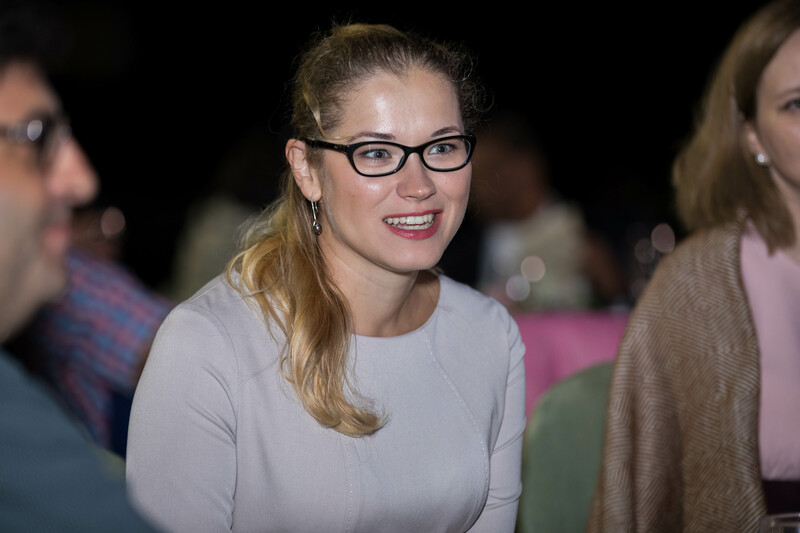 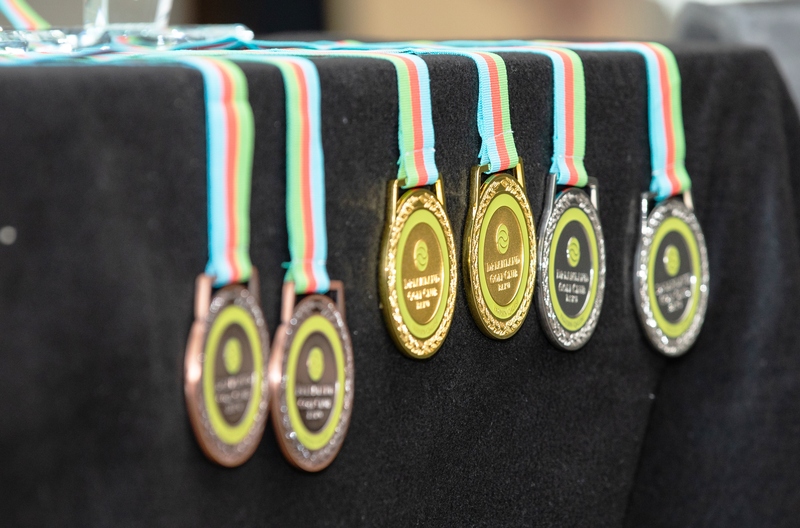 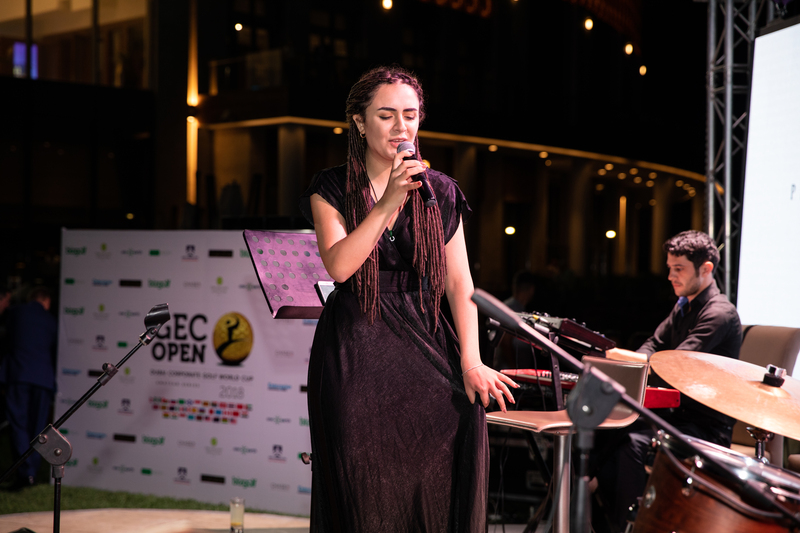 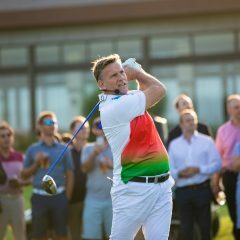 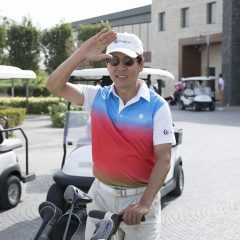 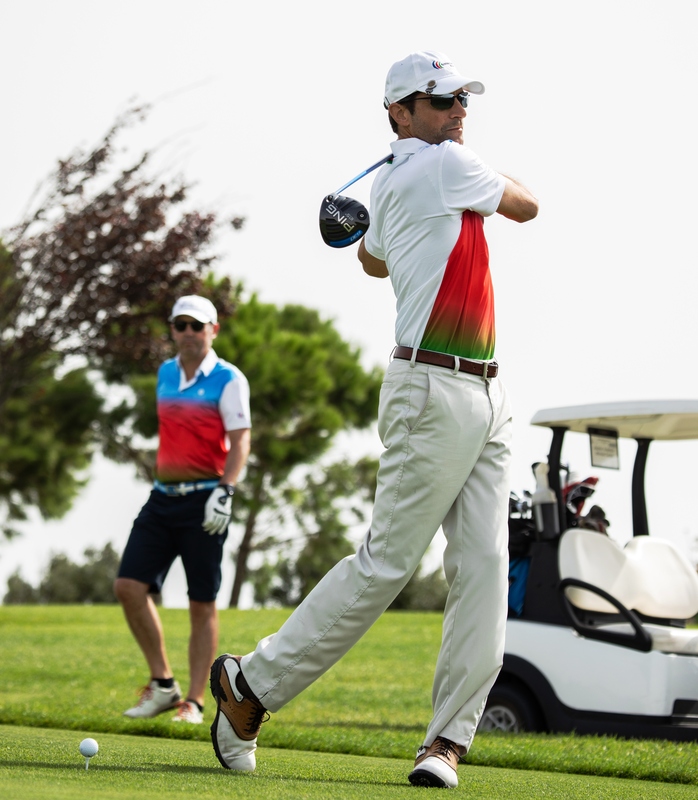 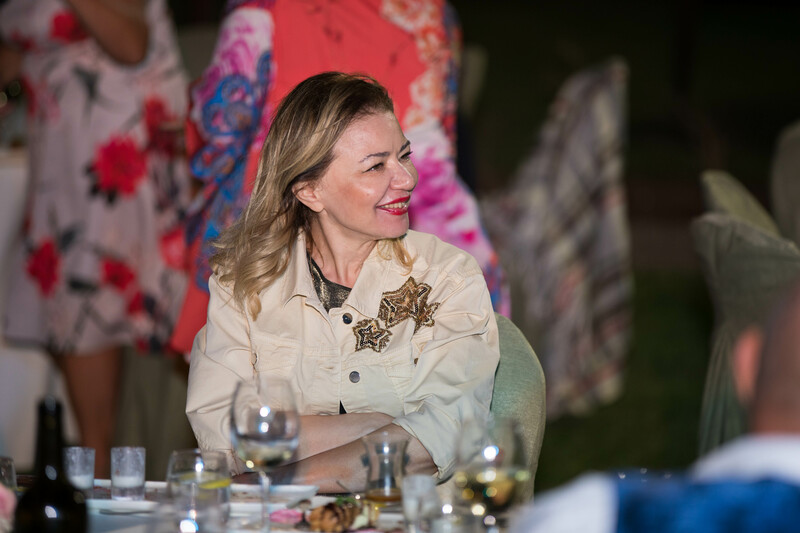 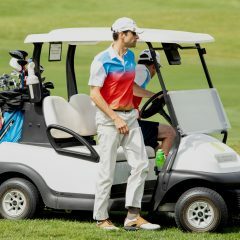 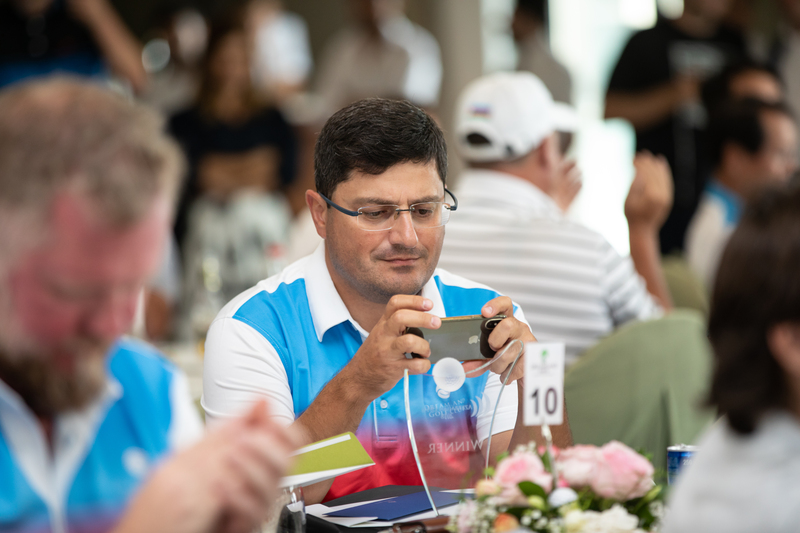 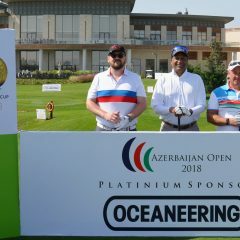 The first day of the 2018 Azerbaijan Open was held in conjunction with the GEC – Global Enterprise Connect Open challenge. 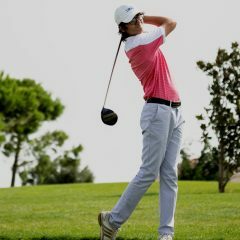 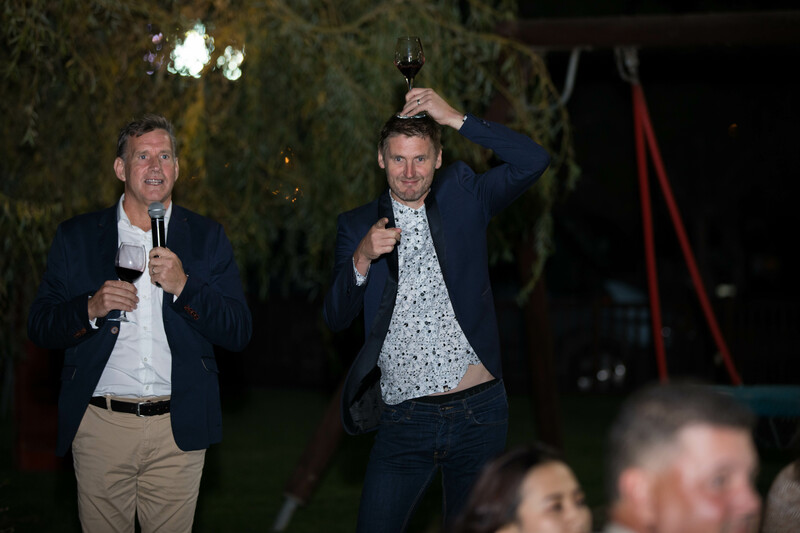 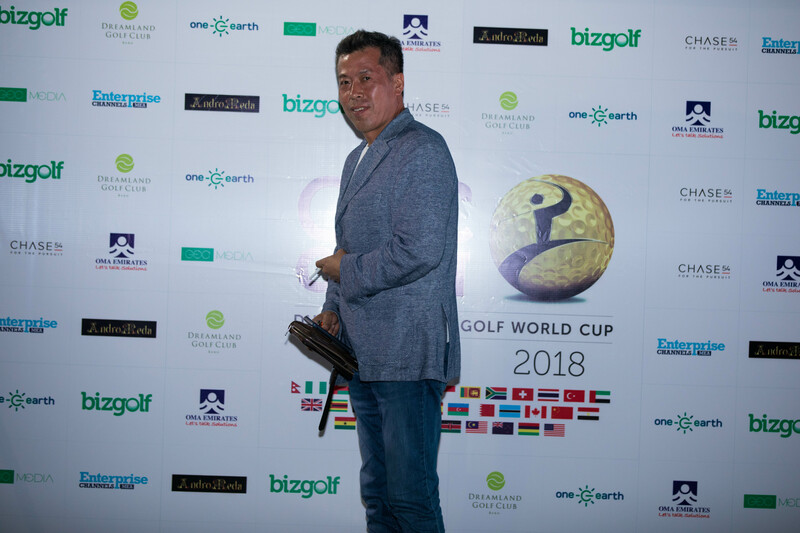 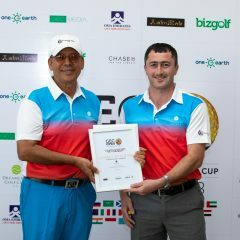 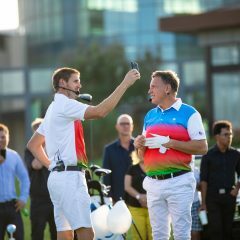 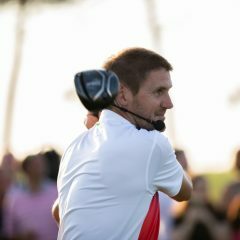 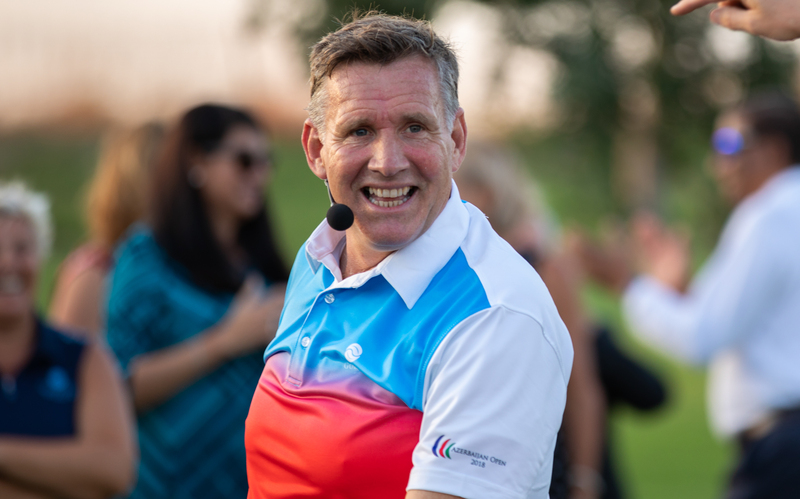 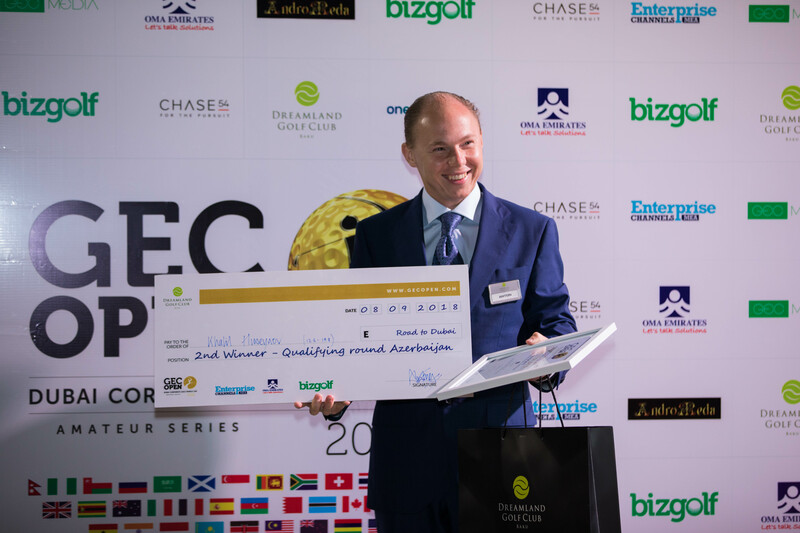 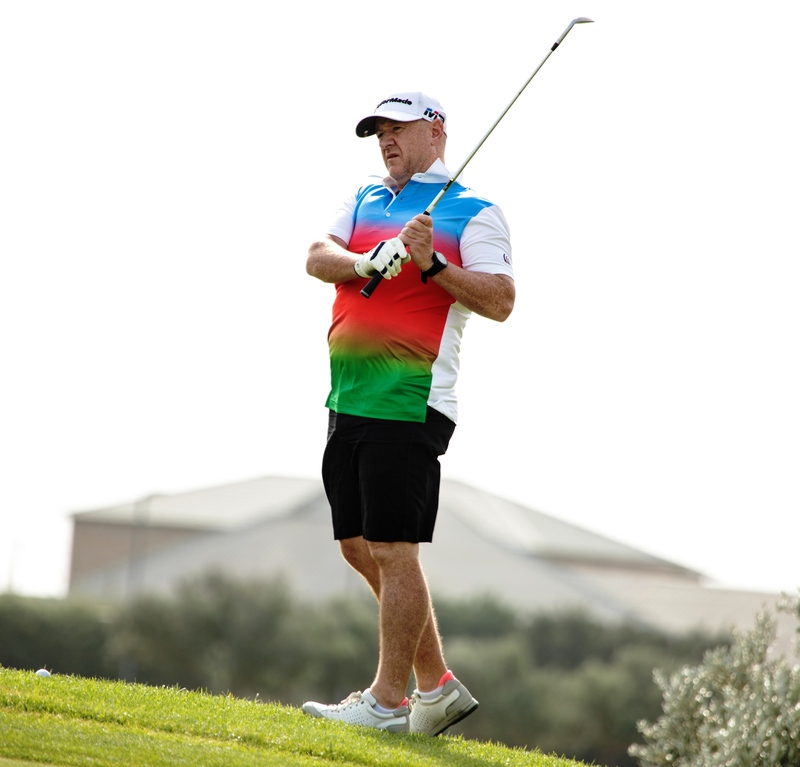 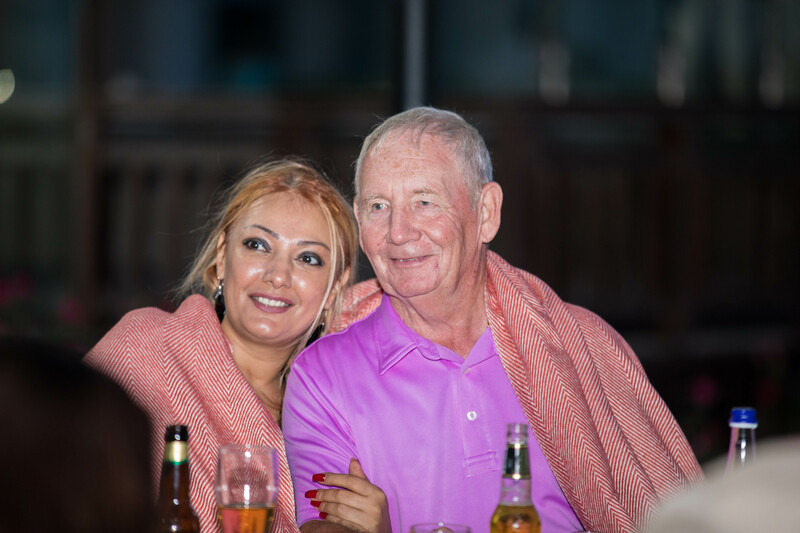 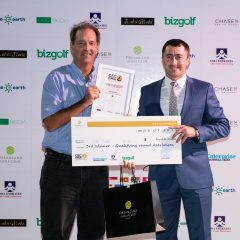 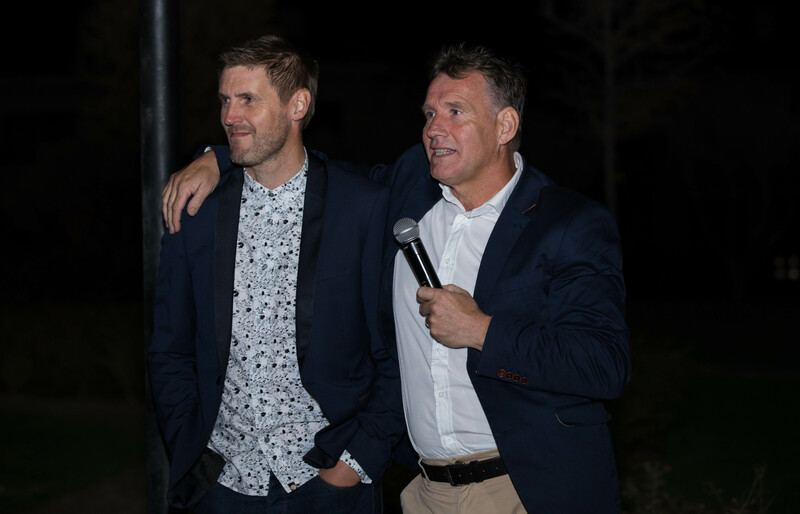 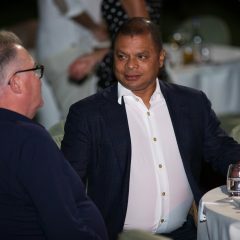 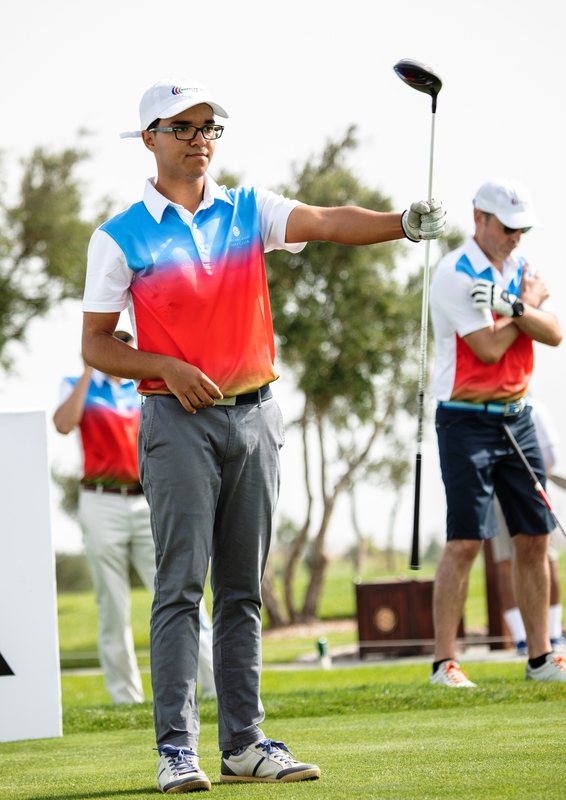 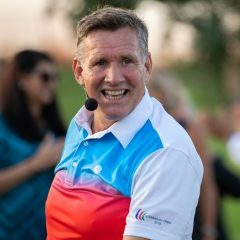 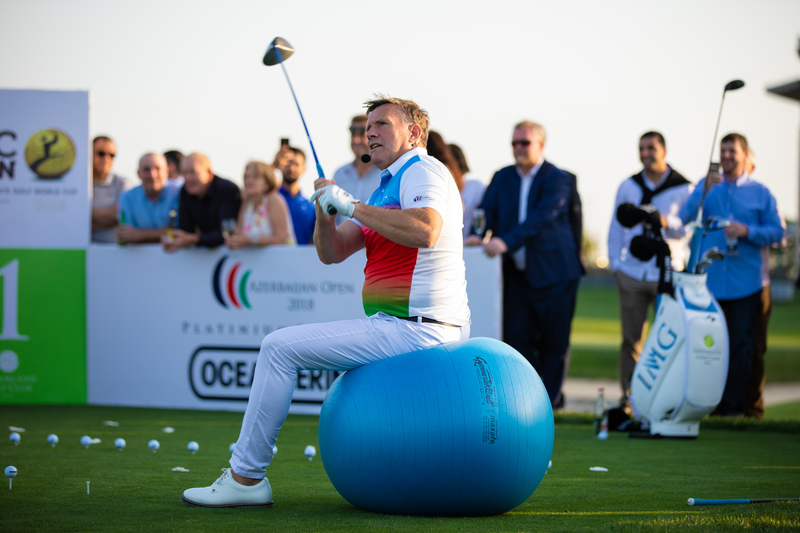 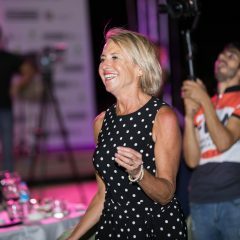 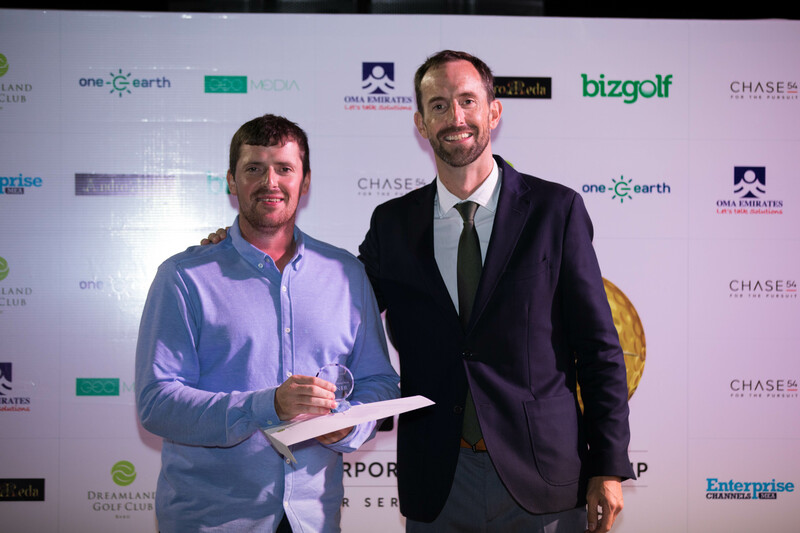 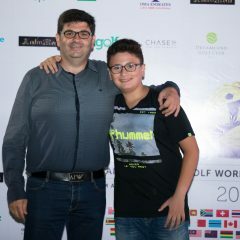 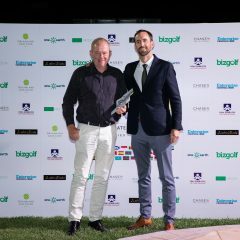 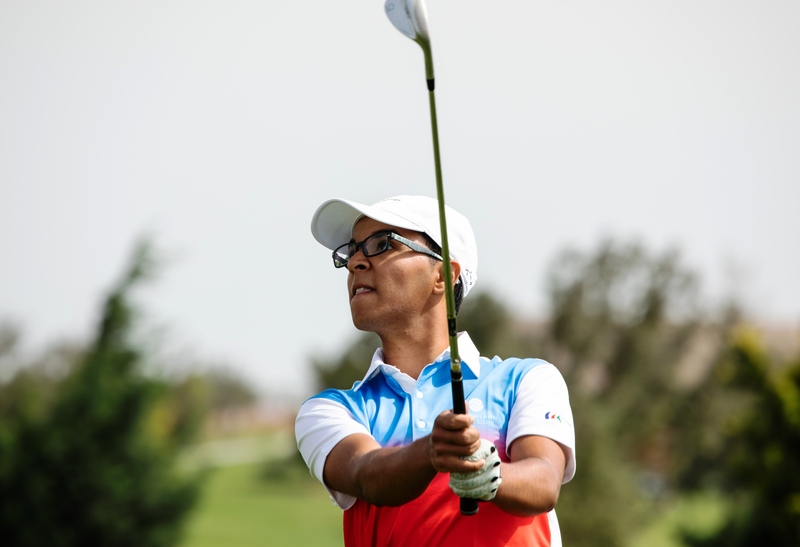 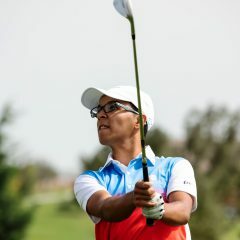 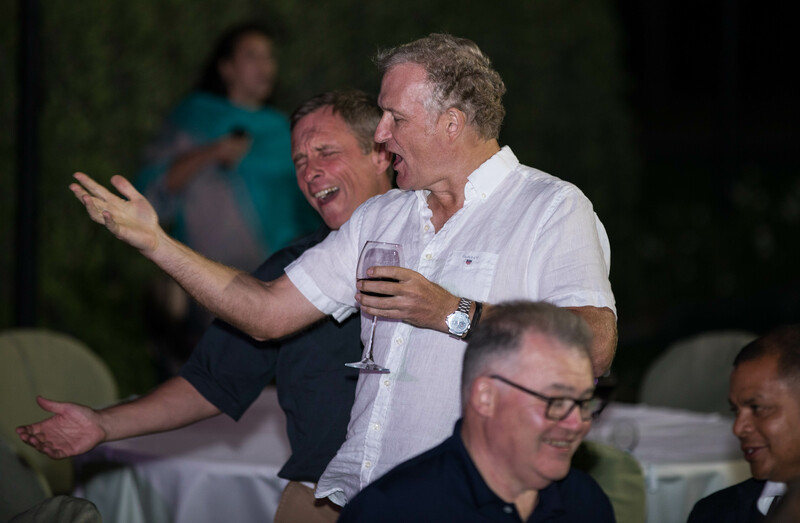 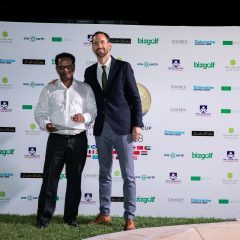 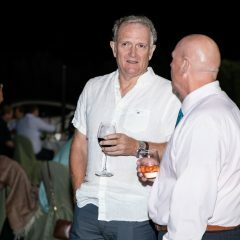 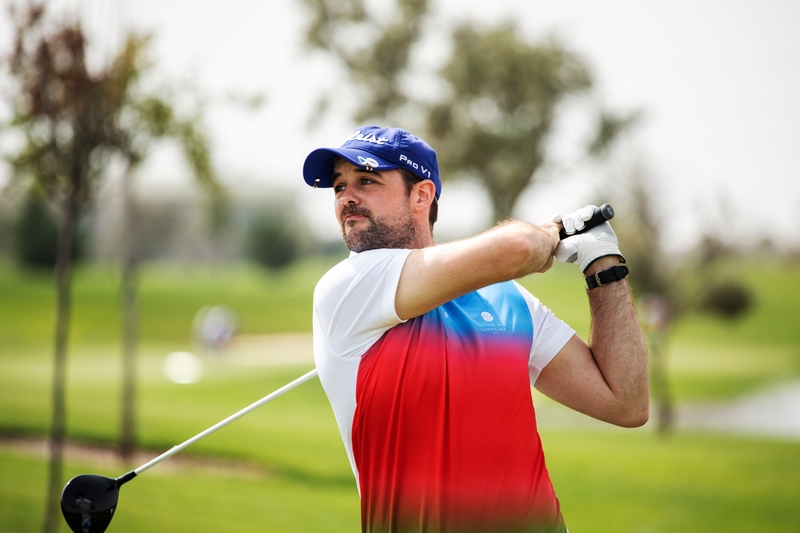 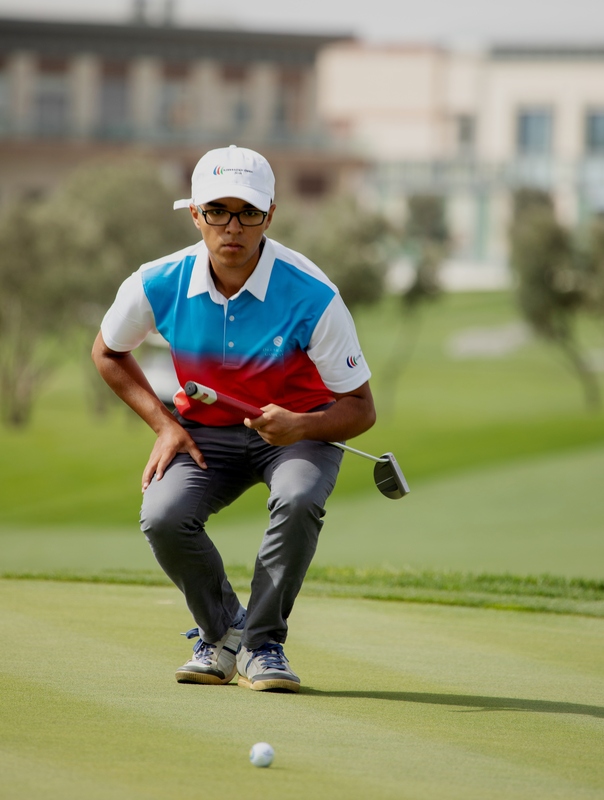 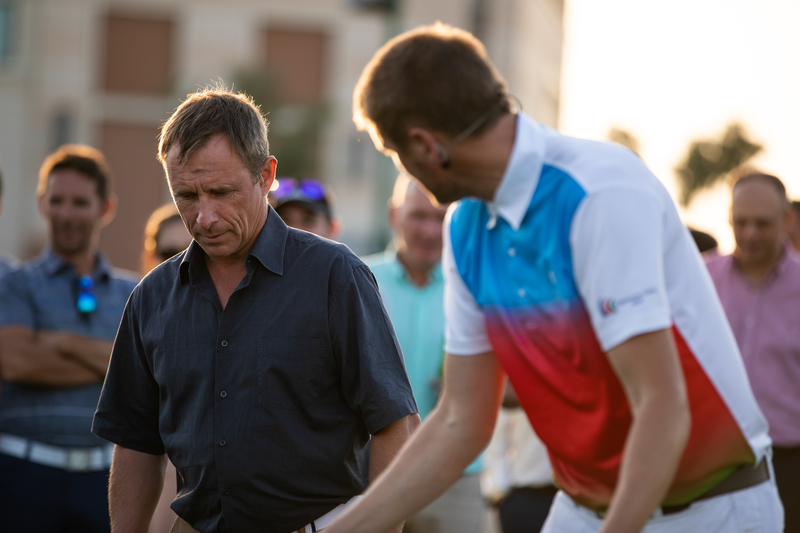 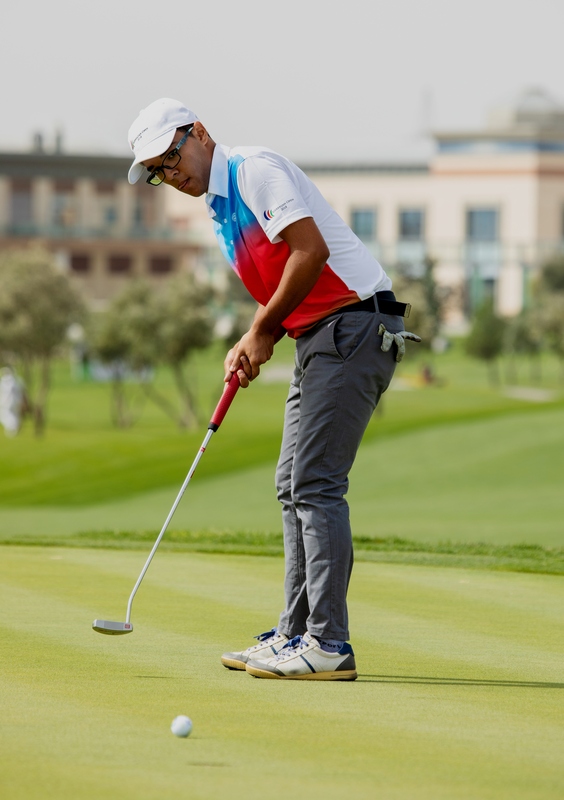 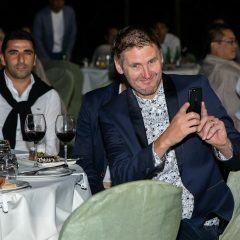 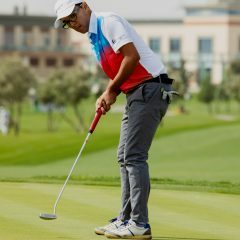 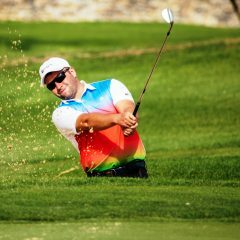 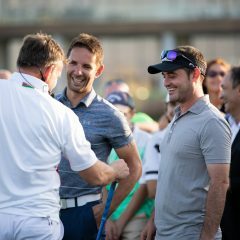 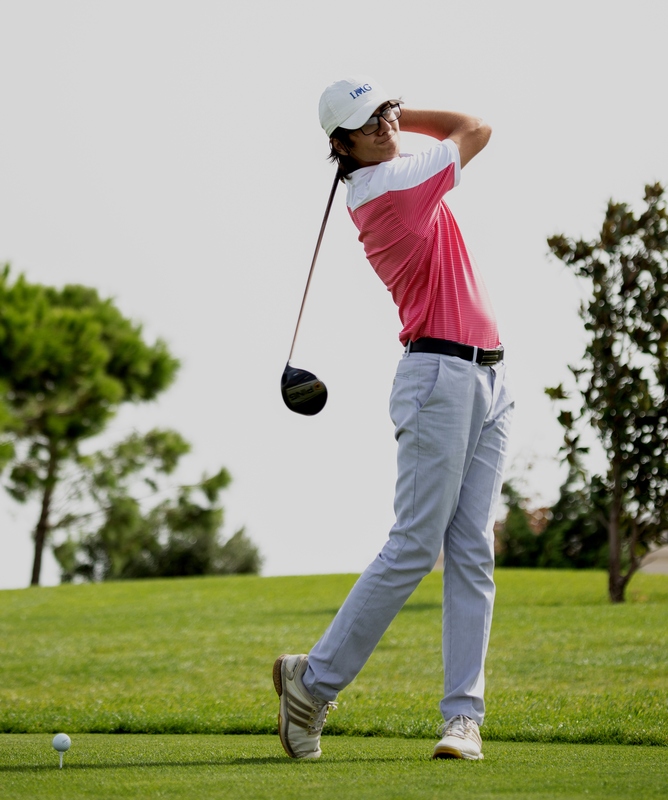 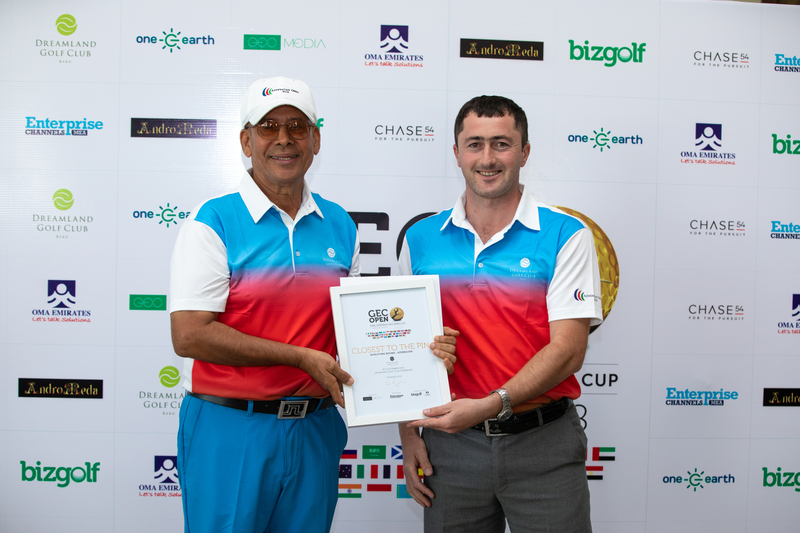 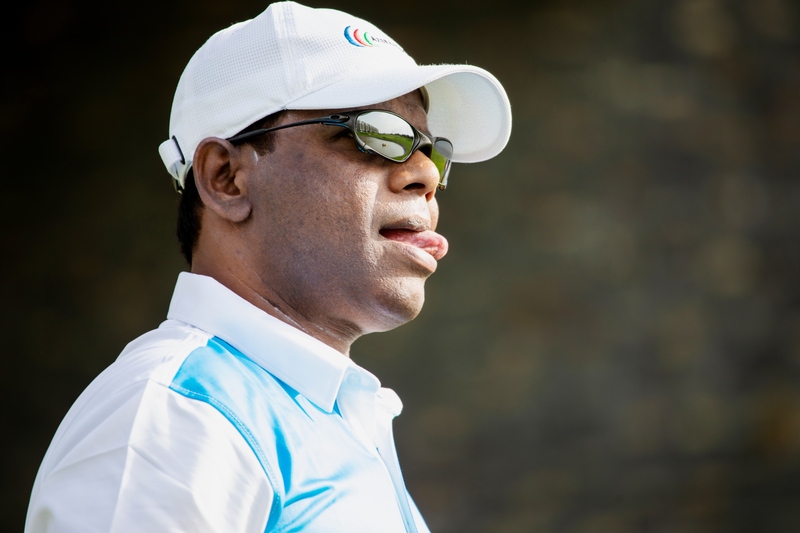 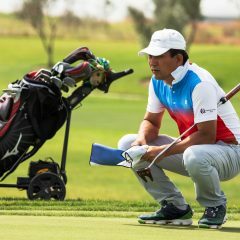 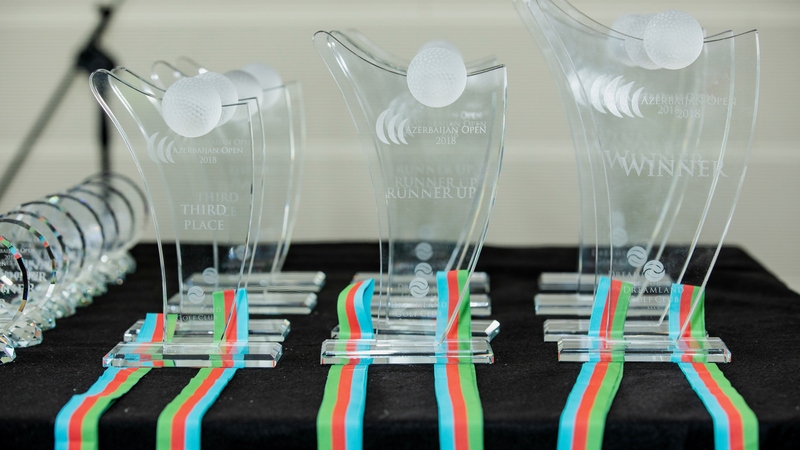 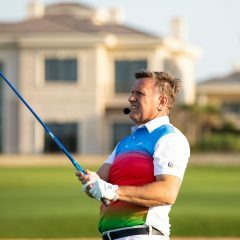 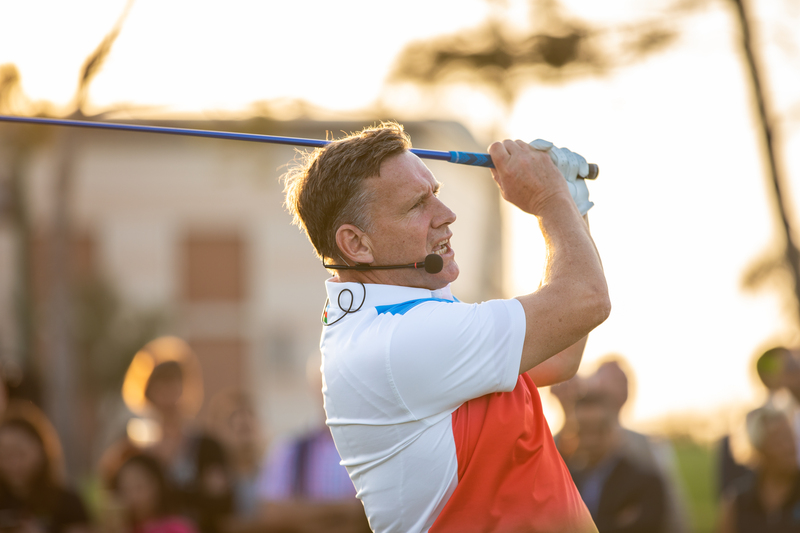 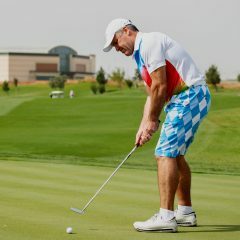 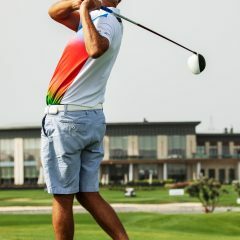 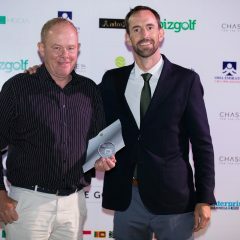 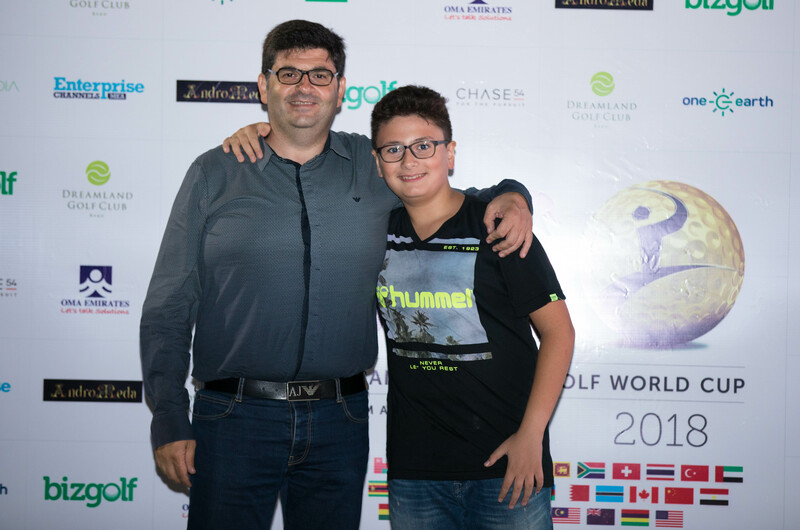 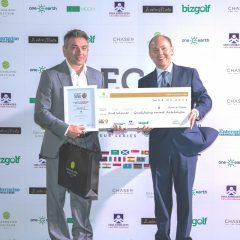 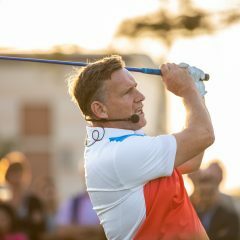 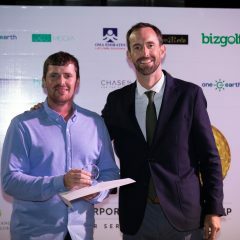 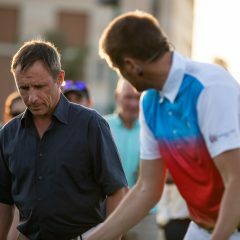 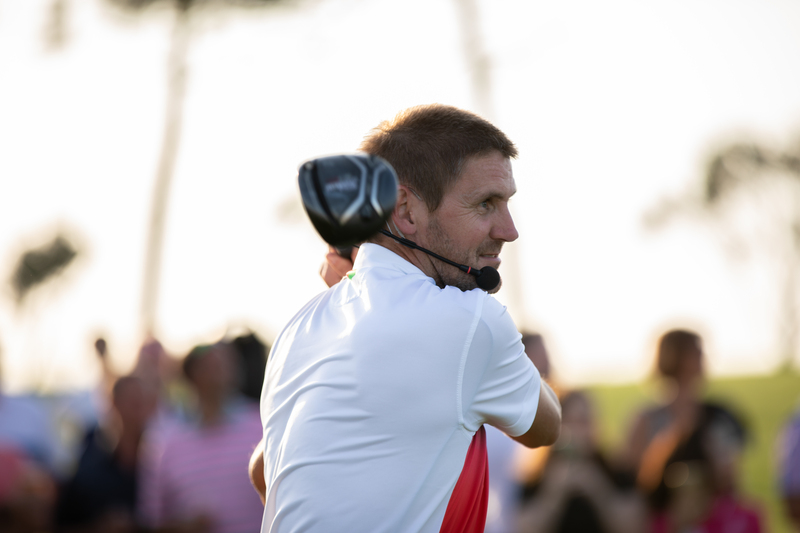 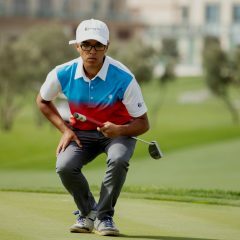 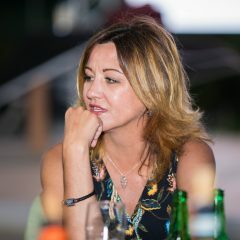 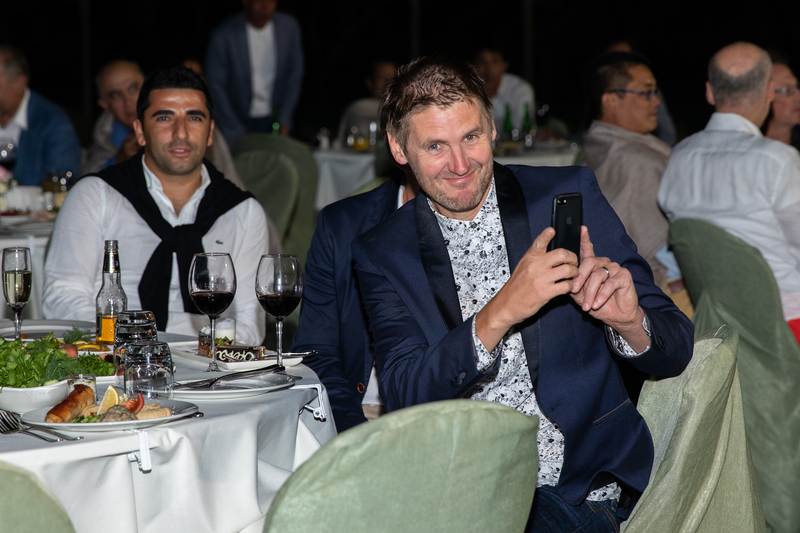 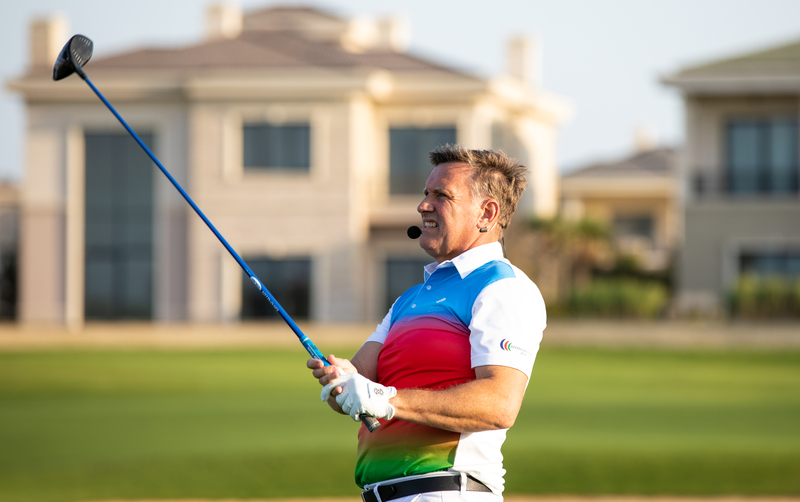 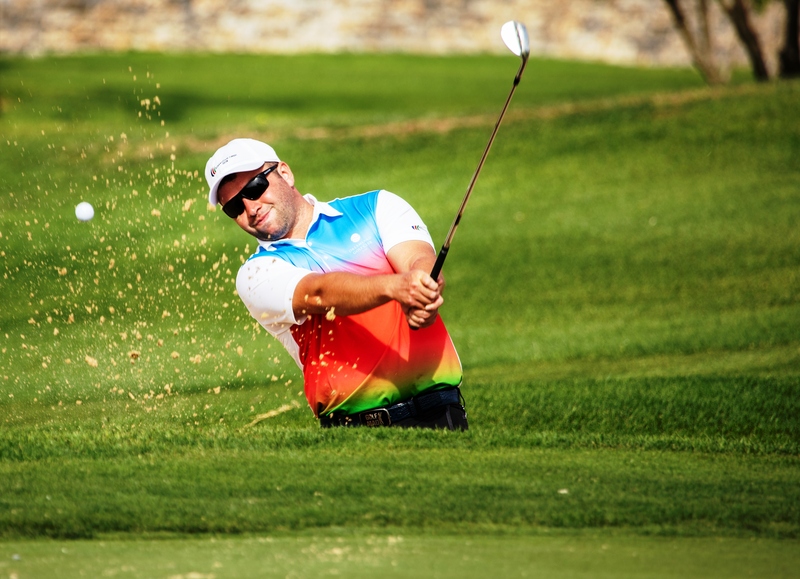 A global event played in 34 countries with the leading three Stableford scores in each division qualifying for an all expensed trip to the world final at Emirates Golf Club in Dubai this December. 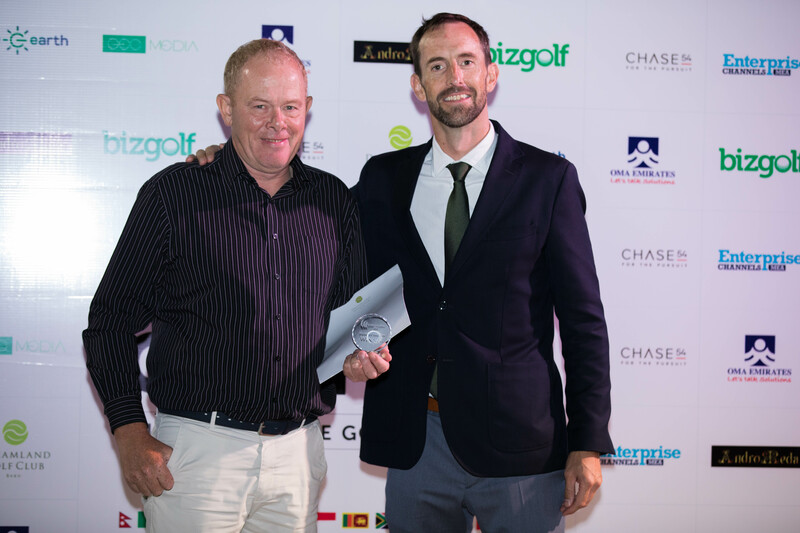 After some fantastic on course play we congratulate the following category champions, Division A Handicap index 0 – 12.6 Winner Bruce Munroe Ferguson with 39 points. 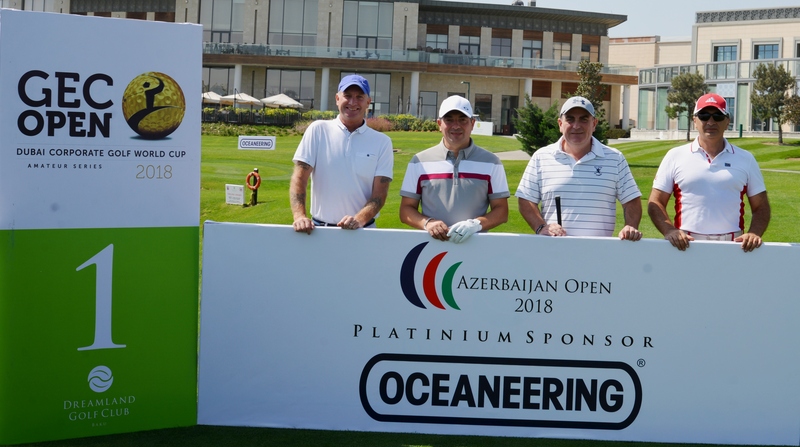 Winning Division B, Handicap index 12.6 – 19.8 was Khalil Huseynov with a superb 41 points, followed by Oceaneering team member Greg Unumb carding 38 points to claim the final Division C title in category 19.9 – 28.0.Good Luck to all at the World Final! 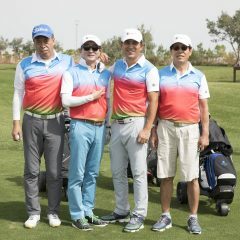 With two scores to count from the team on each hole, the final day format encourages aggressive play allowing players to use their shots wisely. 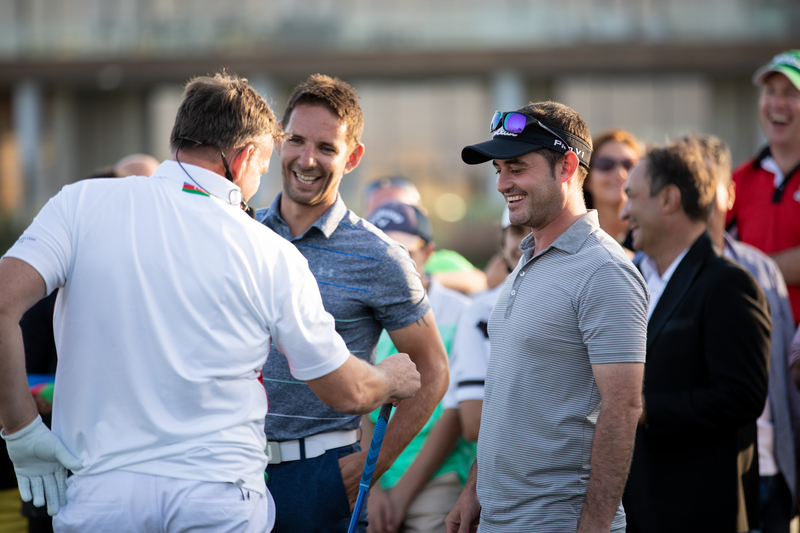 A superb personal performance from Chris Bernardi (46pts) ensured the team had a massive 100pts on the final day, taking the Day’s winners title. 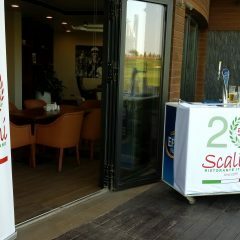 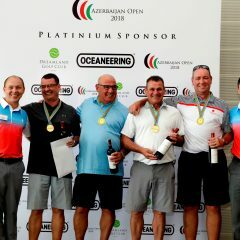 Winners Day Two – (BOS Shelf 2) Mitch Hughes, Ian Allan, William Walls, Chris Bernardi – 100pts Prizes, Gold Medals, 18 Hole Team Voucher from Jumeriah Golf Estates Dubai, 18 Hole Team Voucher from Trump Dubai, SPA Vouchers from Four Season Baku, 100 AZN gift certificate from Bazar Store and gift set from Chabiant wines of Baku. 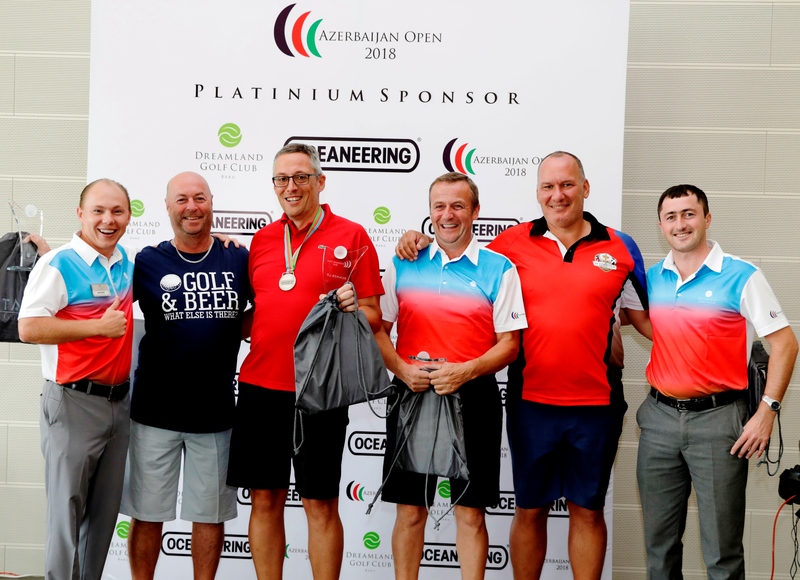 Runners Up Day Two – (Dreamland Golf Club 7) Nick Hore, Bryan Thomas, Steven Parkes, Callum Stewart – 91pts Prizes, Silver Medals, 18 Hole Team Voucher at Al Zorah GC Ajman, 18 Hole at The ELS club Dubai, Zombo Lunch Voucher at JW Marriot Baku, 75 AZN gift certificate from Bazar Store and gift set from Chabiant wines of Baku. 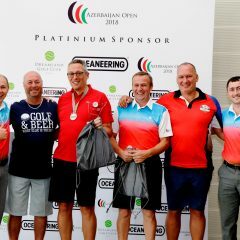 Third Place Day Two – (Dreamland Golf Club 3) David Lawson, John Quinn, Gavin Mackenzie, Alan Ferguson – 89pts Prizes, Bronze Medals Luxury Golf Belts from UnoGolf, 18 Hole Team Voucher from Yas Links Abu Dhabi and Golf lessons with PGA Professional Alex Day. 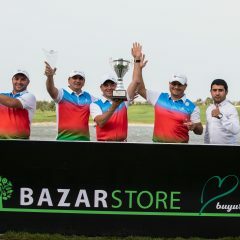 We would like to take this opportunity to congratulate you on a remarkable victory. 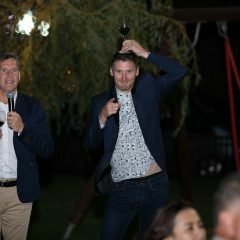 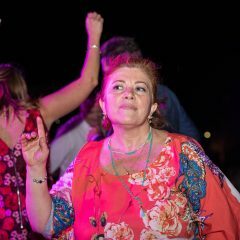 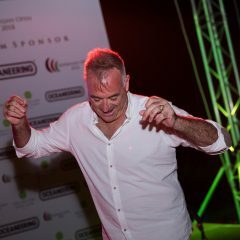 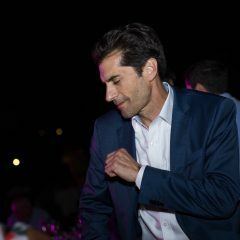 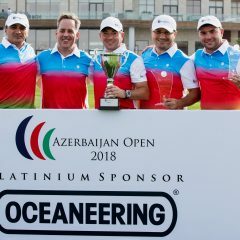 Can you sum up your feelings as 2018 Champions of Azerbaijan and your thoughts on the past two days? 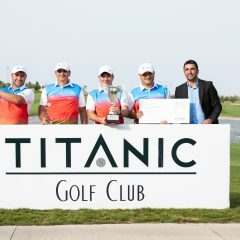 İltifat Agayev: “Well, firstly, without hesitation “Friendship won” Indeed, we won together, relying on support, advice from each other, we managed to win! 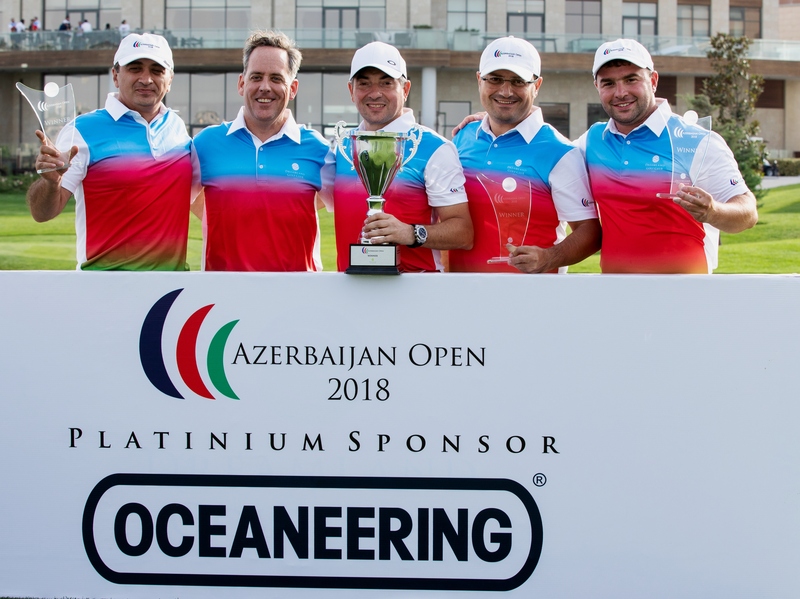 It was a great team battle and we are so happy to be 2018 Champions for Azerbaijan. 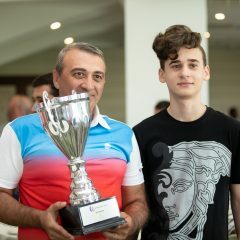 Elman Rzayev: “Victory is always pleasant, today was a very difficult day because there was a strong wind creating unpredictable situations on course… but we are glad that we succeeded! 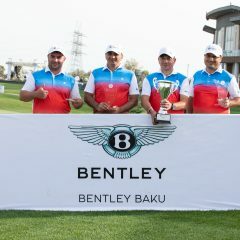 Being part of last year’s winning team it’s a great feeling to win for the second time. 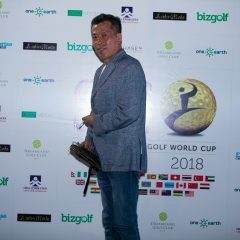 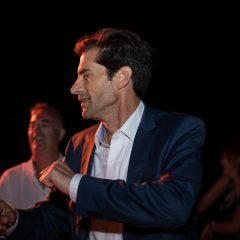 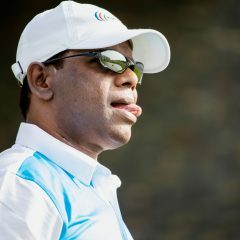 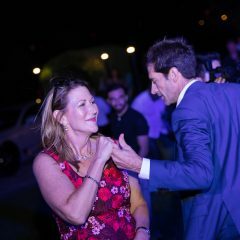 Of course, I would like to participate again in 2019 and defend the title once more”. 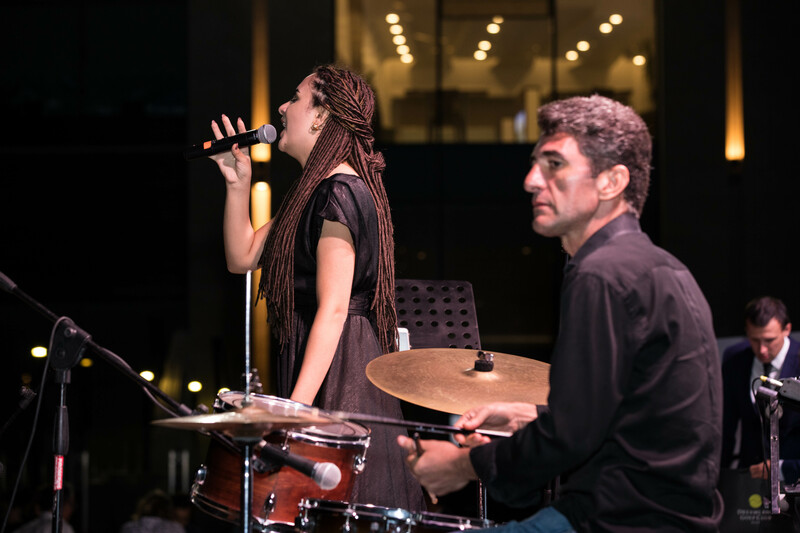 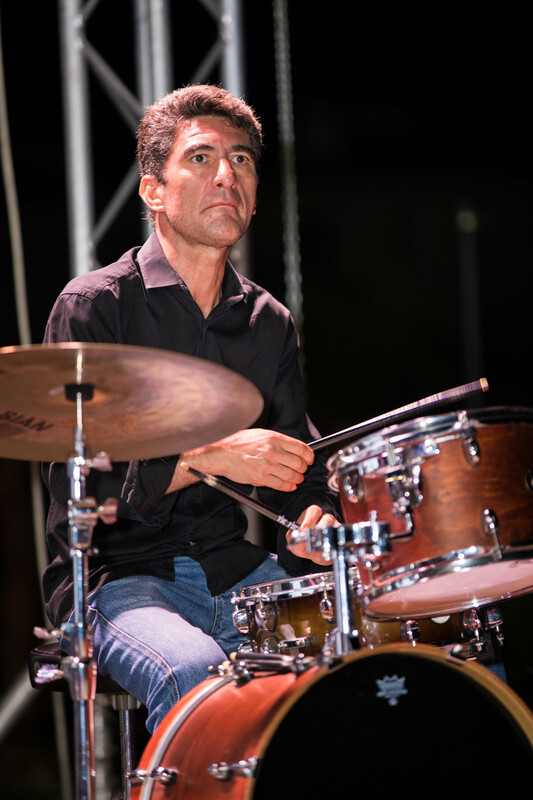 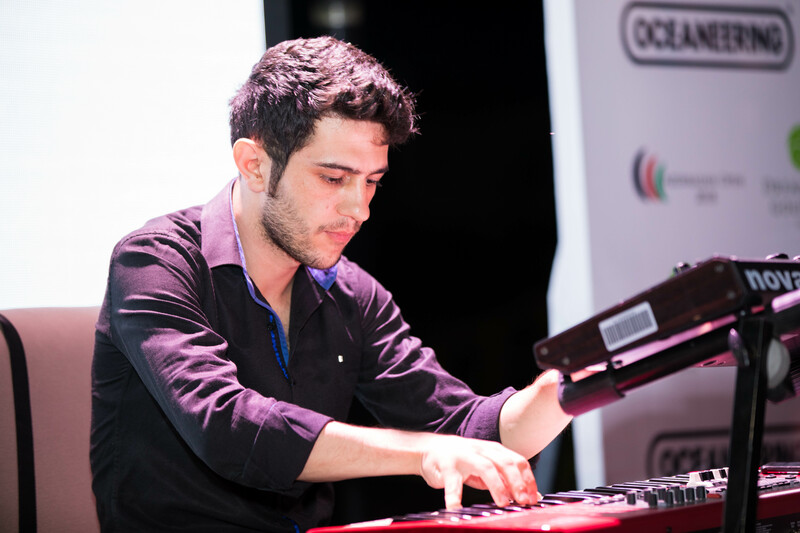 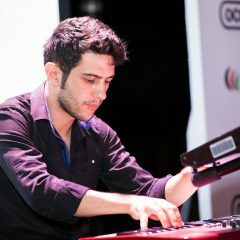 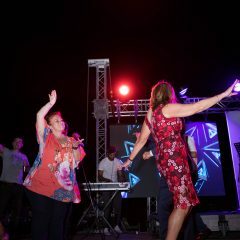 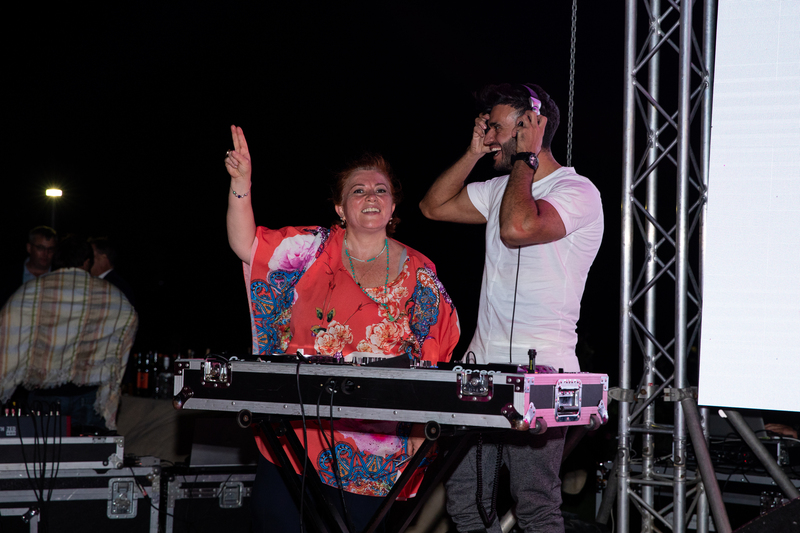 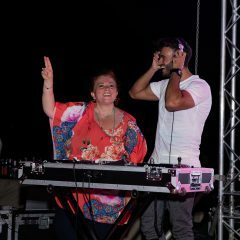 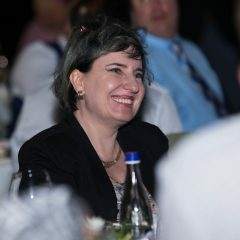 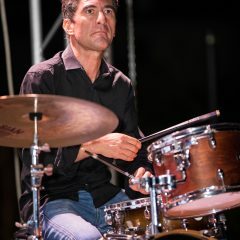 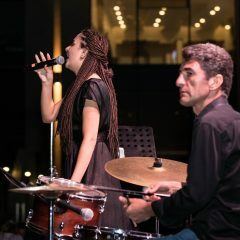 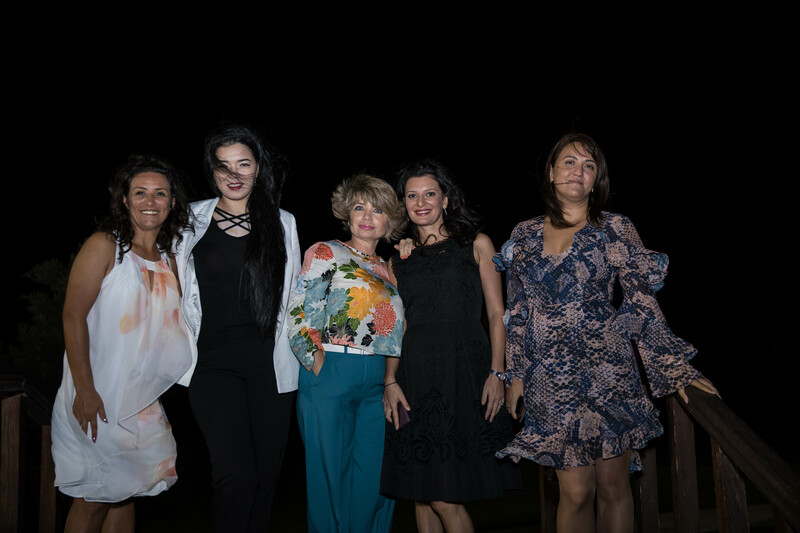 Tural Velizade: “It was a wonderful 2 days. 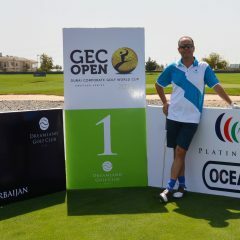 I am participating for the first time in such a big tournament. 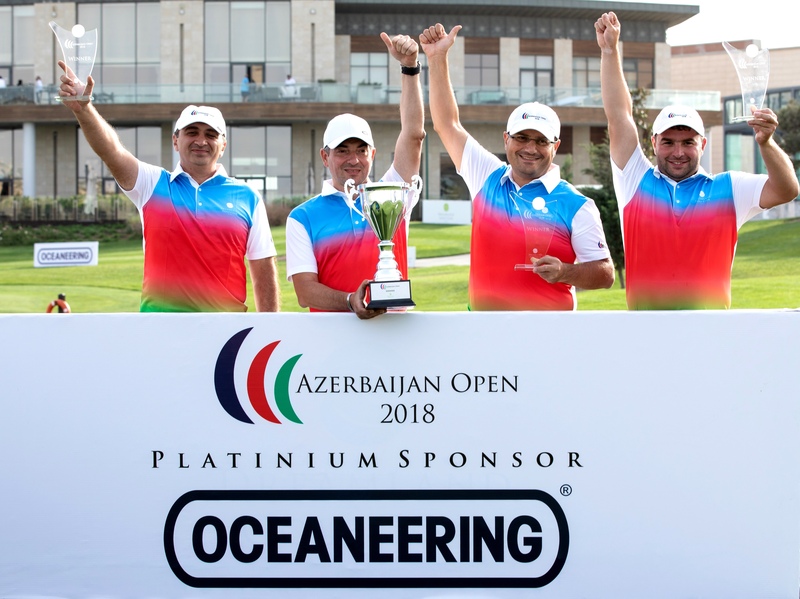 Yes, I tried myself in other tournaments, but this is truly a title for Azerbaijan. 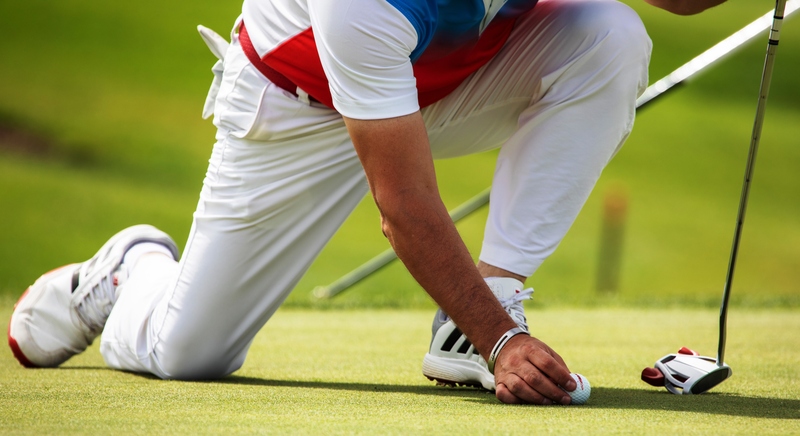 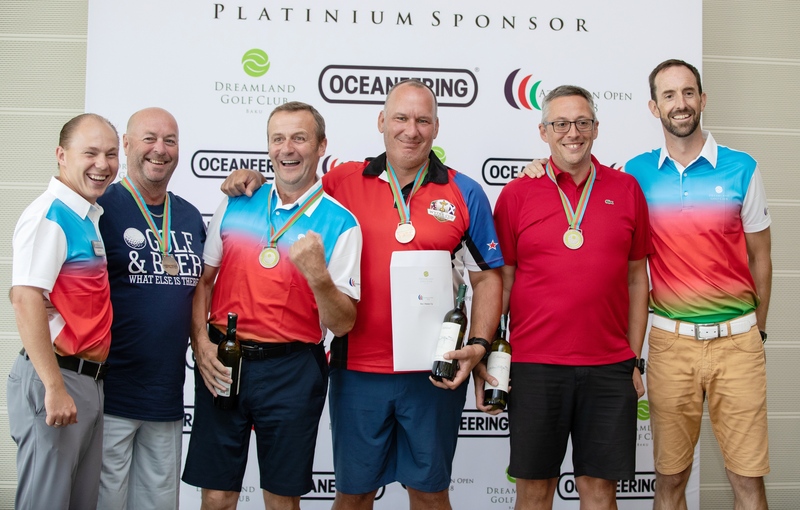 I am happy that I was able to contribute to the teams victory!”Dreamland Golf Club Team 7 – Nick Hore, Bryan Thomas, Steven Parkes, and Callum Stewart were runners-up on the last round countback, with Day One scores of 137pts & Day 2 91pts, gave them 228pts overall. 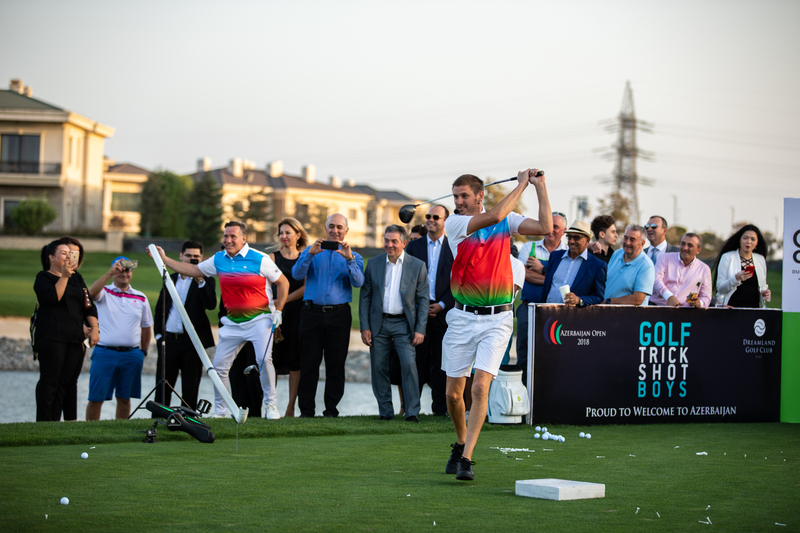 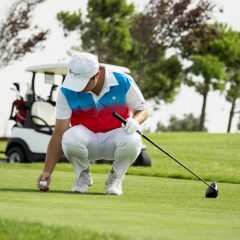 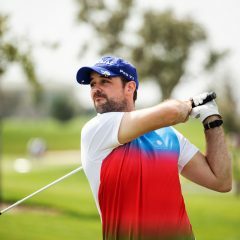 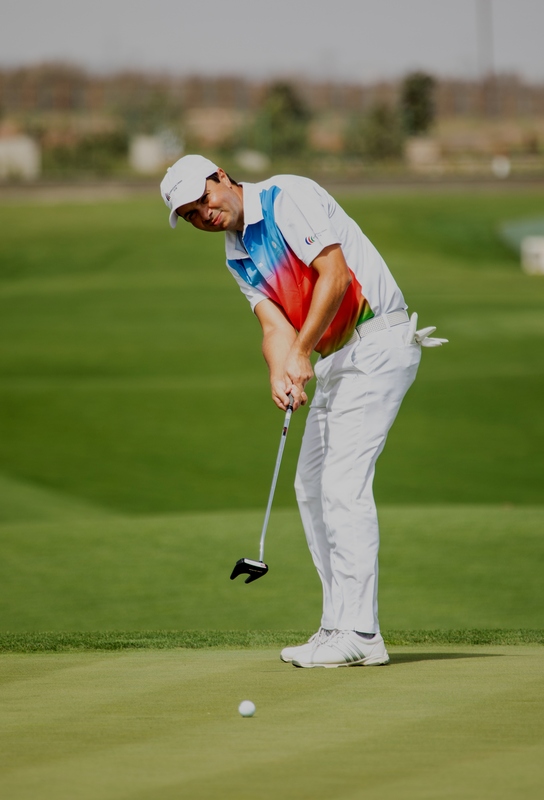 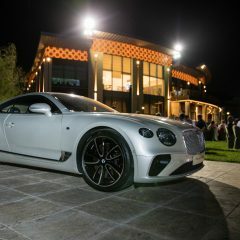 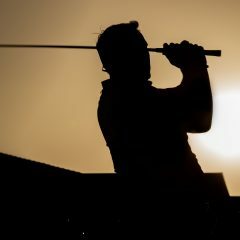 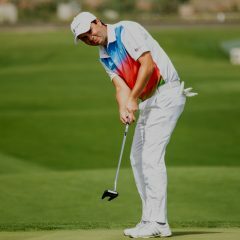 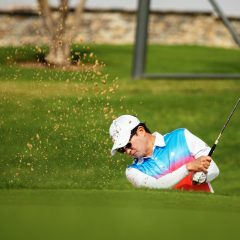 They will enjoy a Doha golf experience playing at the Doha Golf Club and Education City Golf Club whilst staying at the Grand Hyatt Doha. 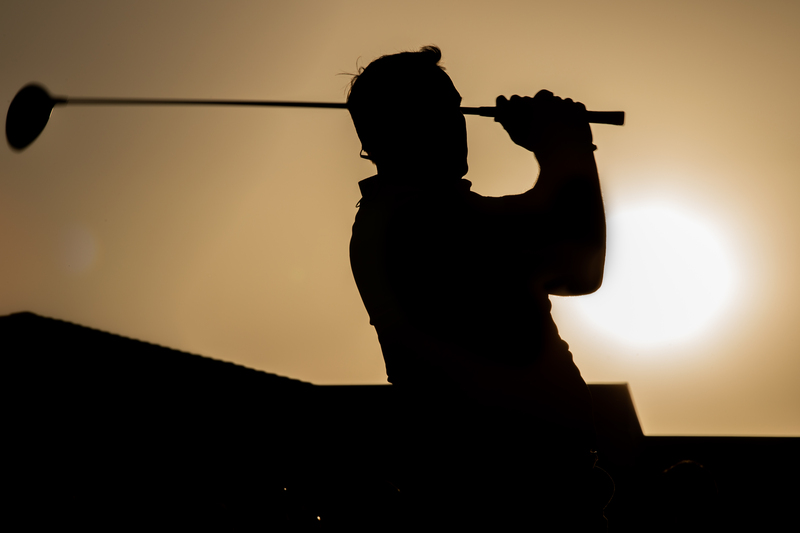 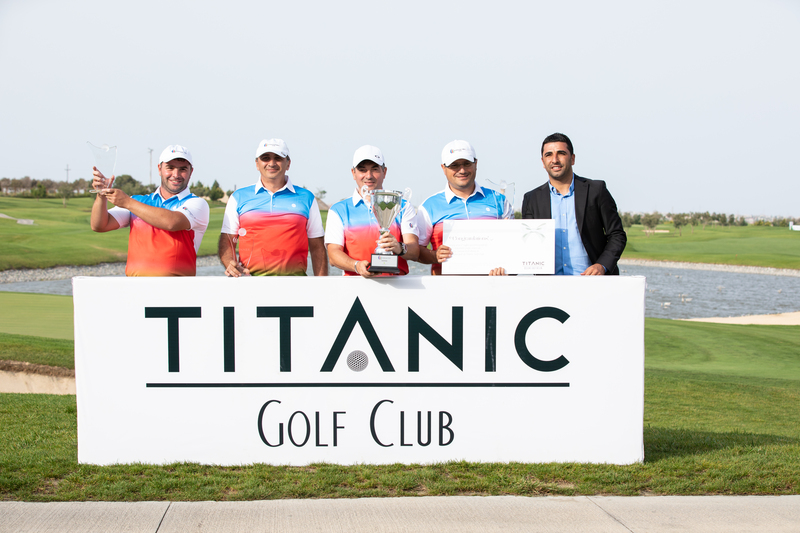 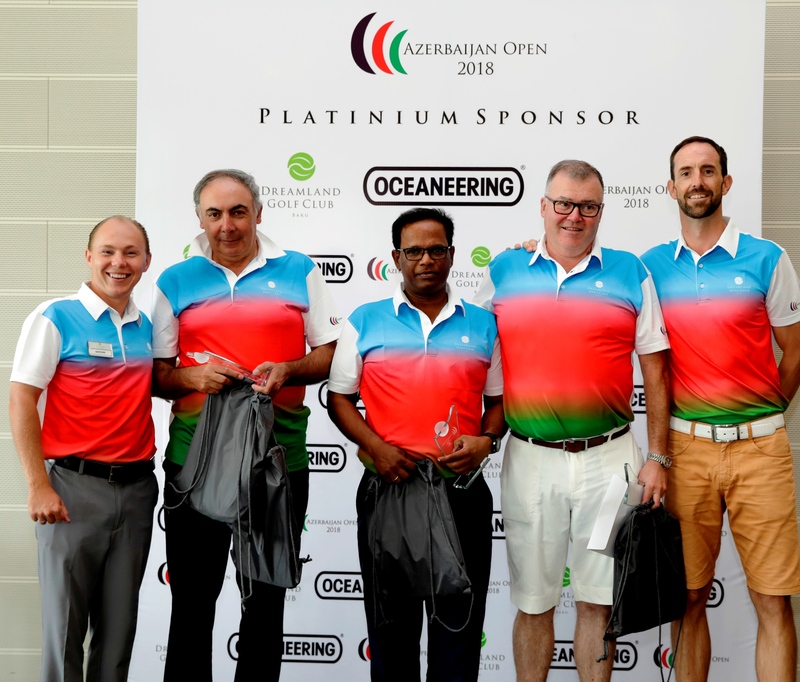 The team of Bos Shelf with Ikhtiyar Akhundov, Richard Mackie, John Salins, and Onofrio D’Onghia will enjoy a Dubai Golf experience winning a round at Dubai Creek and the famous Majlis course at Emirates GC after taking third place with a combined 228pts made up of 142pts & 84pts on Day Two. 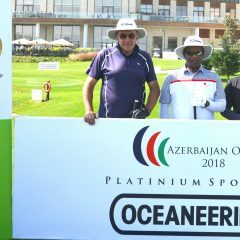 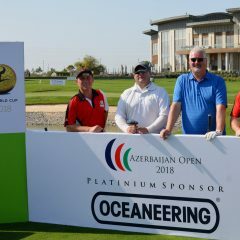 On behalf of the entire management, we would like to thank all Sponsors, Corporate Teams, Dreamland Golf Club members and Visitors for their support to the 2018 Azerbaijan Open. 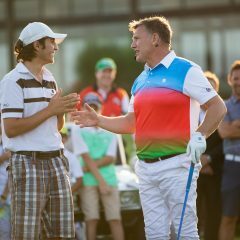 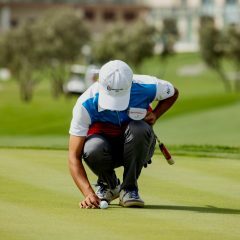 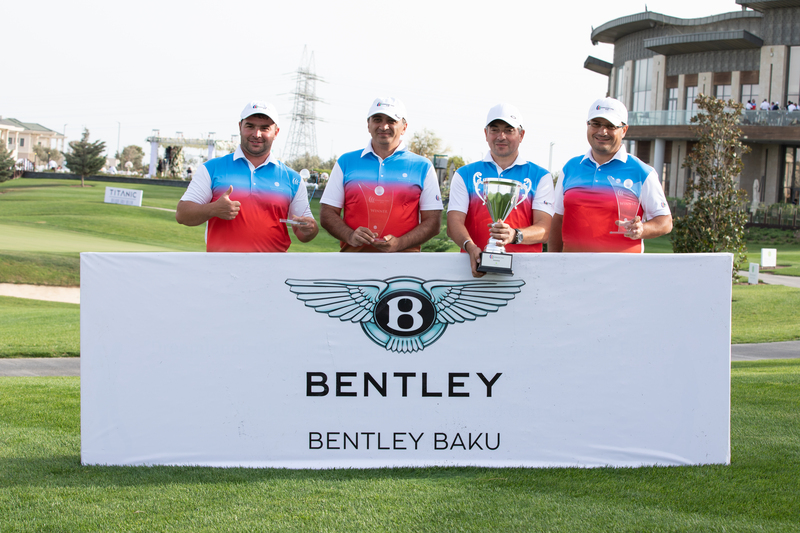 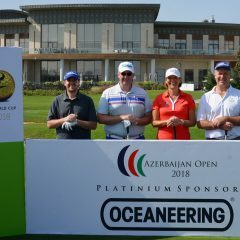 The playing field of 22 teams (88 players) created a true international feel to a very memorable weekend for golf in Azerbaijan. 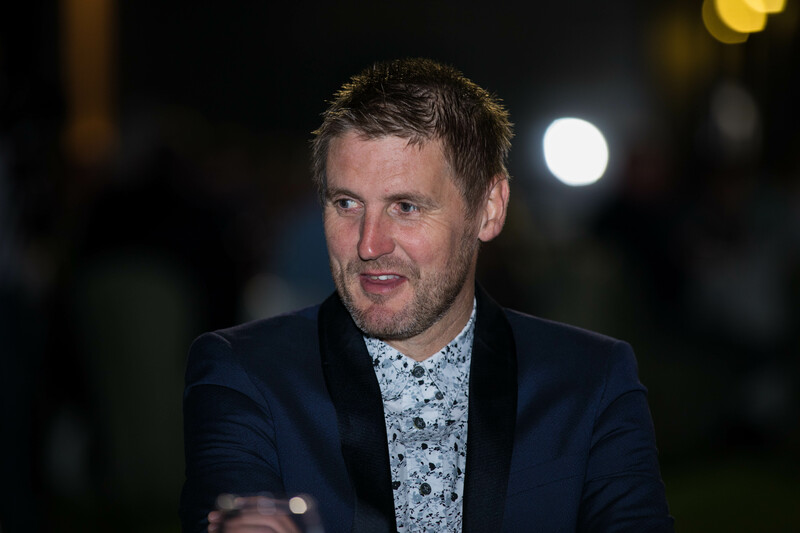 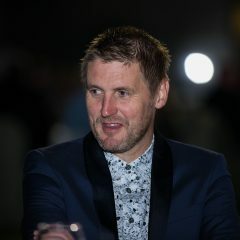 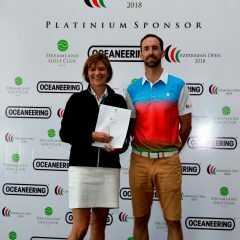 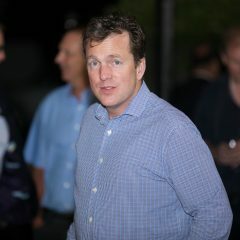 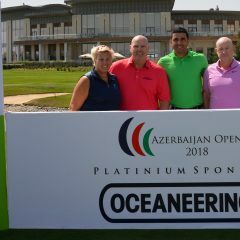 “We are especially grateful to Oceaneering and GEC Open for their support as platinum sponsors for this year commented Phil Jones. 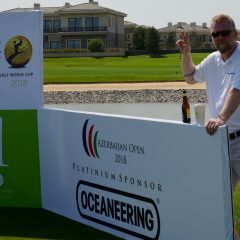 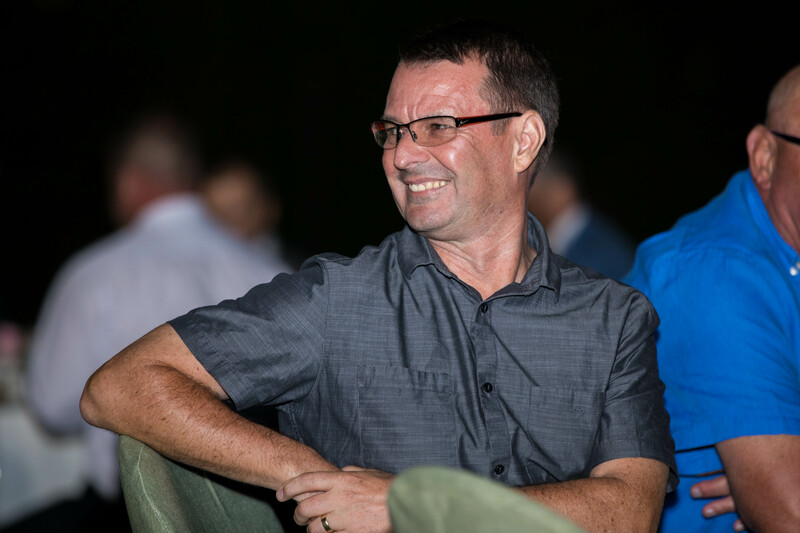 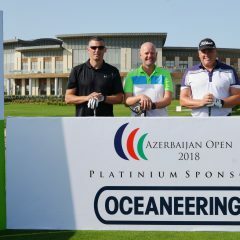 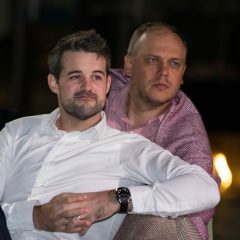 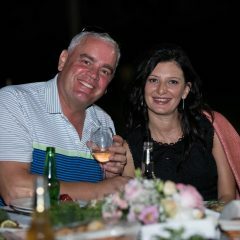 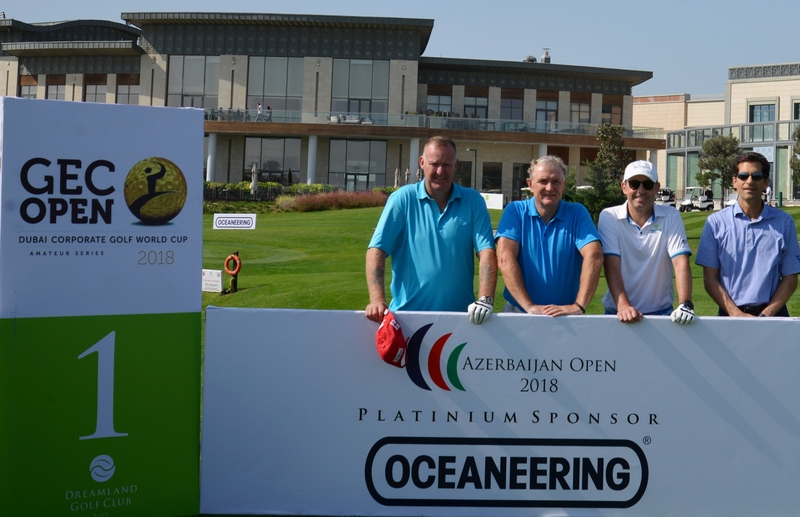 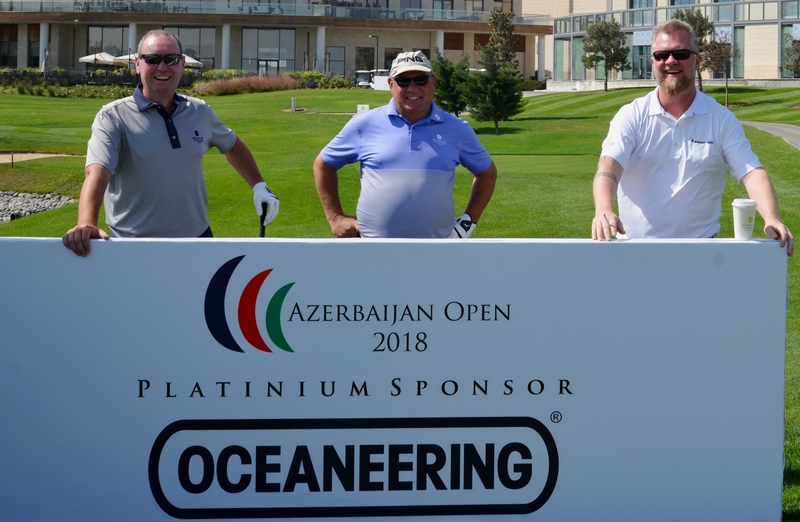 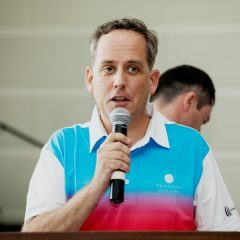 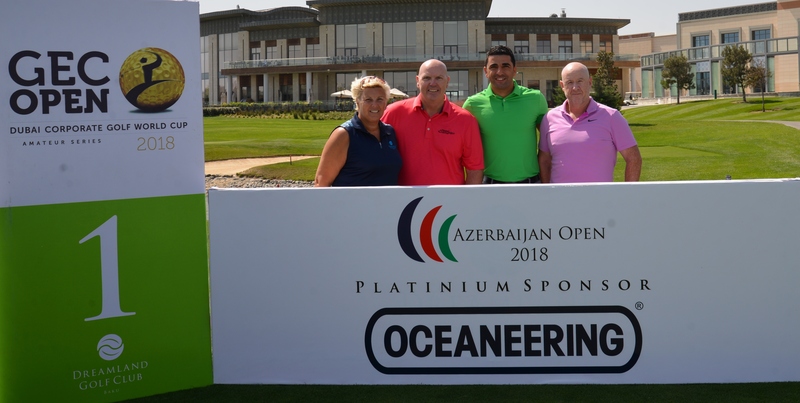 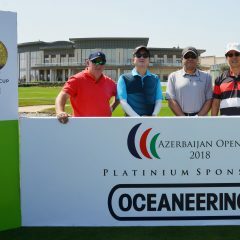 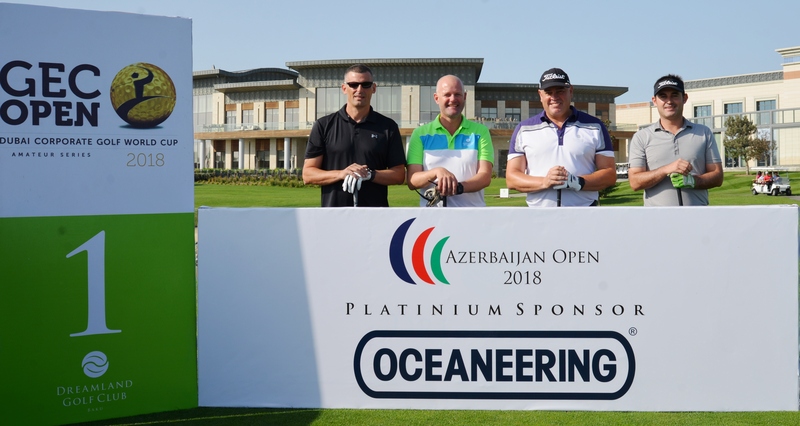 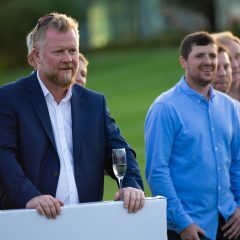 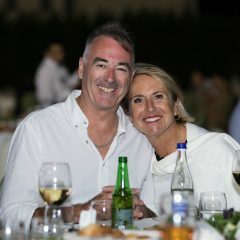 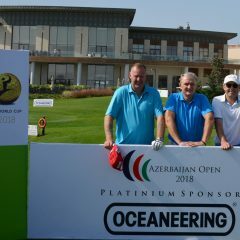 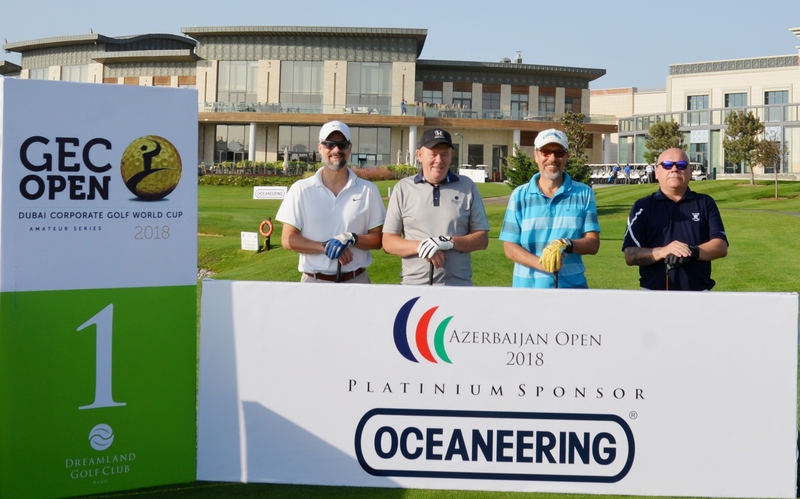 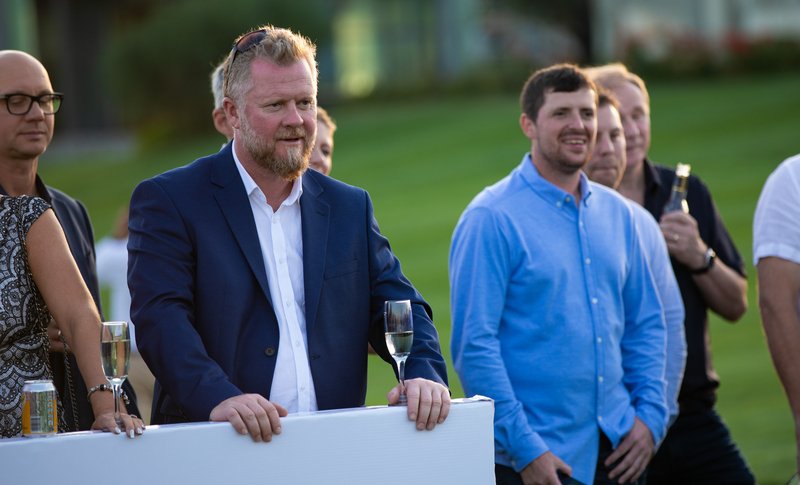 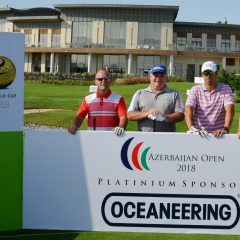 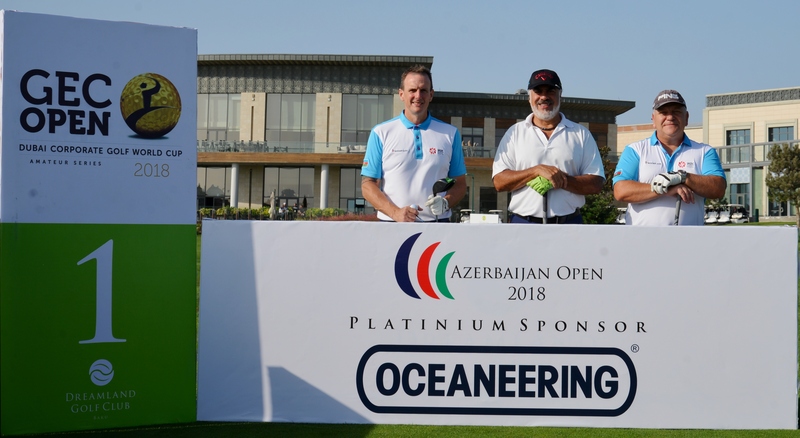 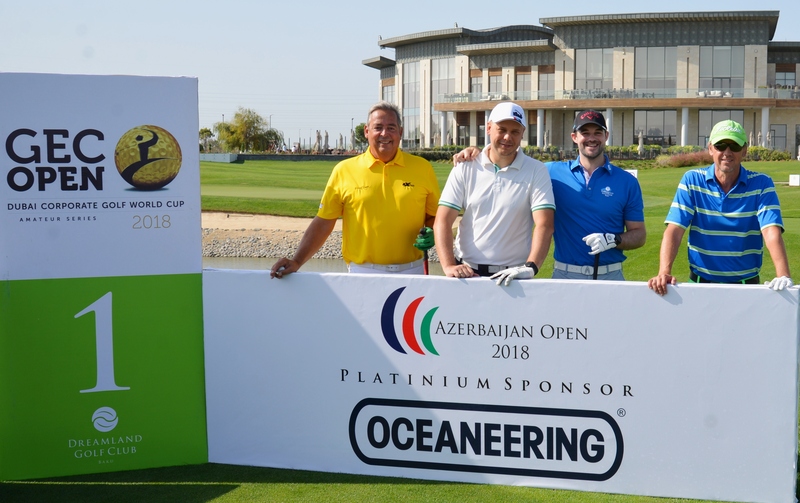 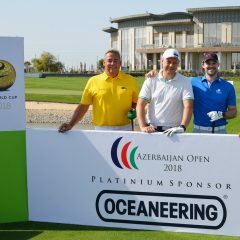 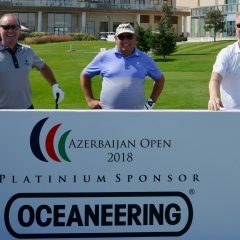 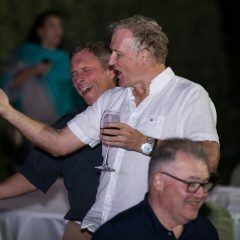 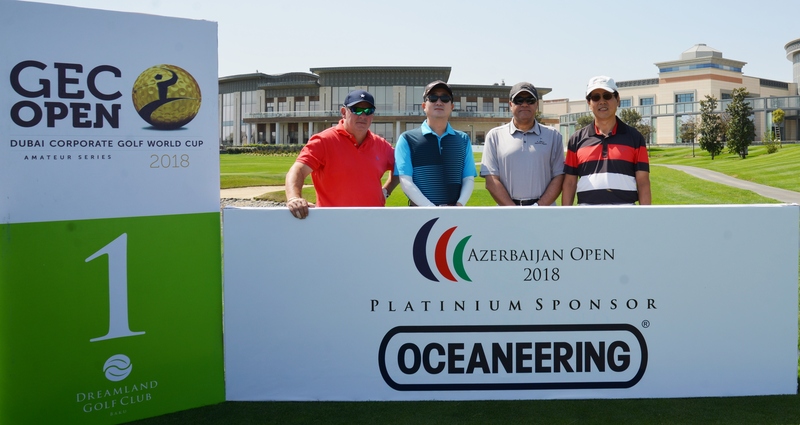 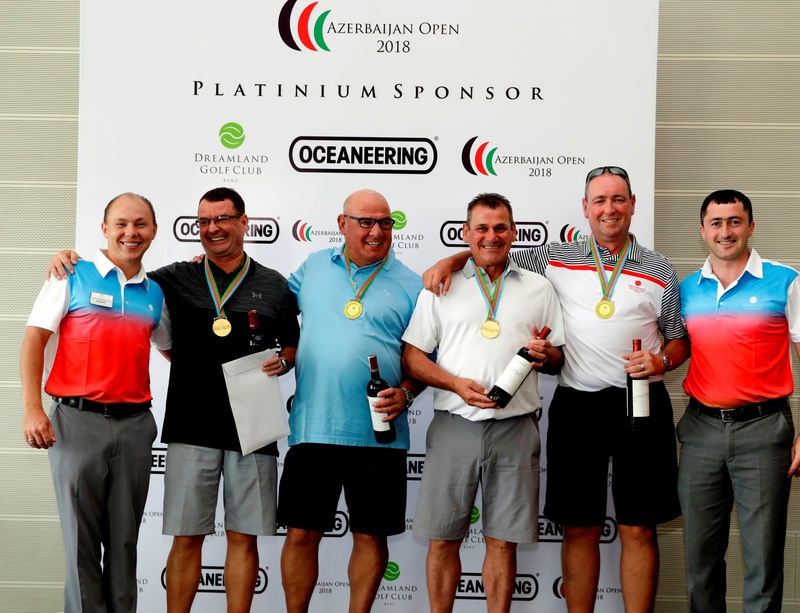 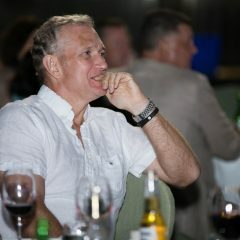 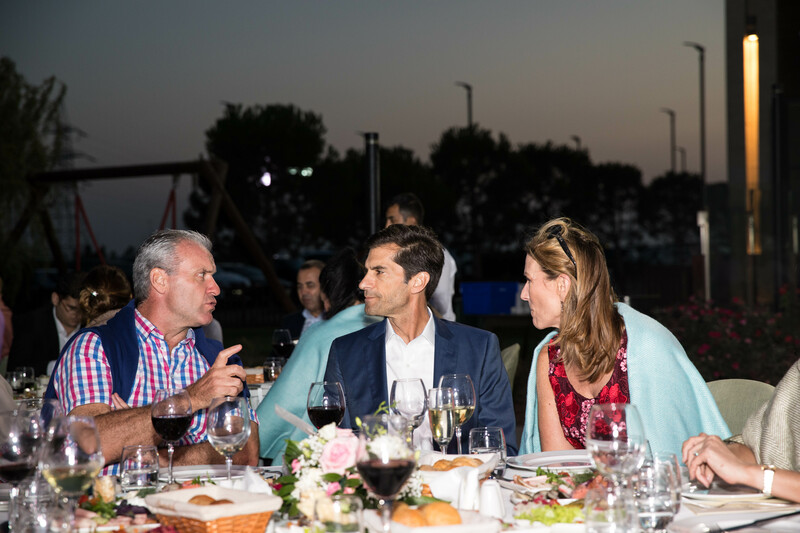 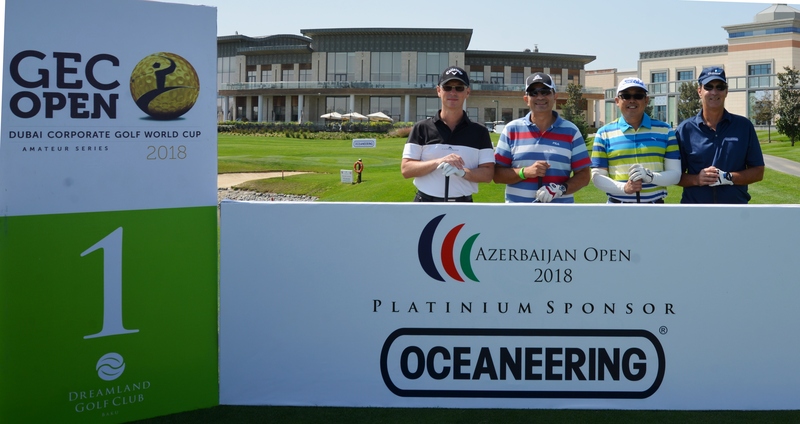 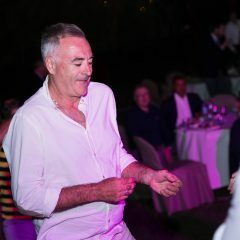 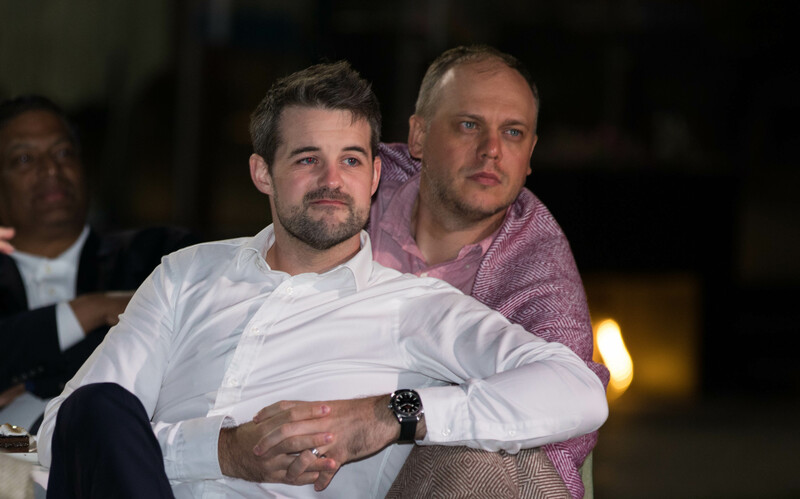 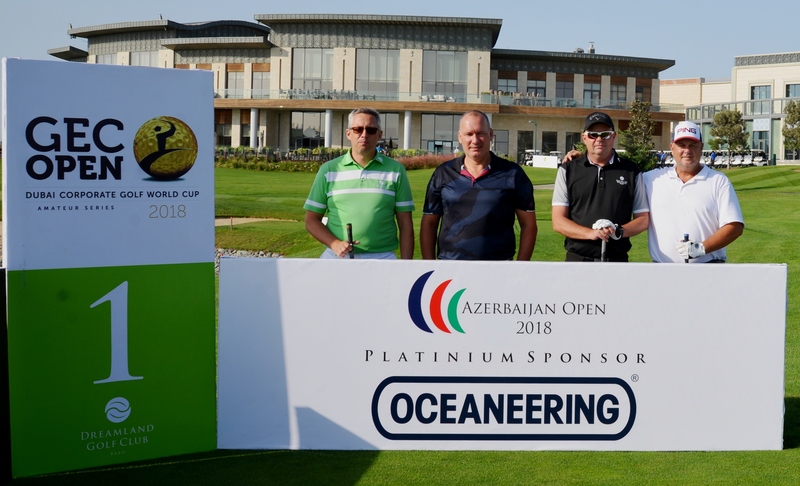 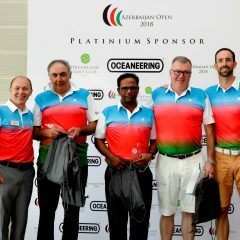 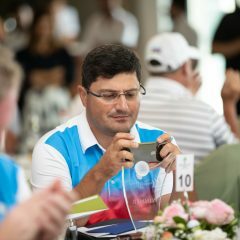 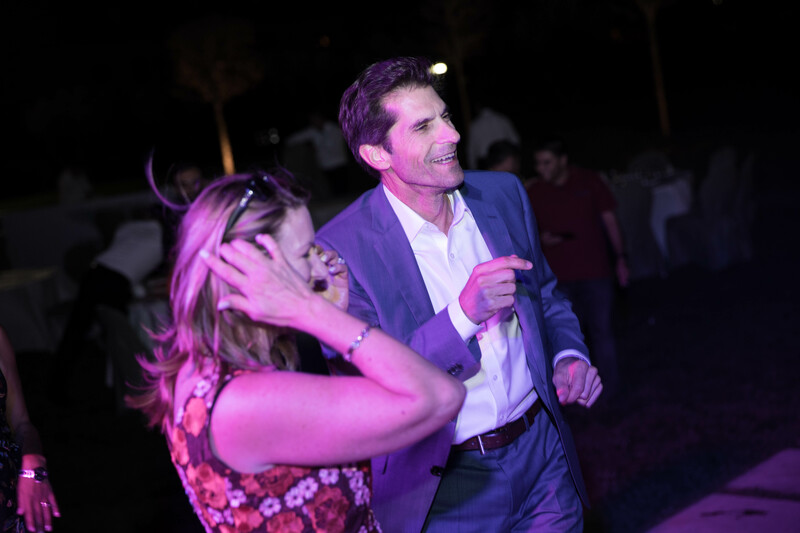 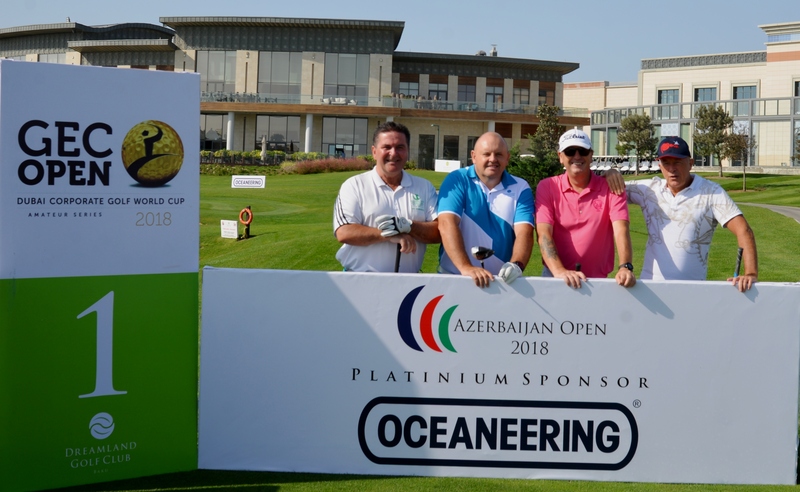 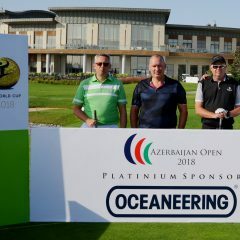 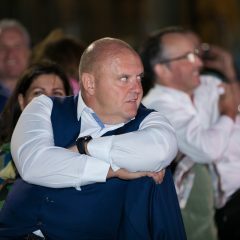 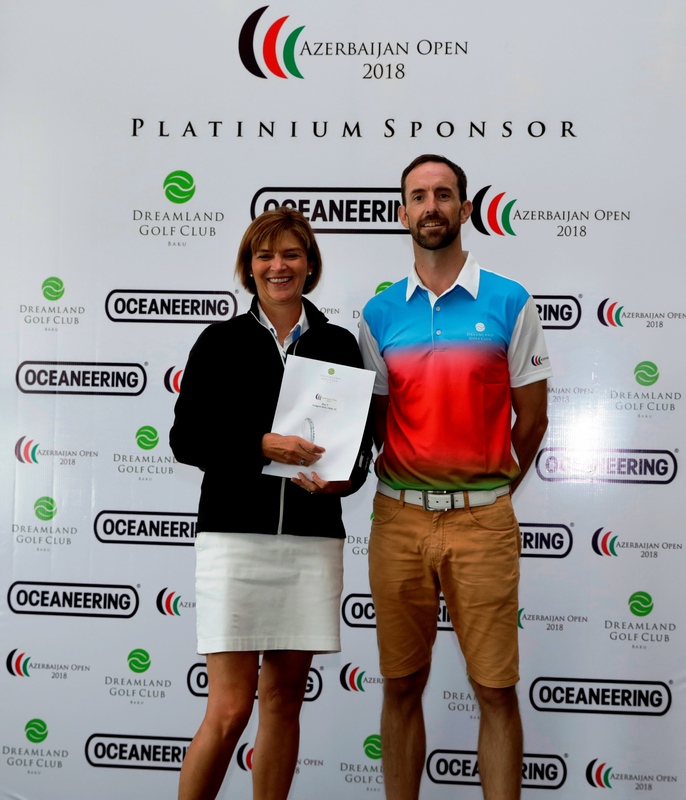 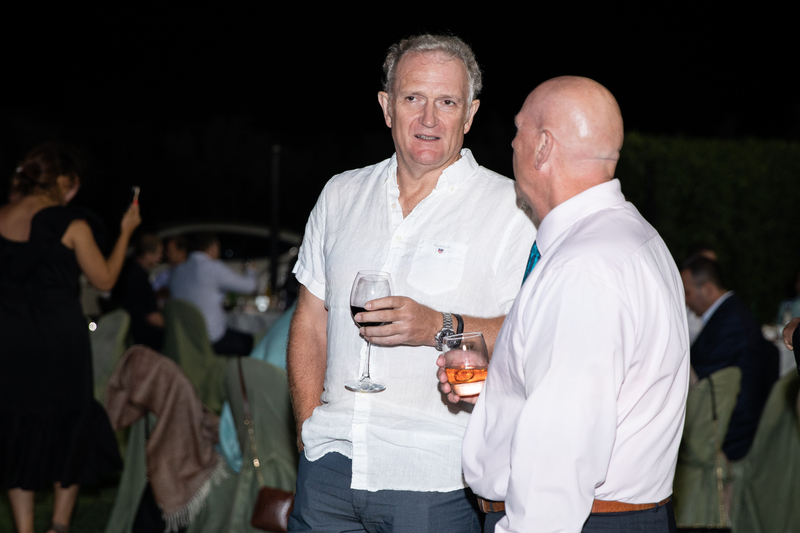 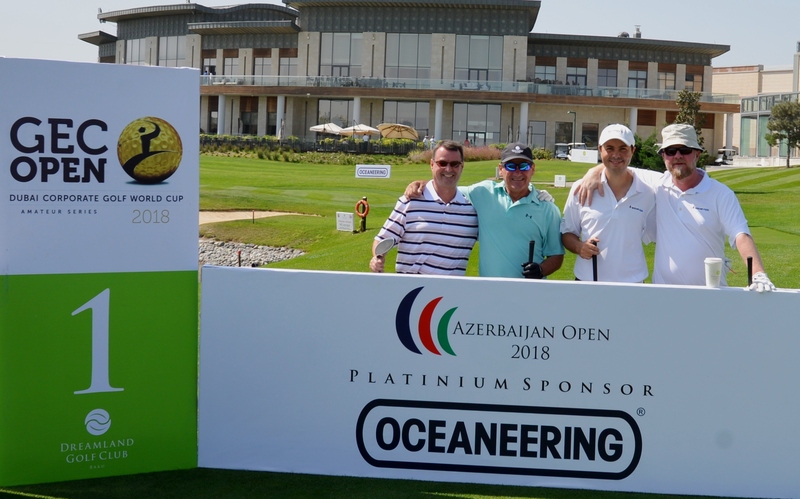 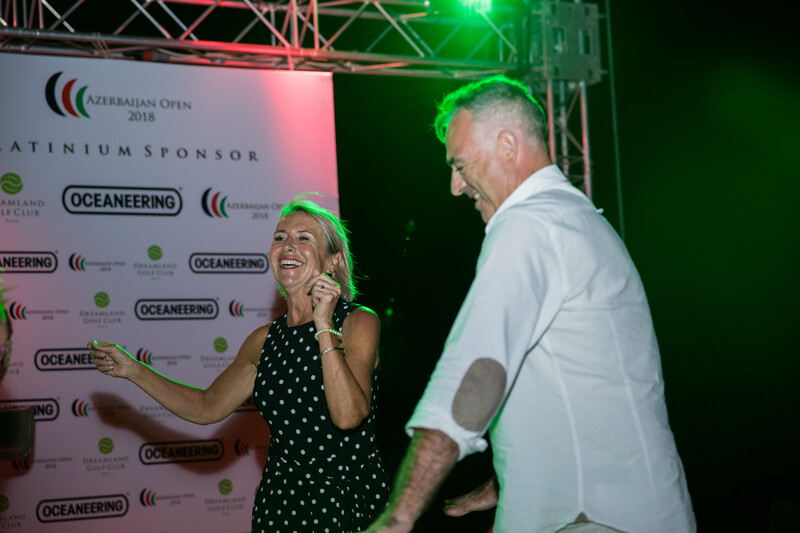 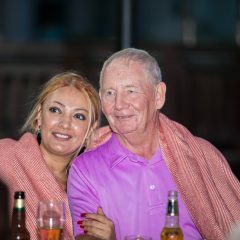 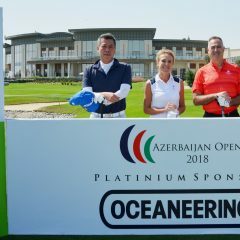 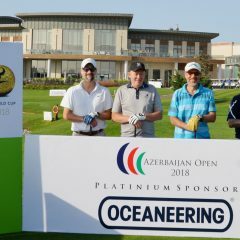 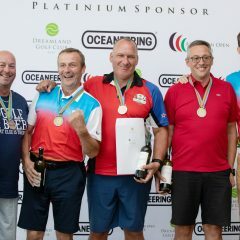 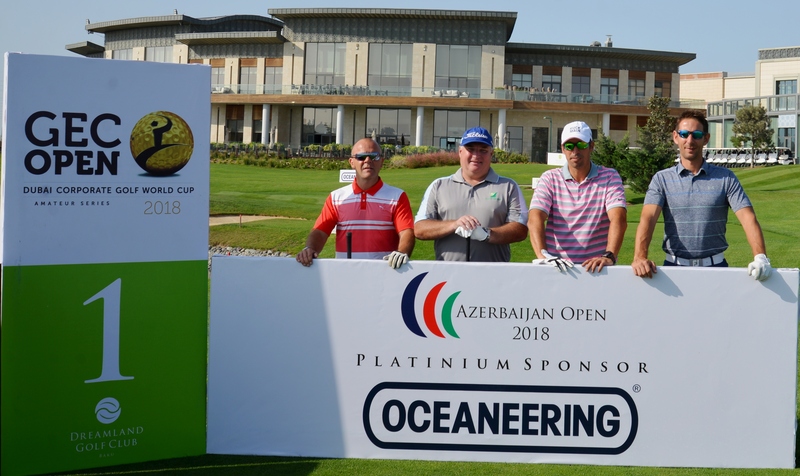 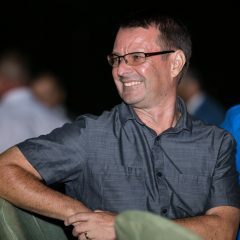 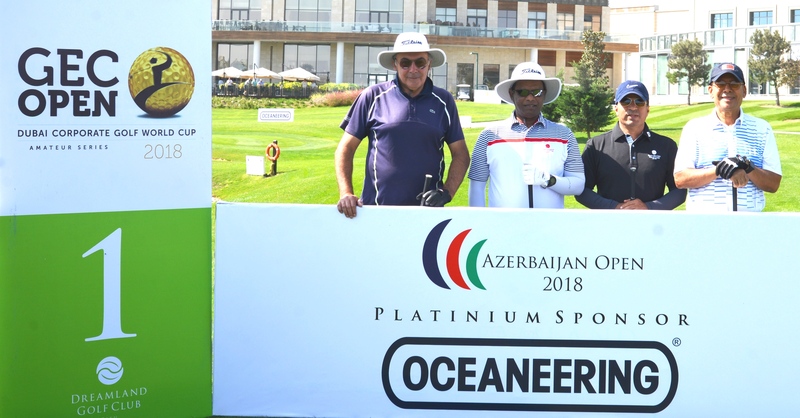 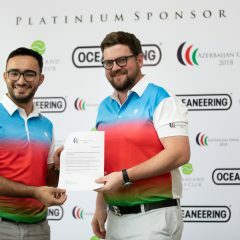 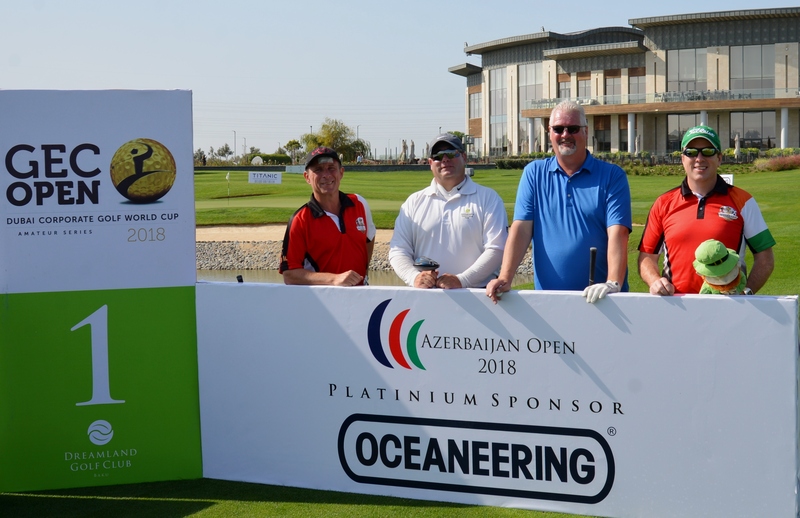 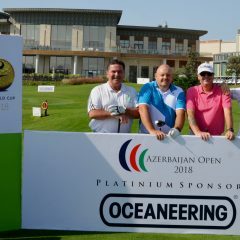 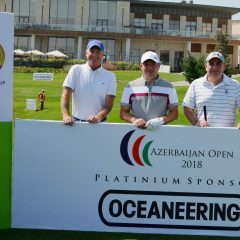 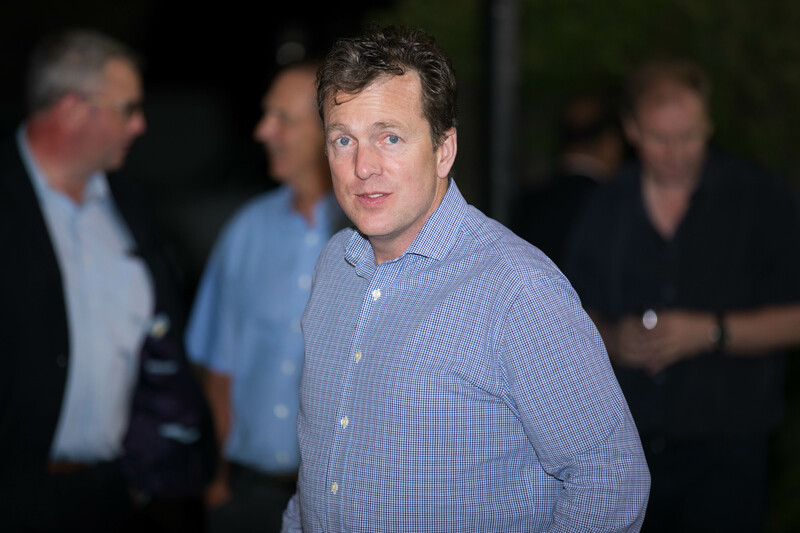 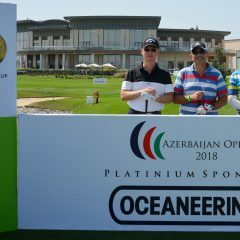 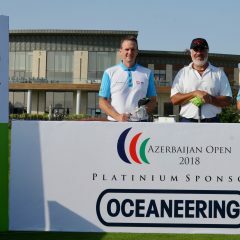 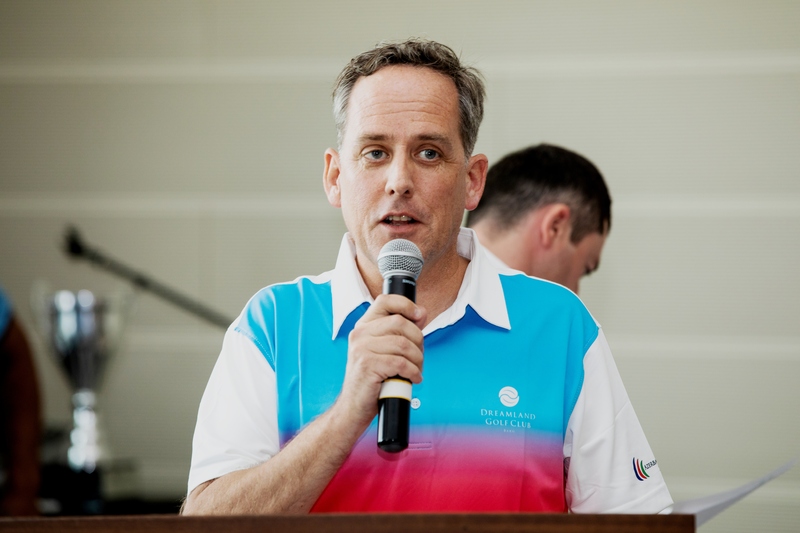 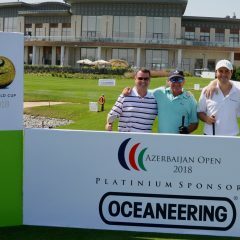 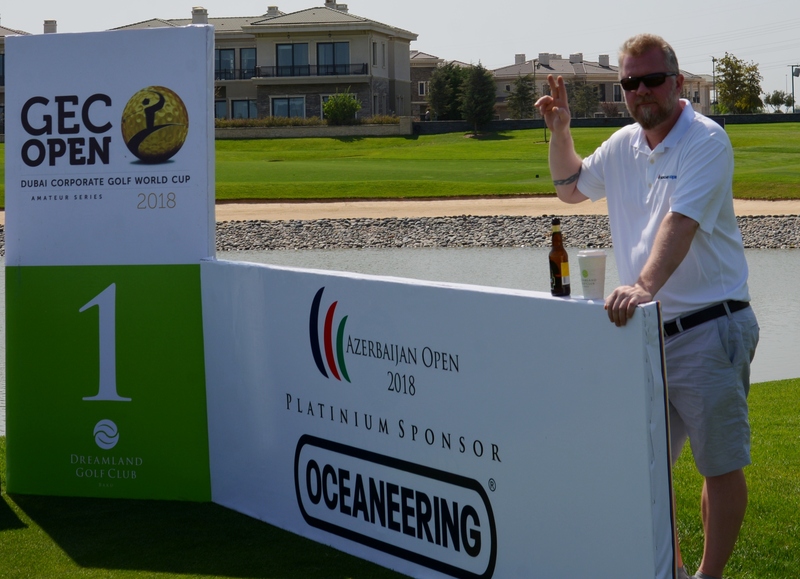 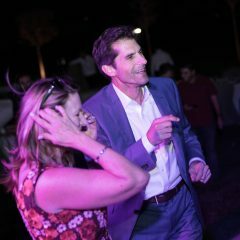 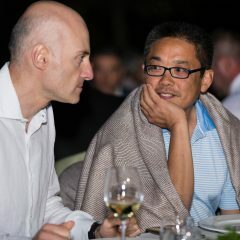 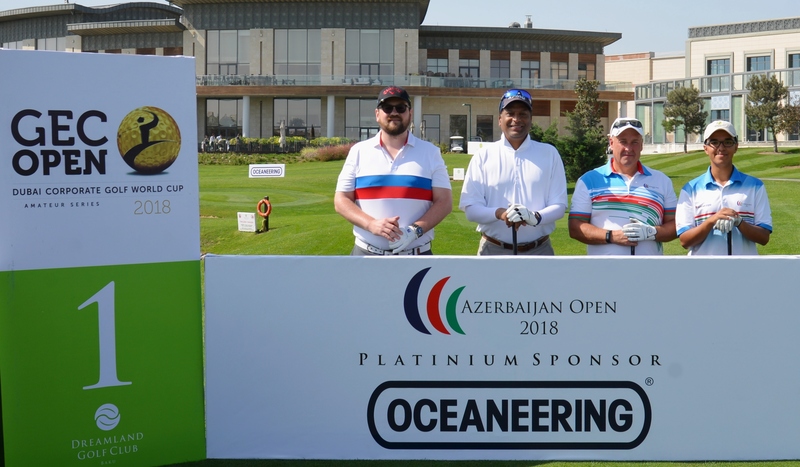 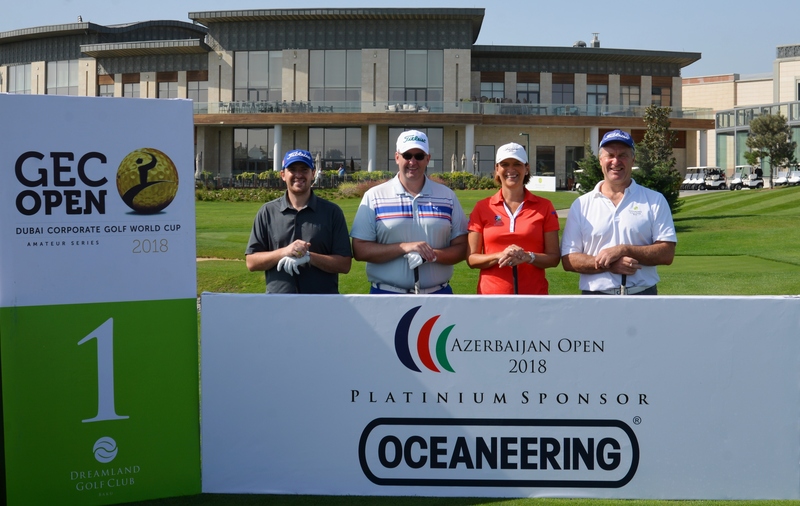 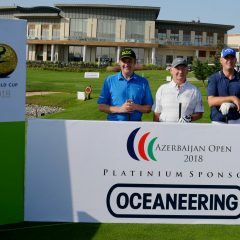 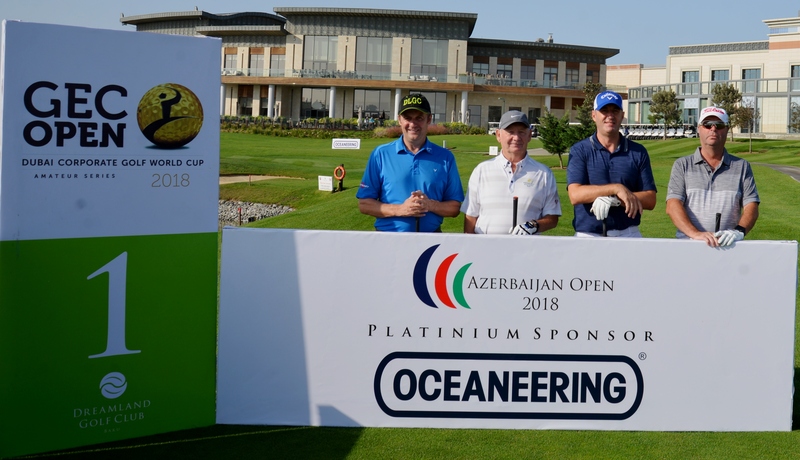 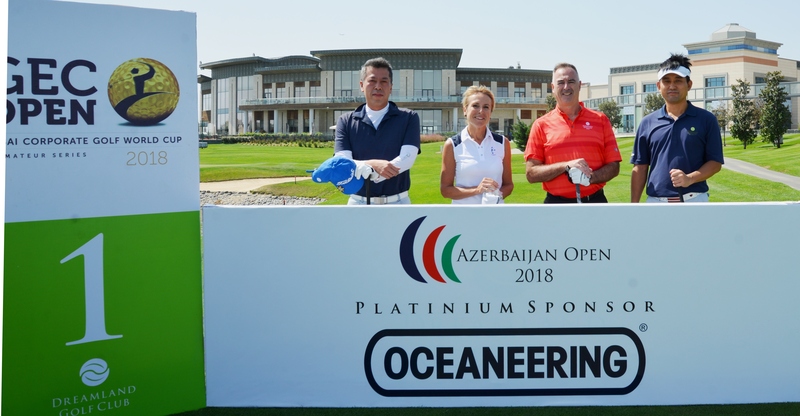 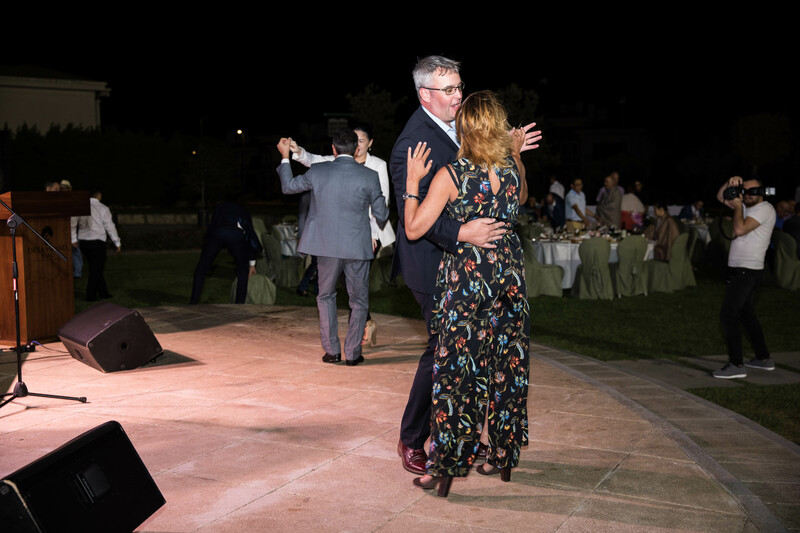 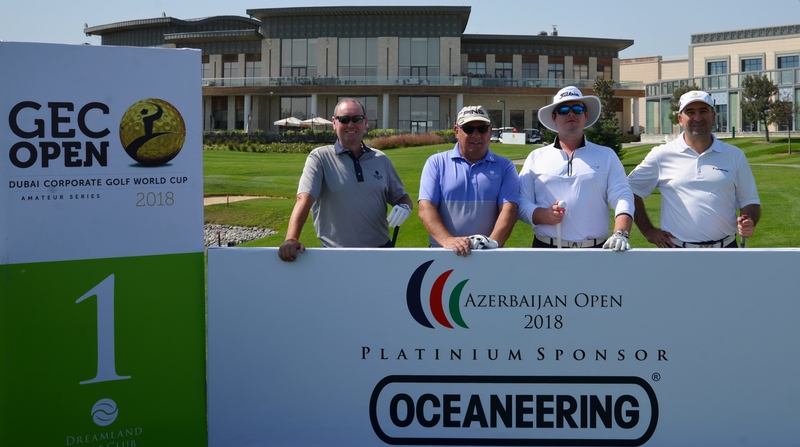 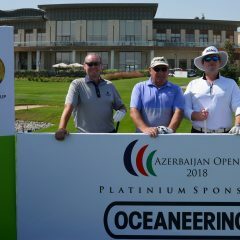 Greg Boyle, Regional Manager for Oceaneering was quick to echo the sentiments “The Azerbaijan Open has been a great opportunity to connect with our customers and industry peers, all our players and guests have enjoyed the experience and hospitality of this past weekend. 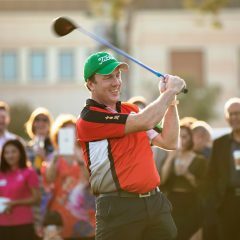 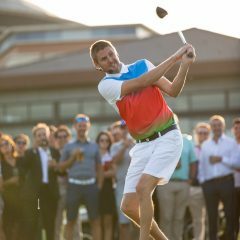 To have members of our leadership team try to golf with Alex Day the Club Professional has given them an interest in a new sport. 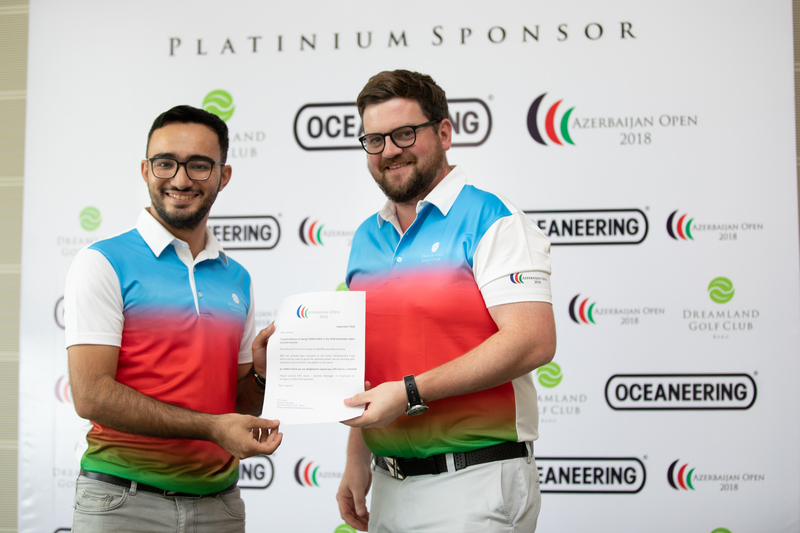 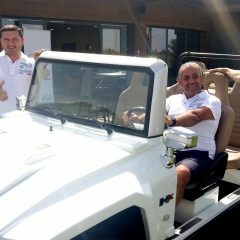 We look forward to working with Dreamland Golf Club again in the future, and seeing Golf continue to develop in Azerbaijan”. 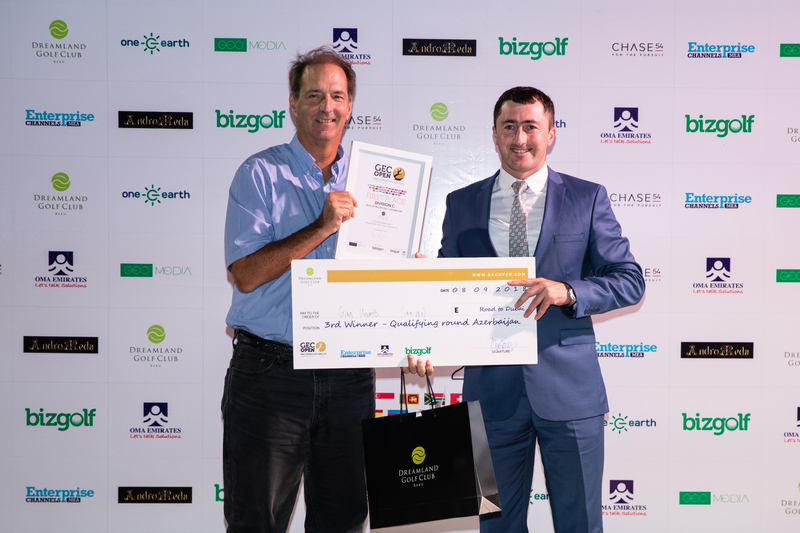 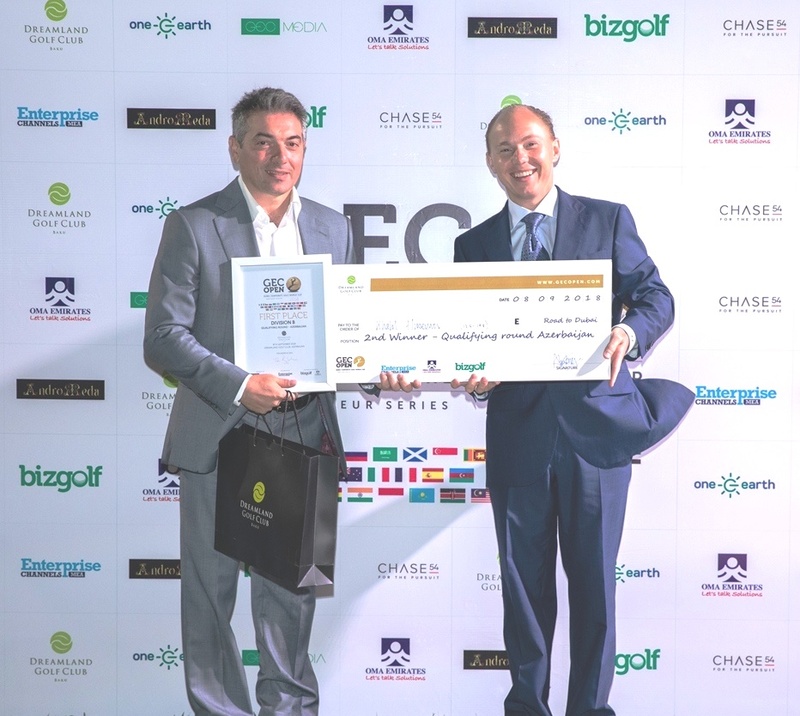 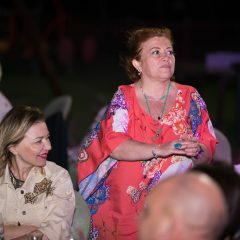 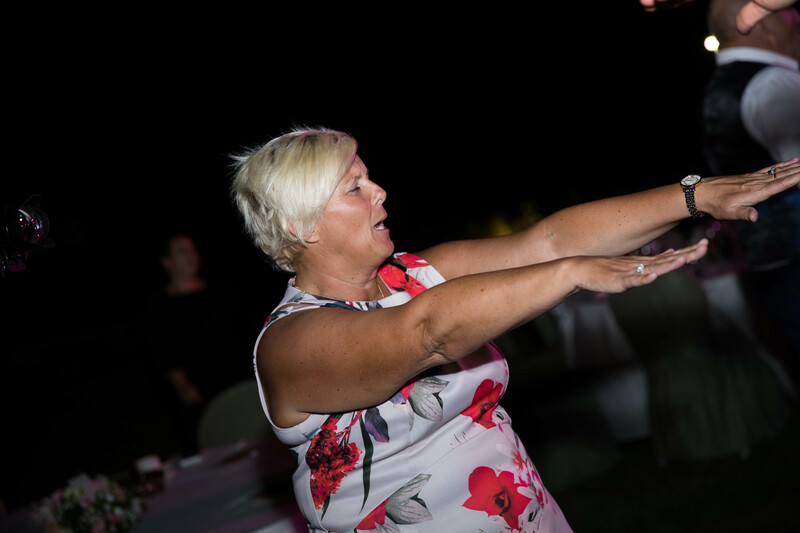 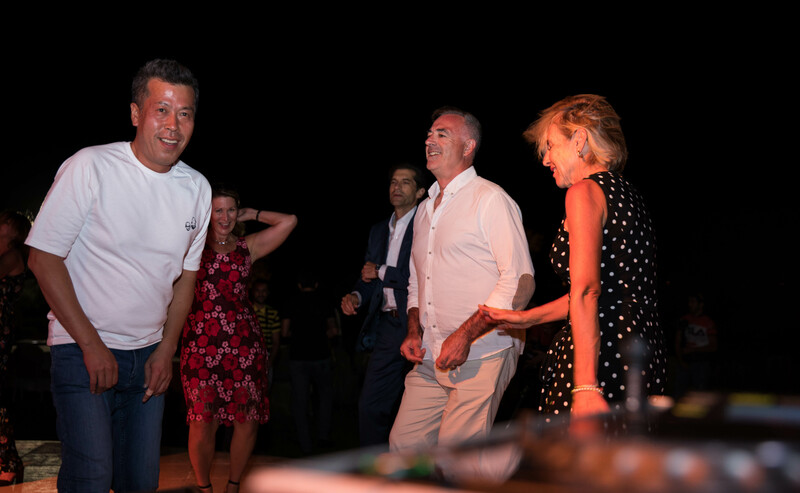 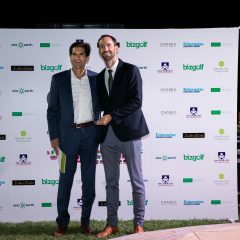 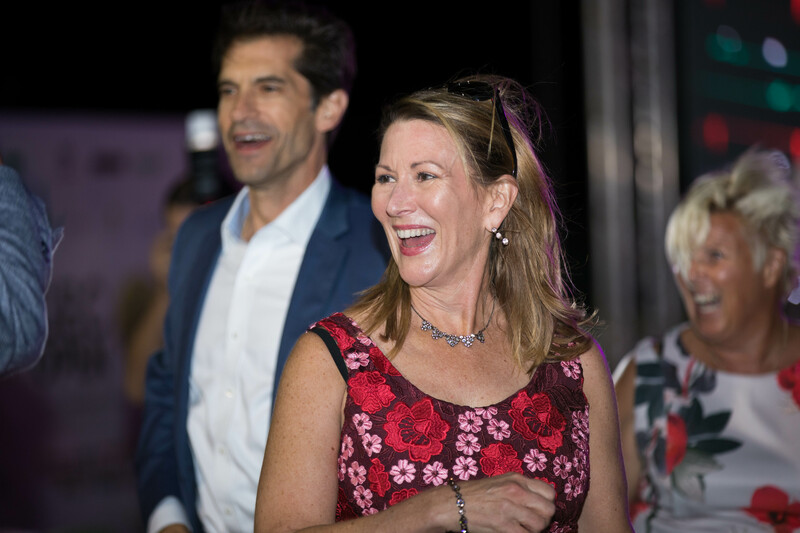 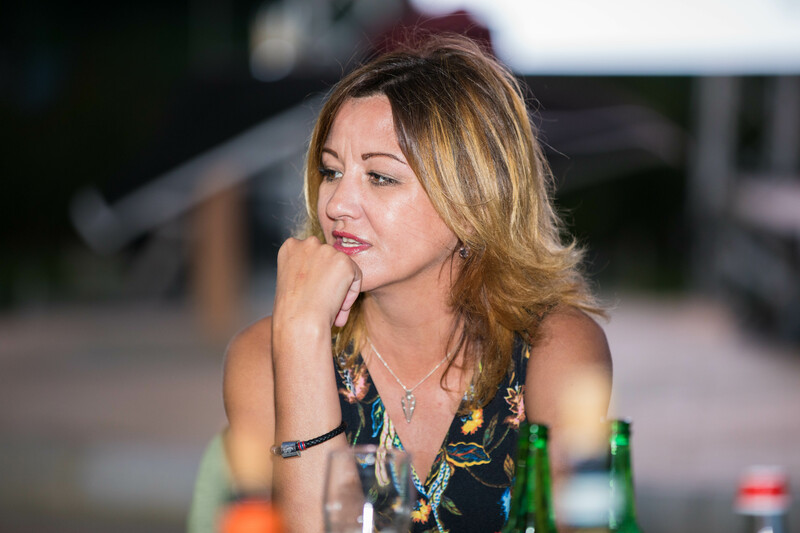 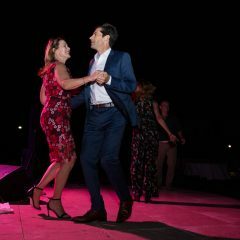 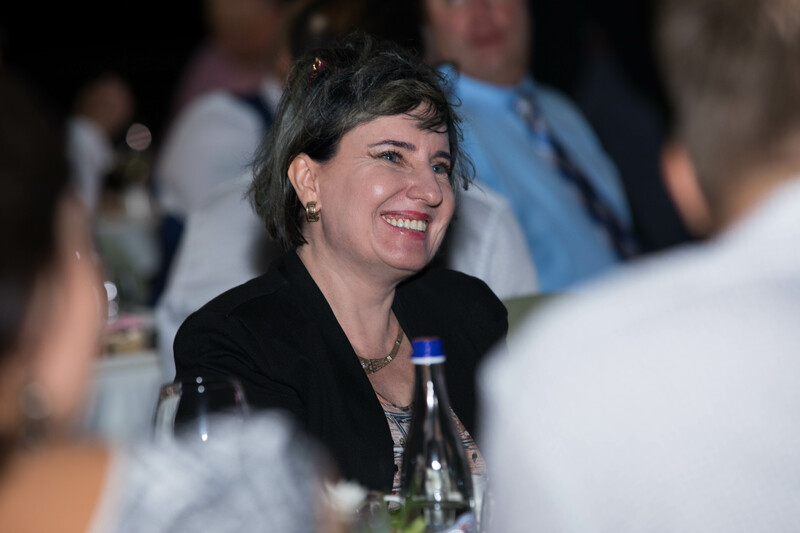 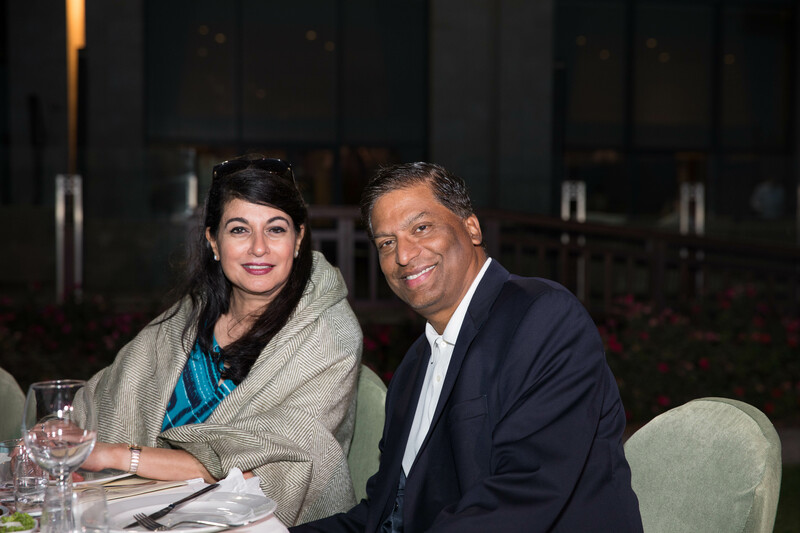 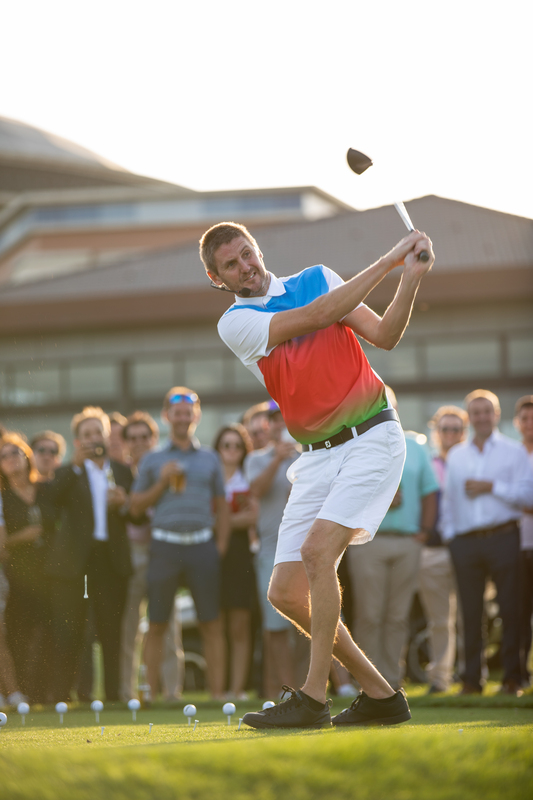 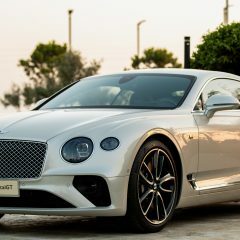 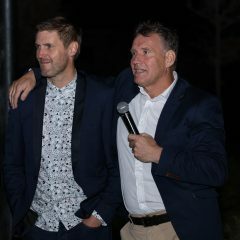 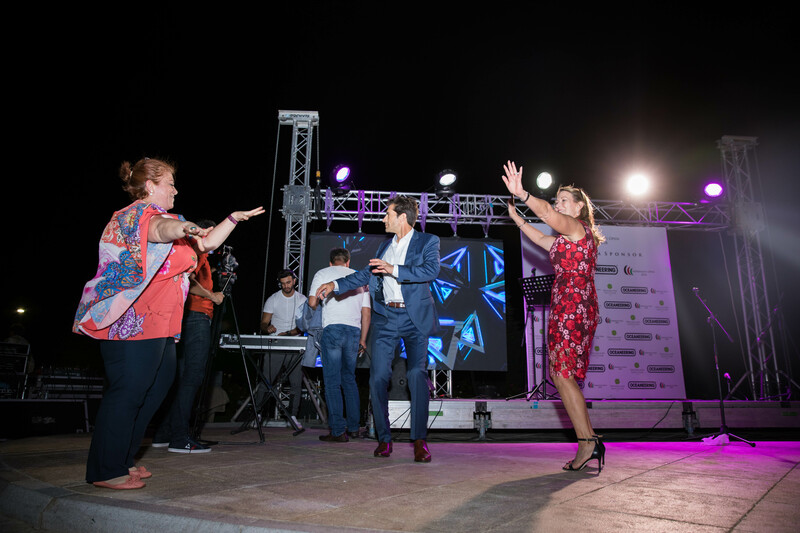 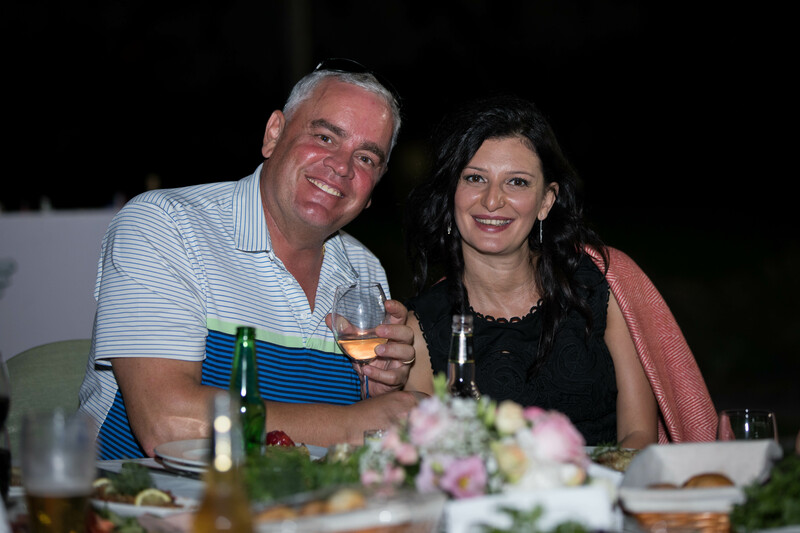 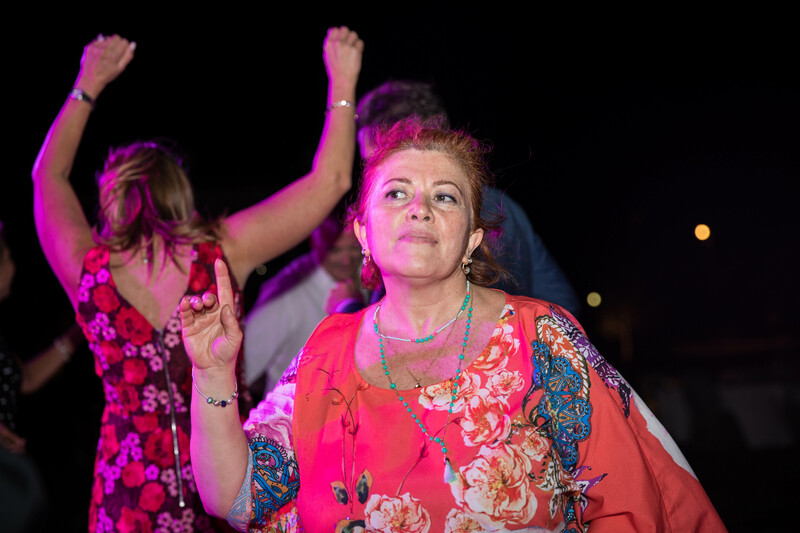 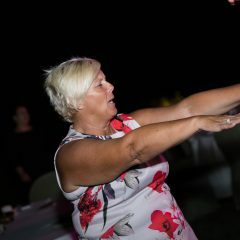 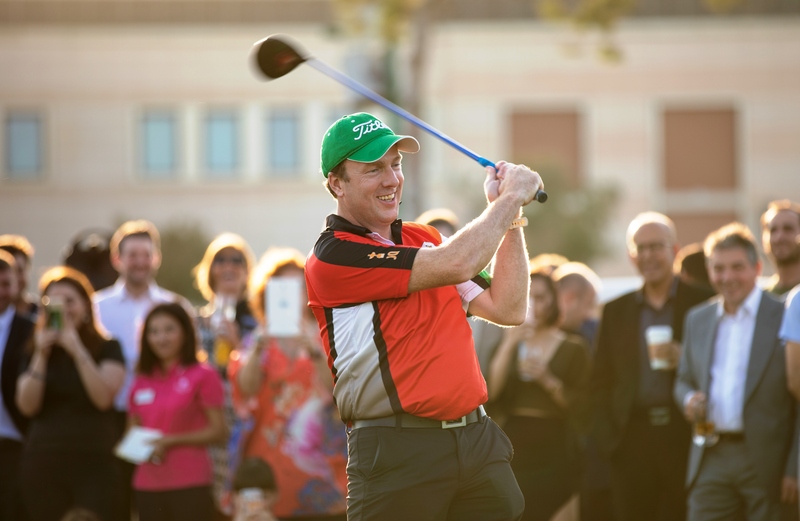 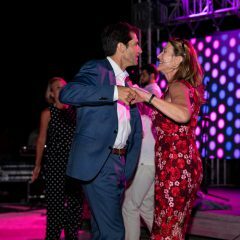 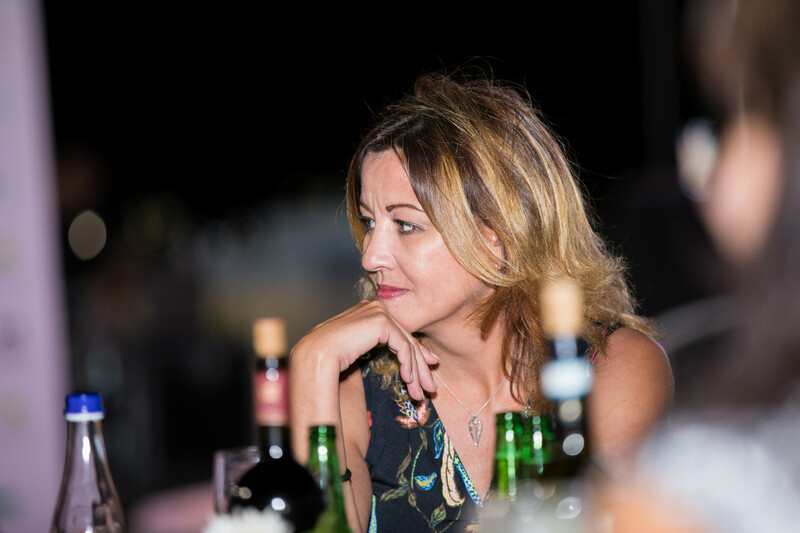 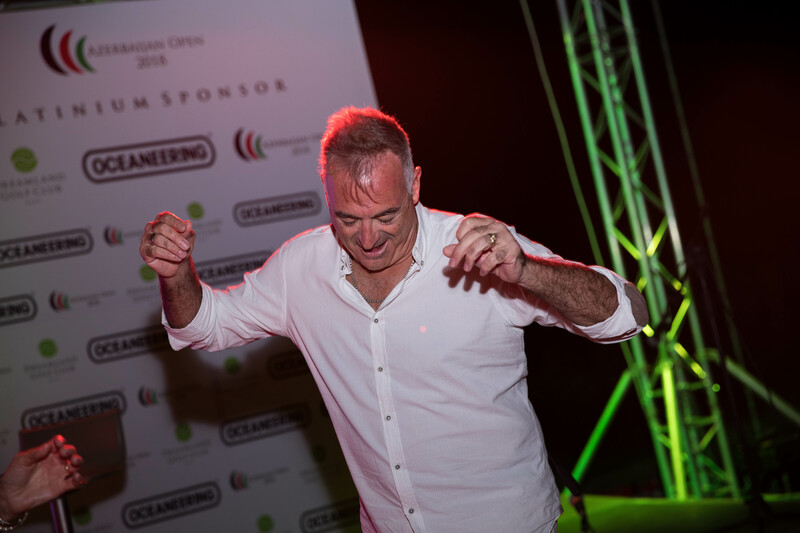 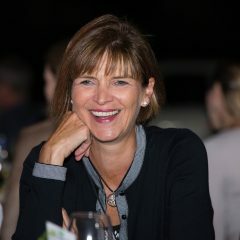 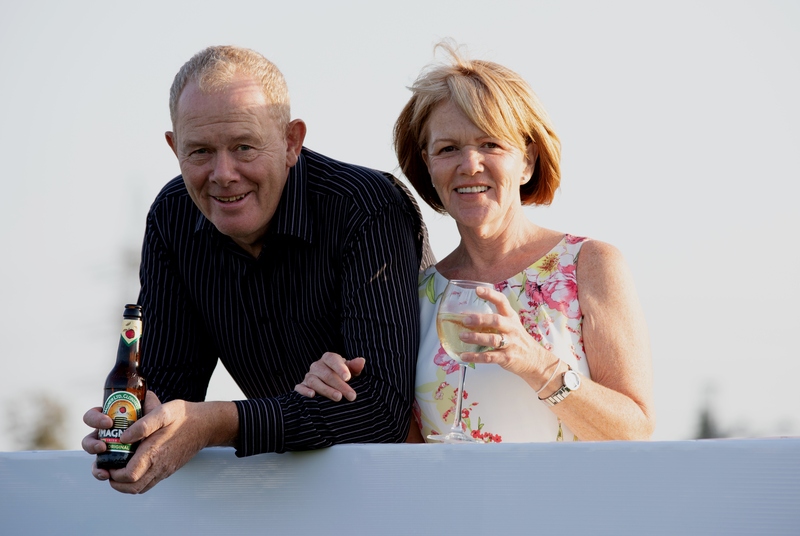 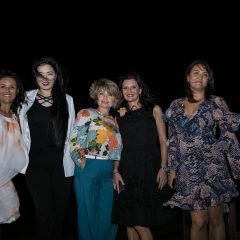 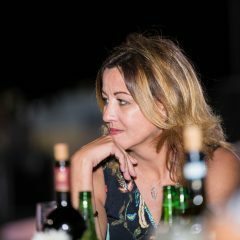 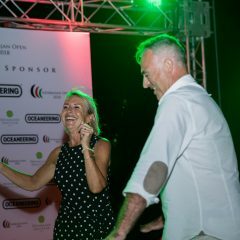 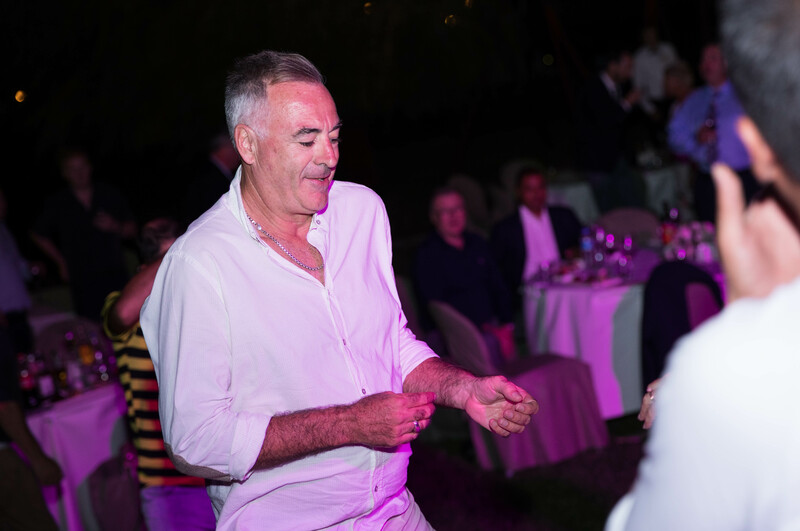 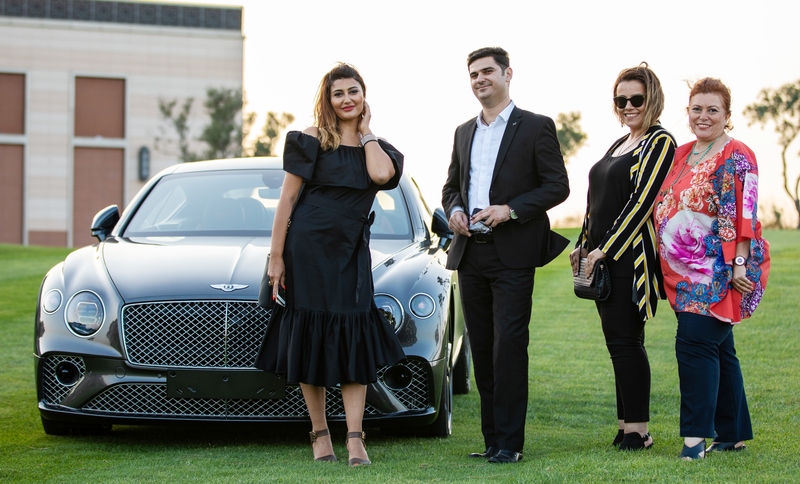 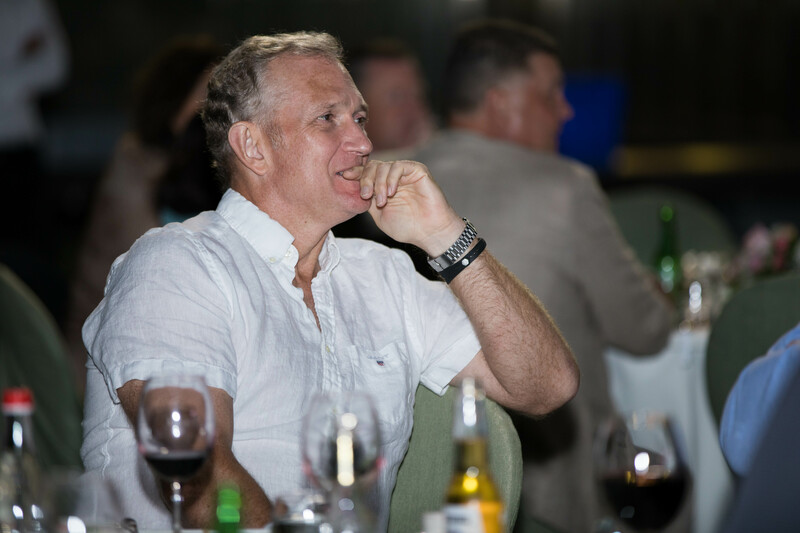 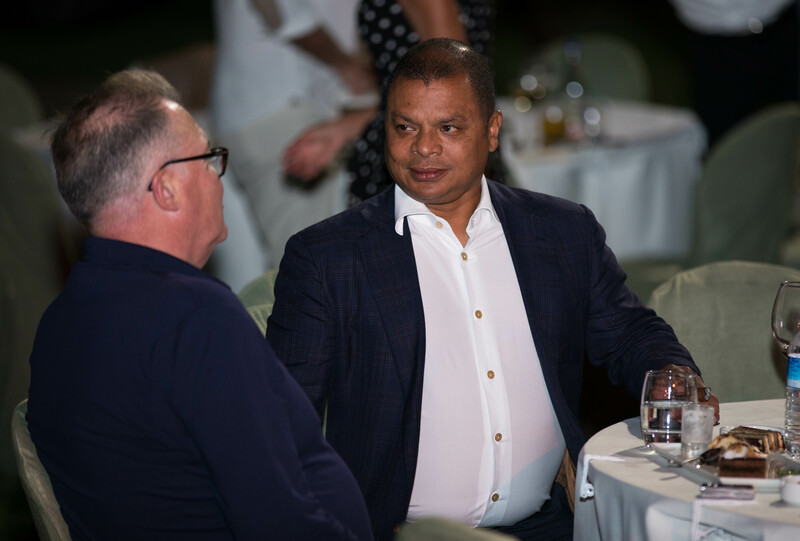 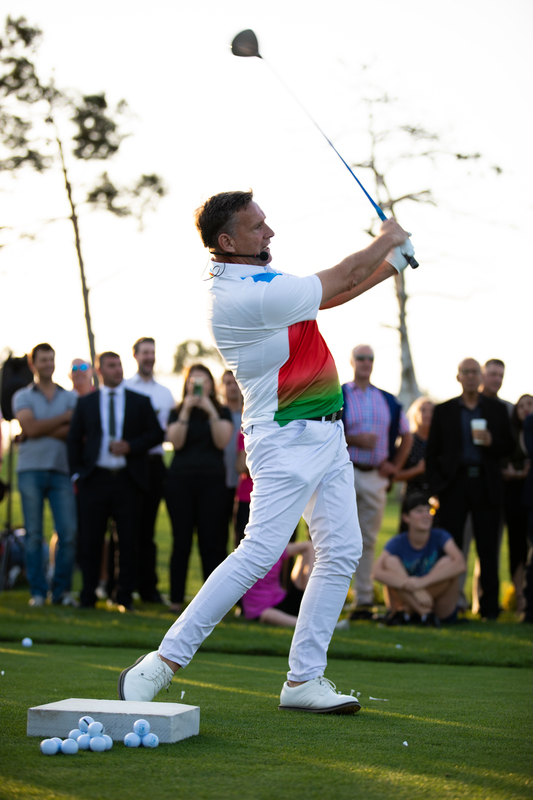 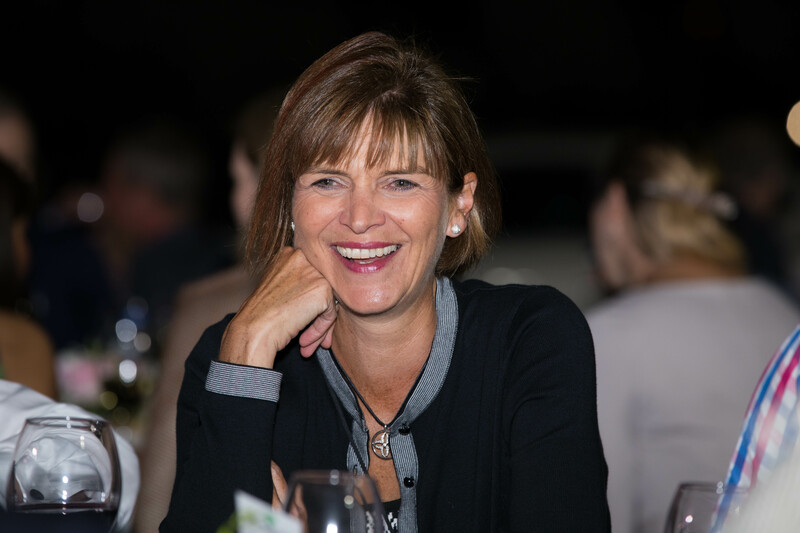 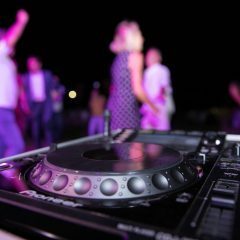 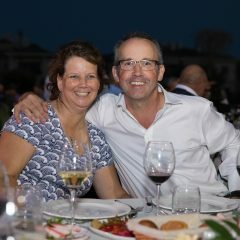 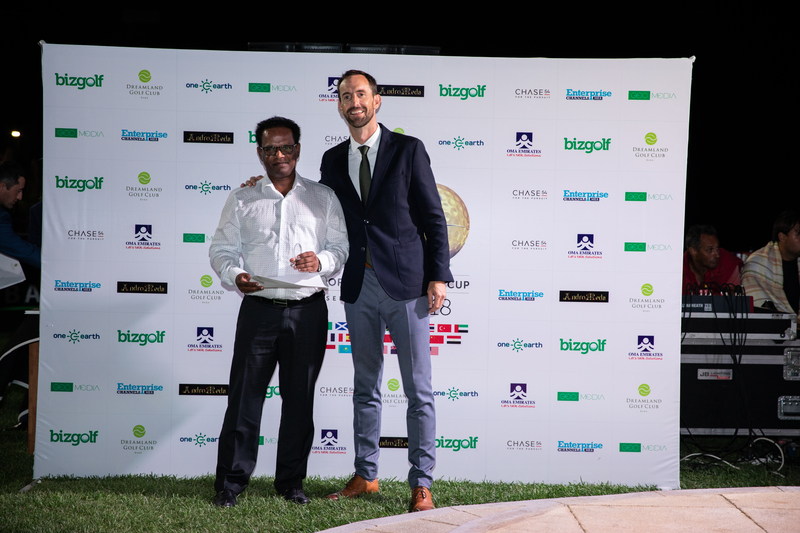 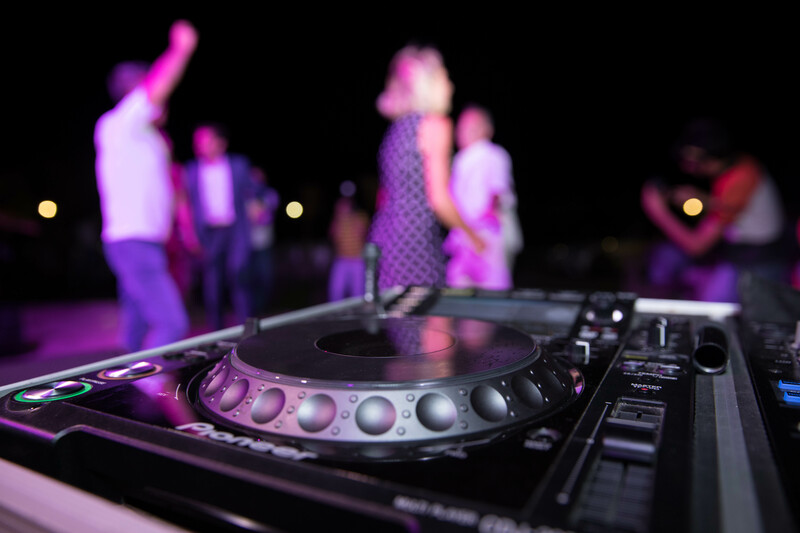 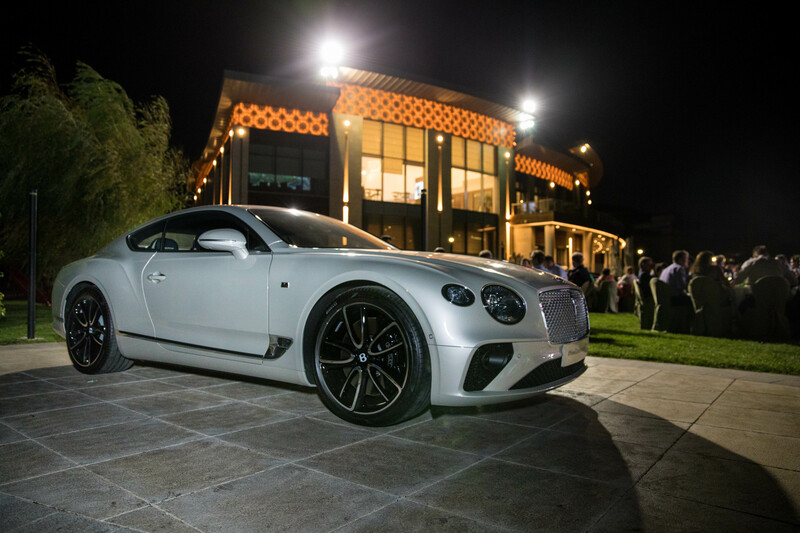 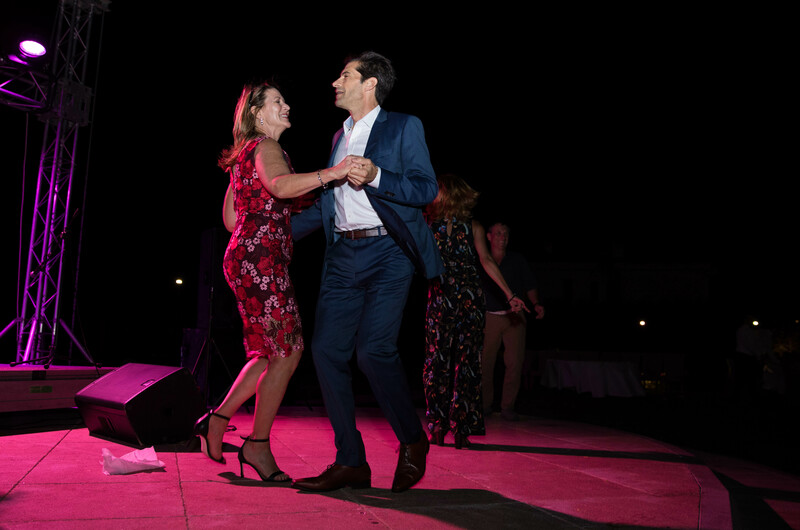 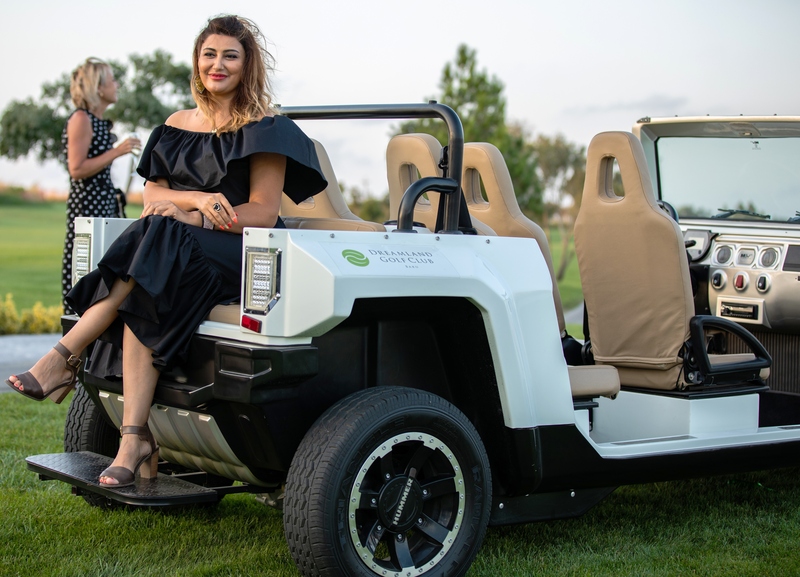 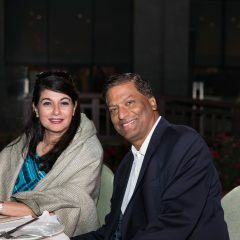 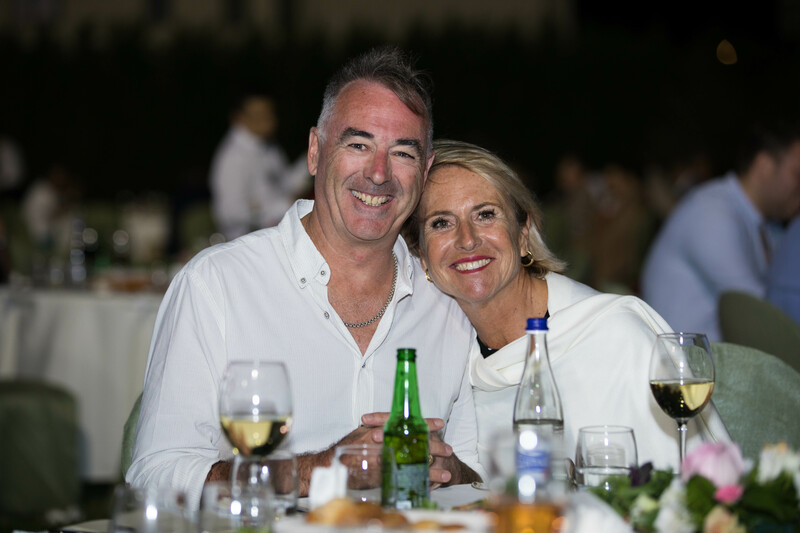 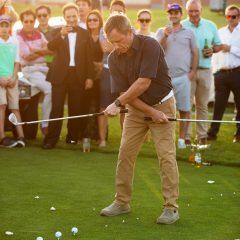 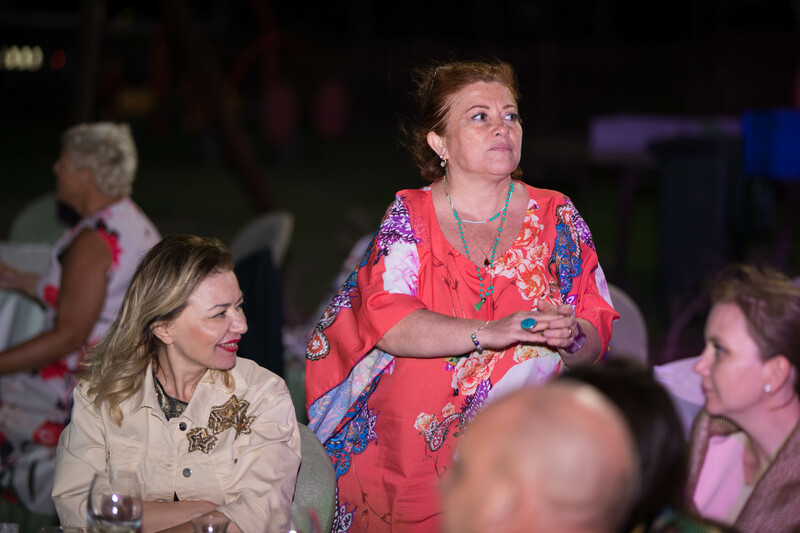 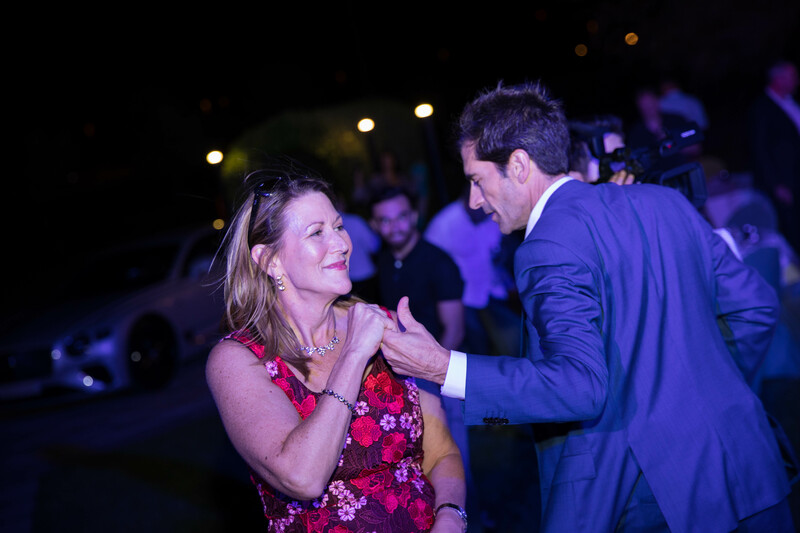 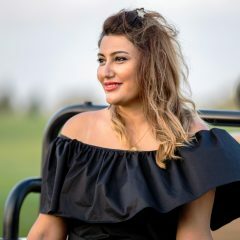 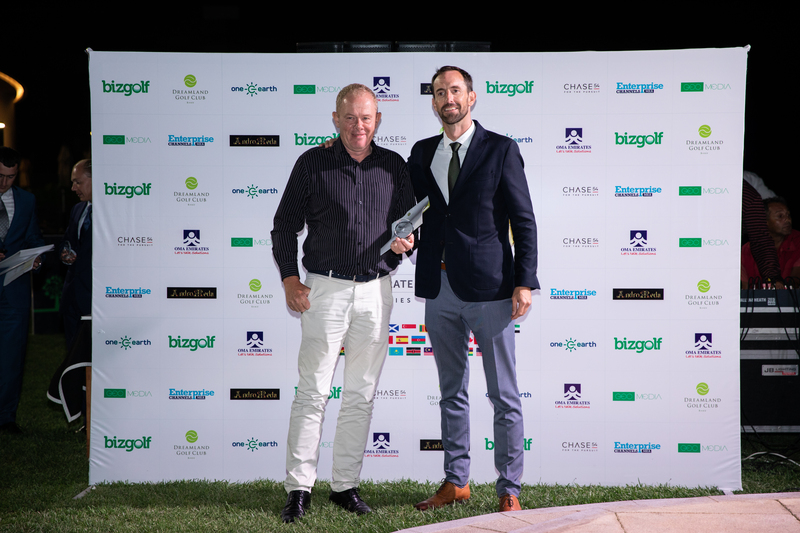 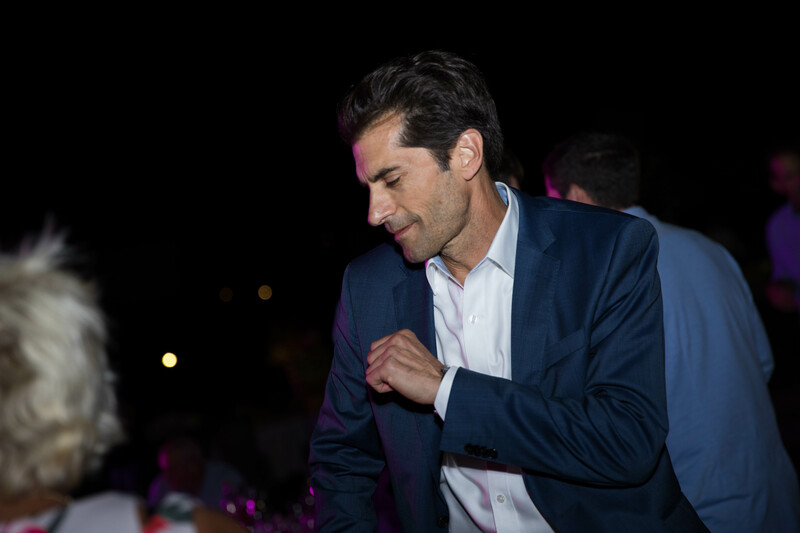 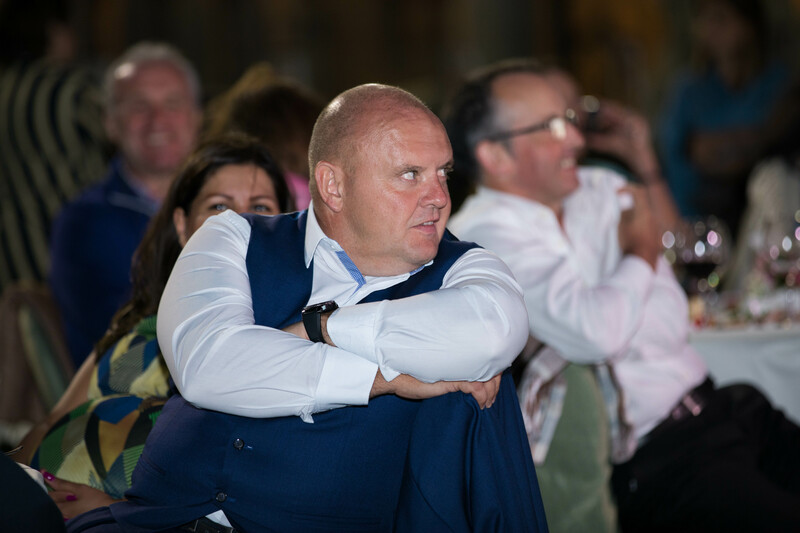 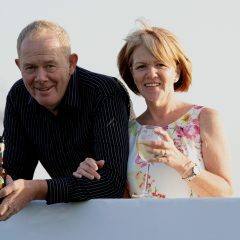 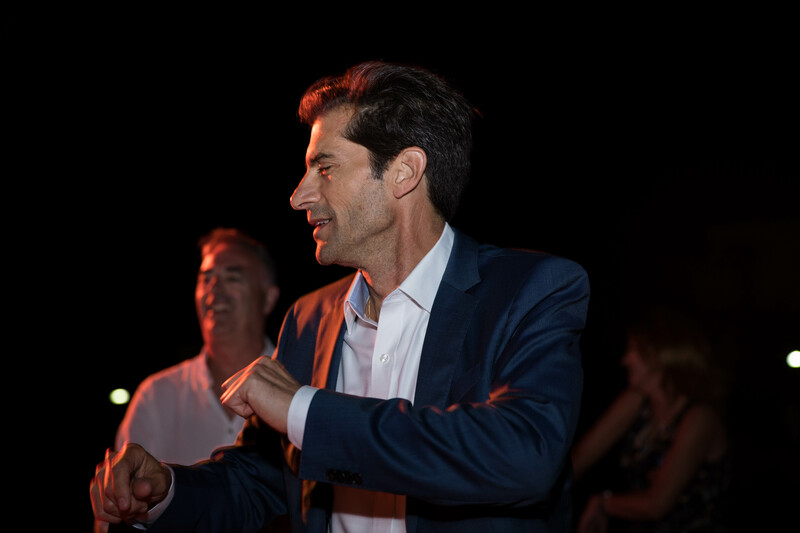 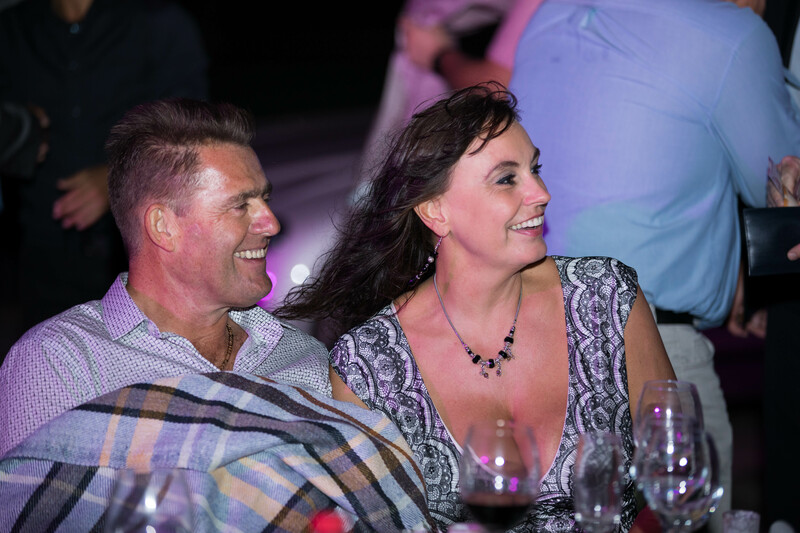 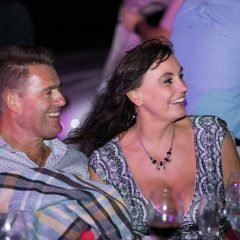 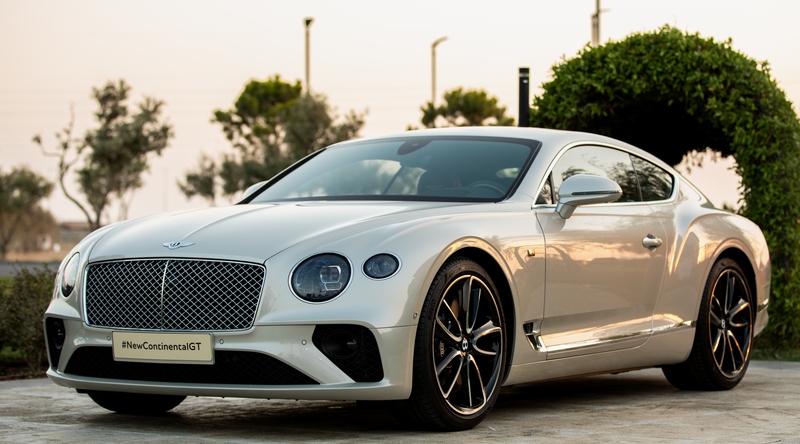 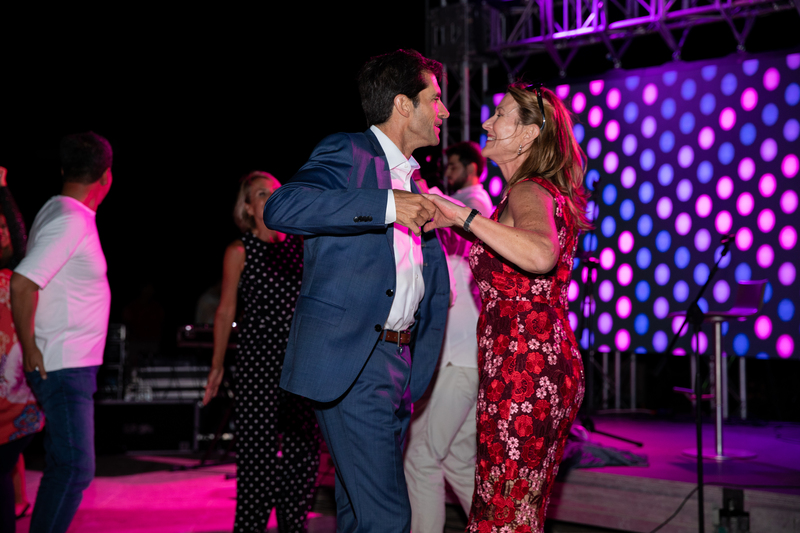 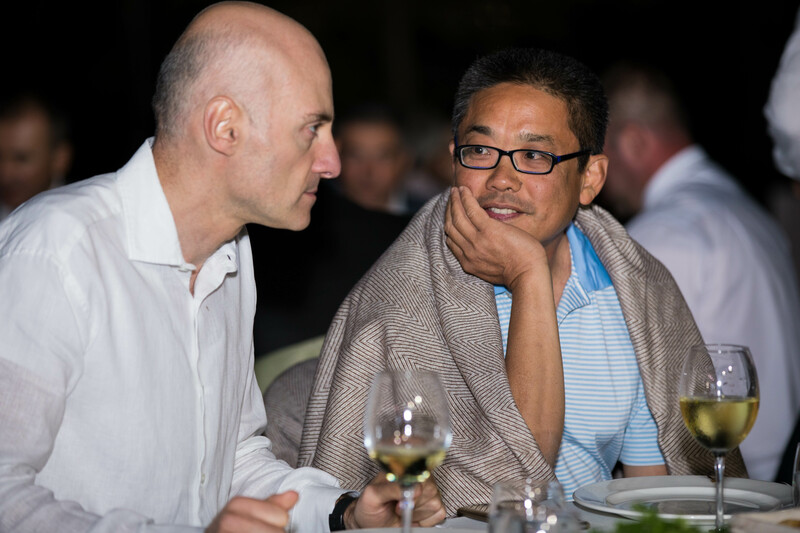 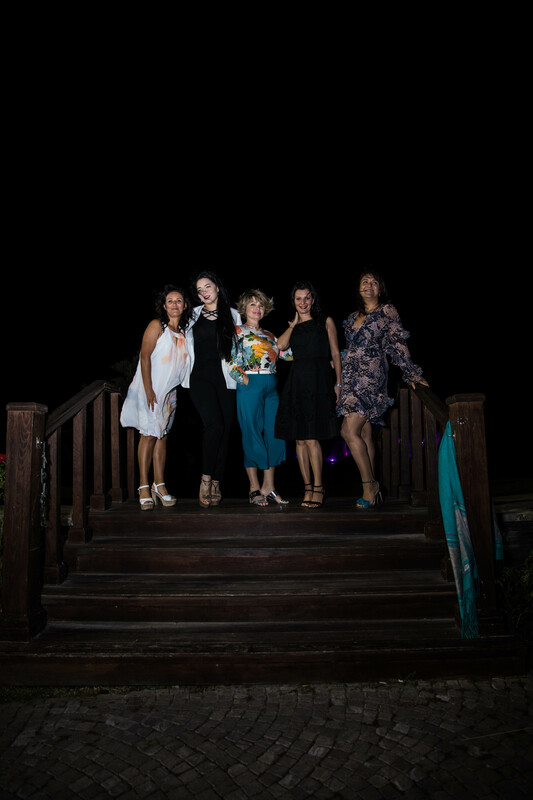 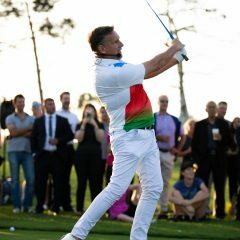 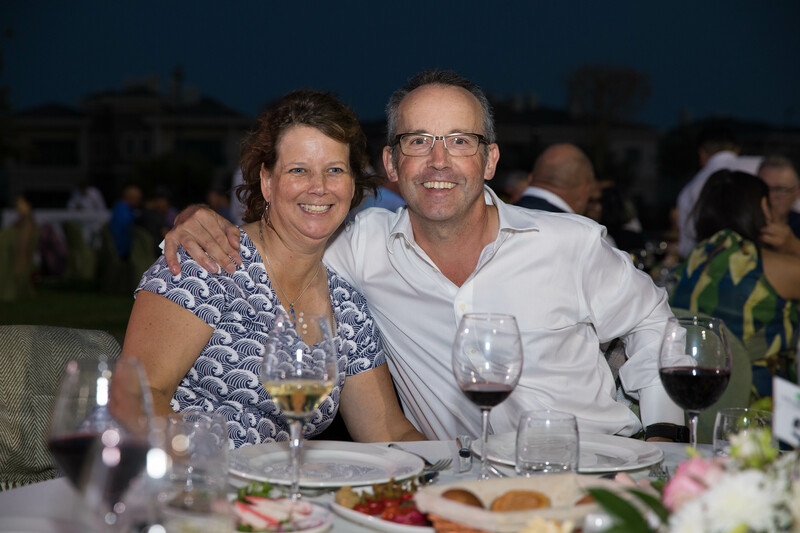 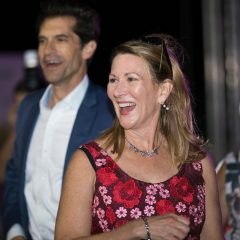 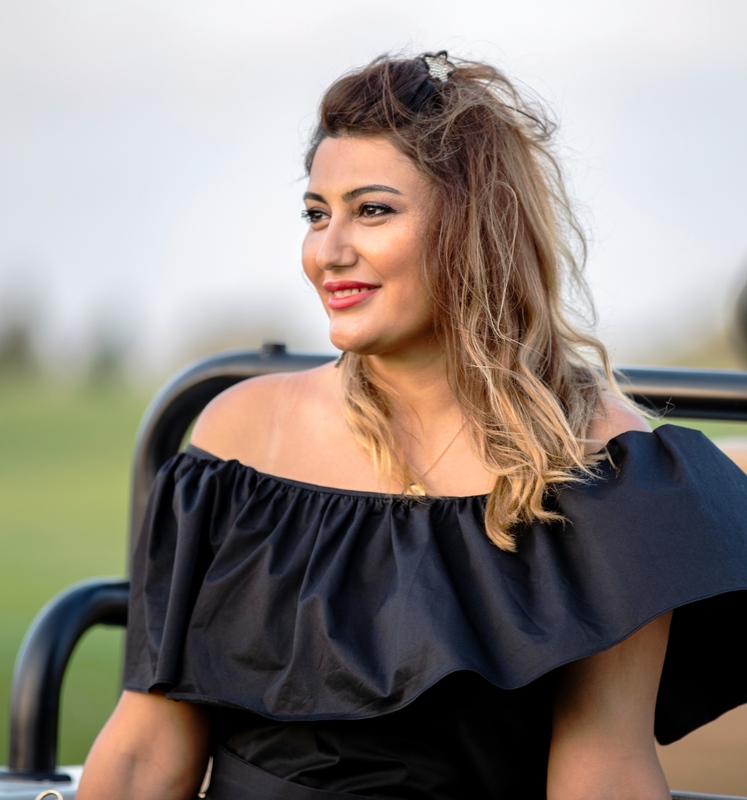 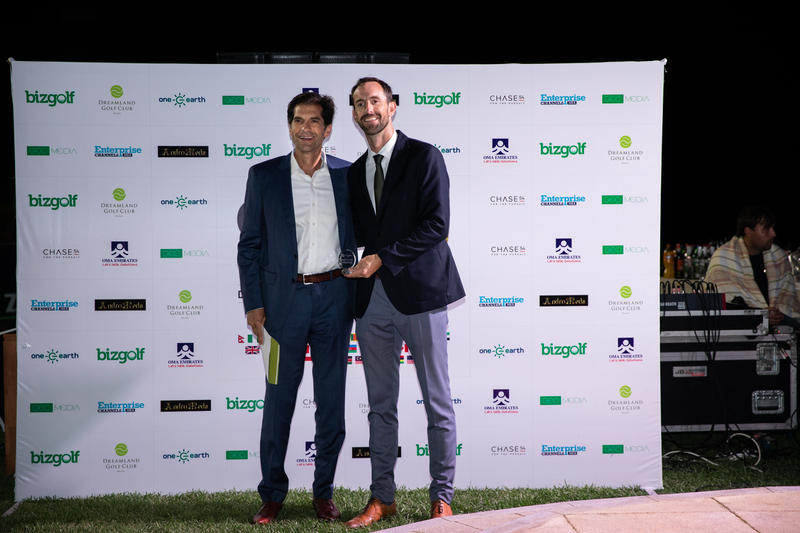 With many leading companies and resorts sponsoring prizes, winners received an arrear of luxury offerings including Hotel Room stays Dining & Shopping vouchers and 4 Ball Round Vouchers for some of the most iconic Golf Courses in the world.